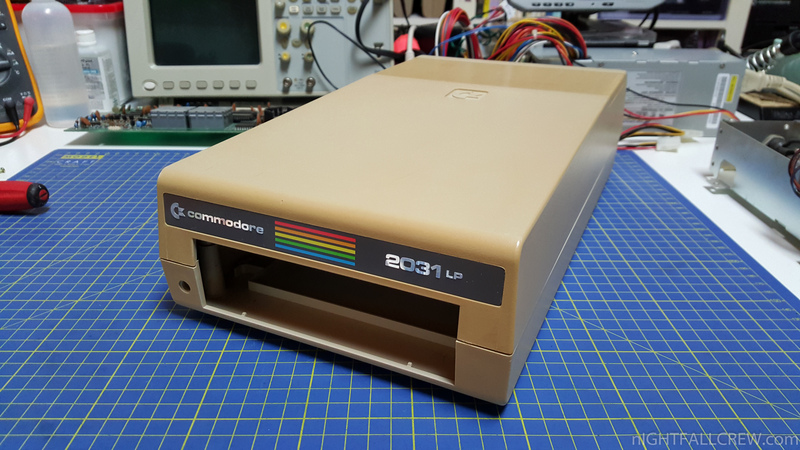 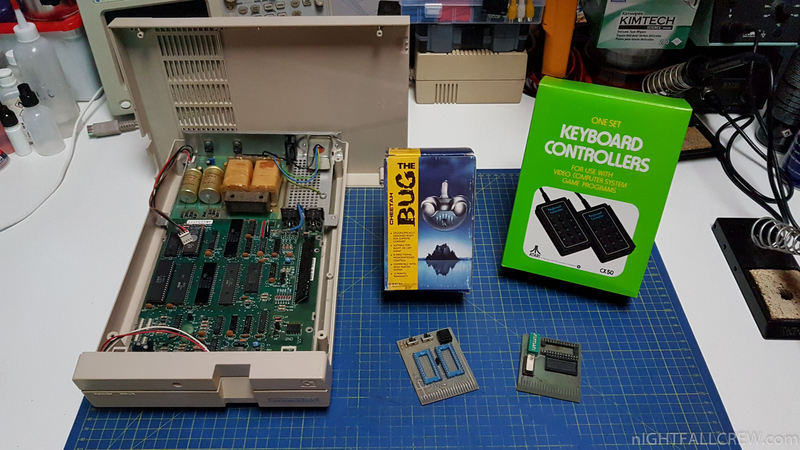 I have sacrificed a Floppy Disk Drive Commodore VIC 1541 to give a new look to a Floppy Disk Drive Commodore 2031 (IEEE-488). 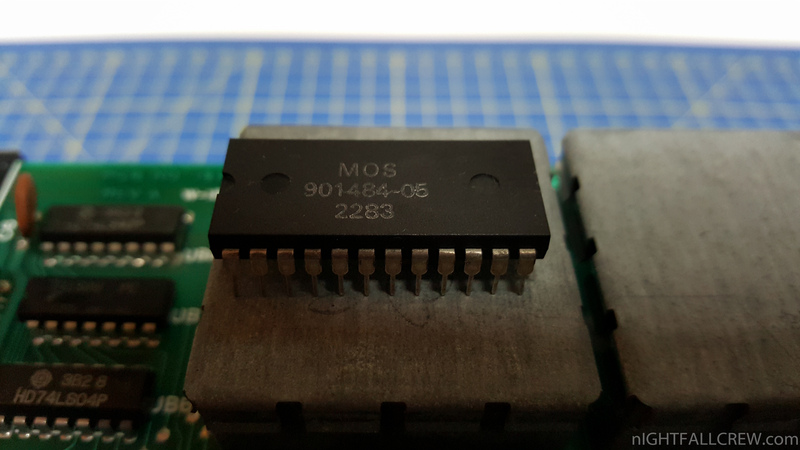 It ‘s not been an easy job, but i’d say the result is very good. 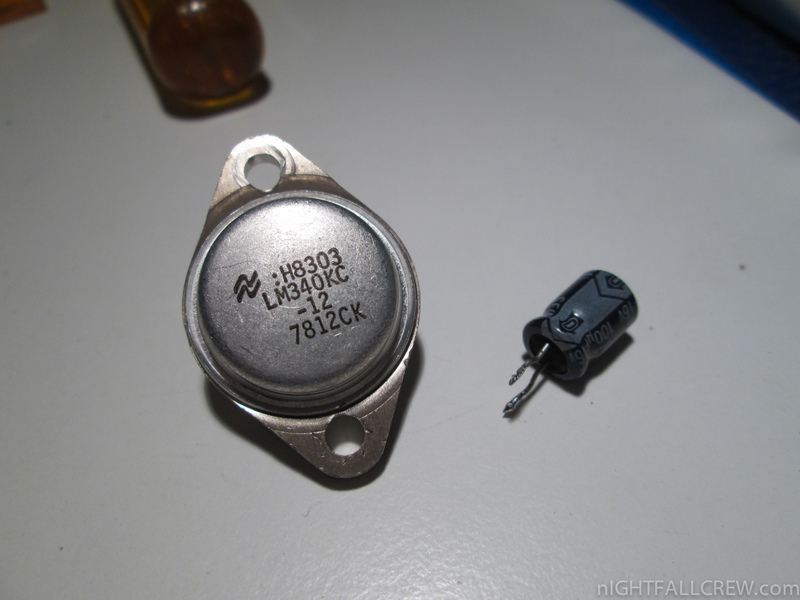 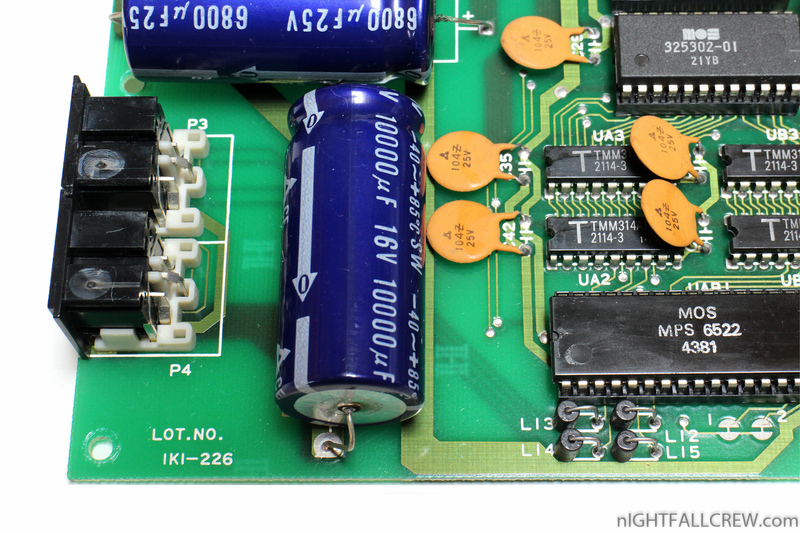 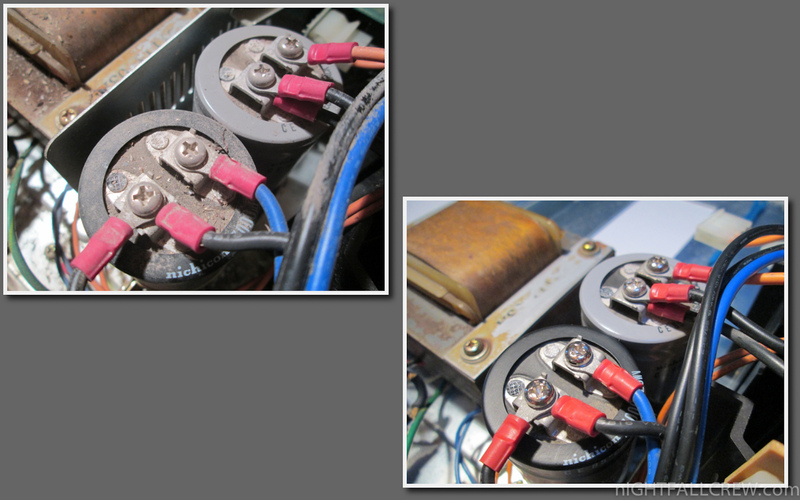 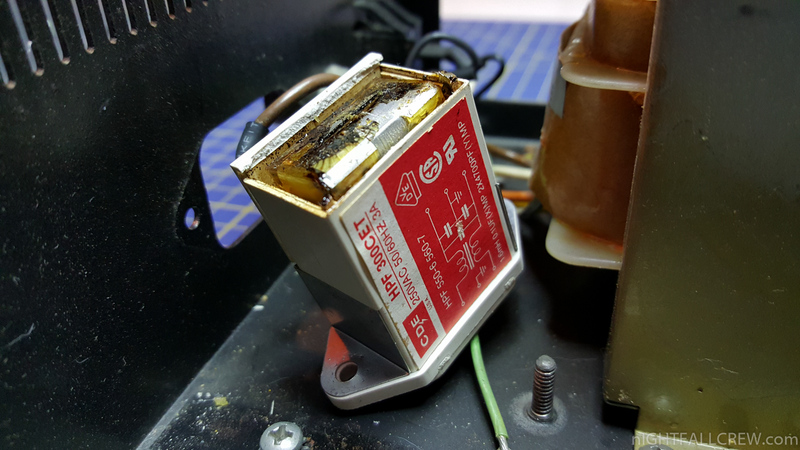 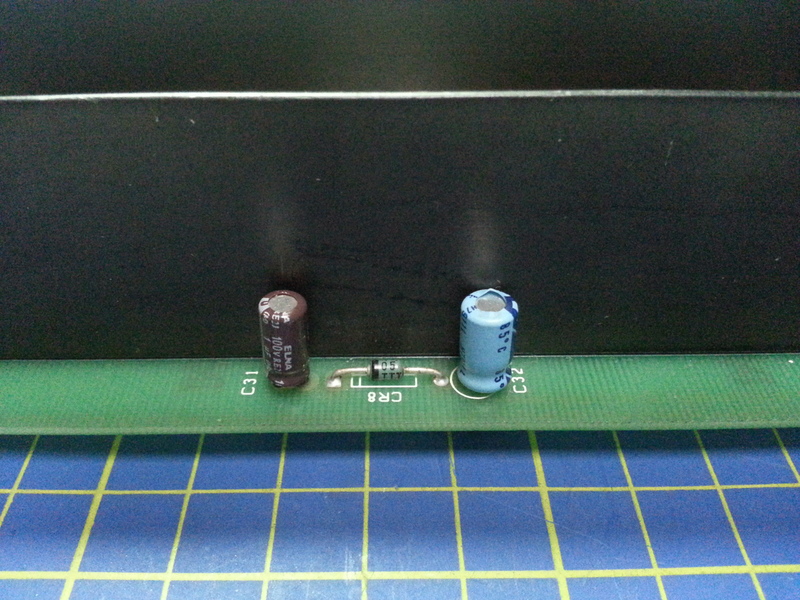 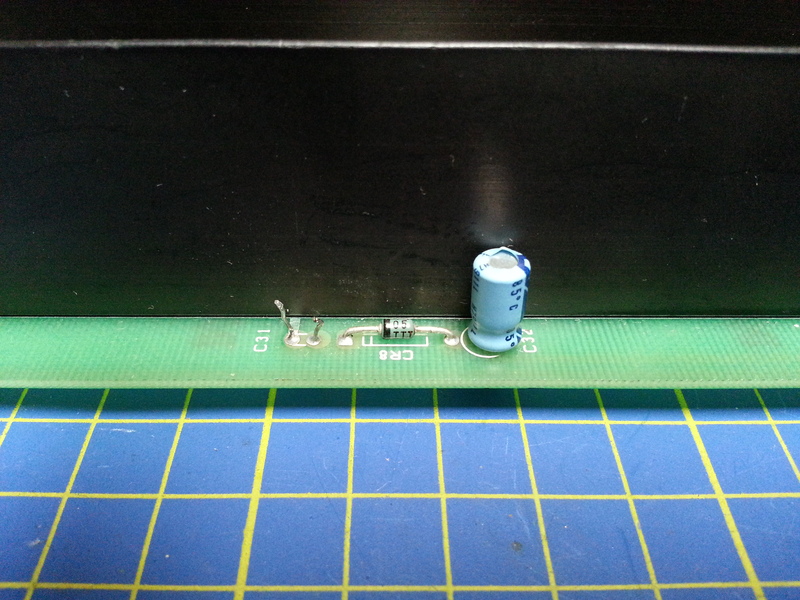 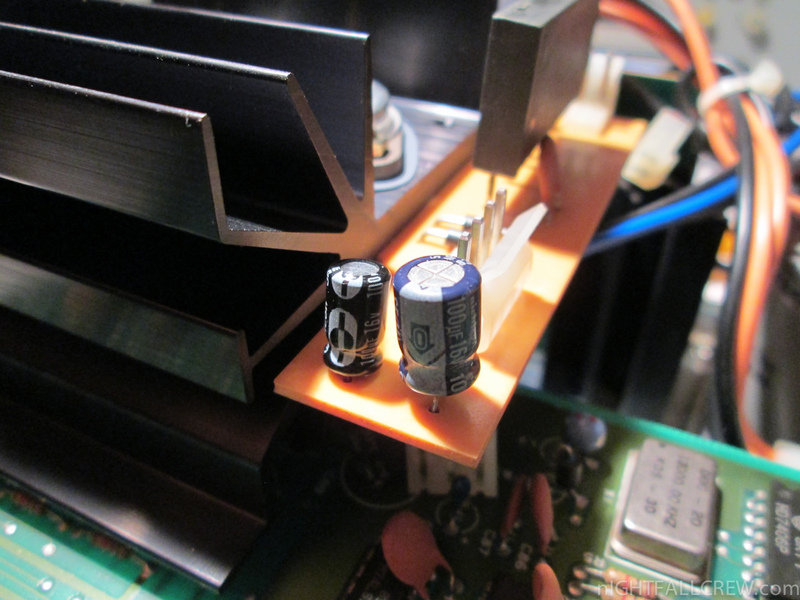 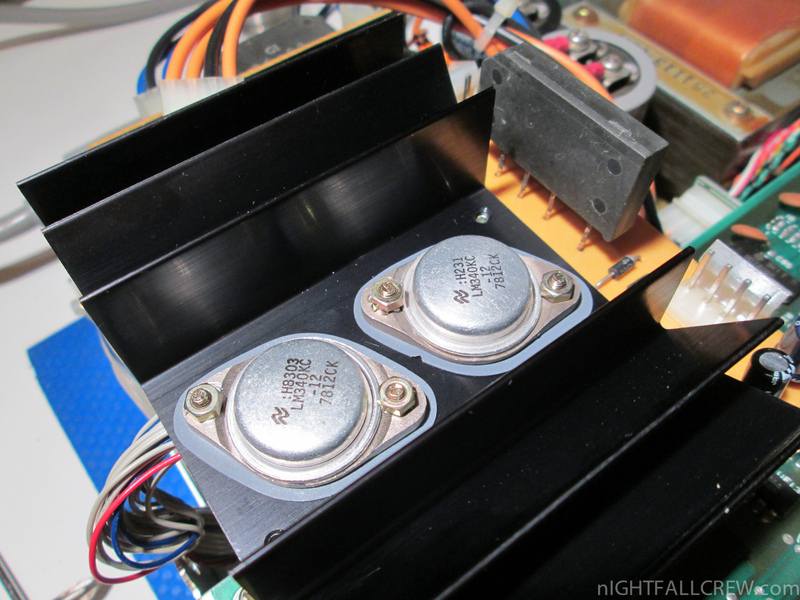 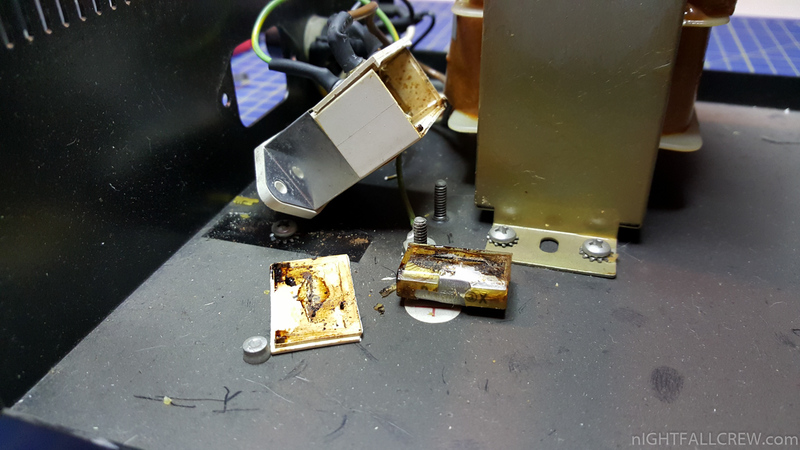 Removed the filter capacitors RIFA in the power plug. 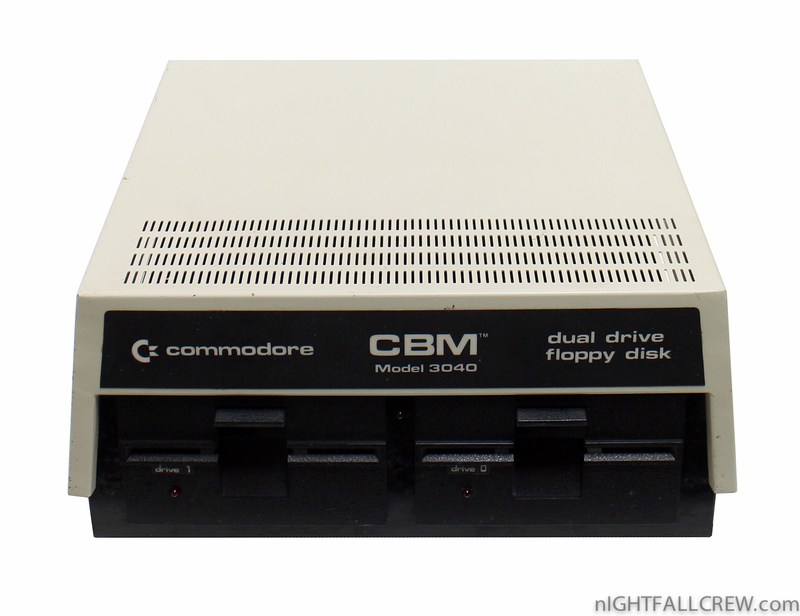 The Commodore 3040 it’s a dual drive 5¼” floppy disk subsystem for Commodore International computers. 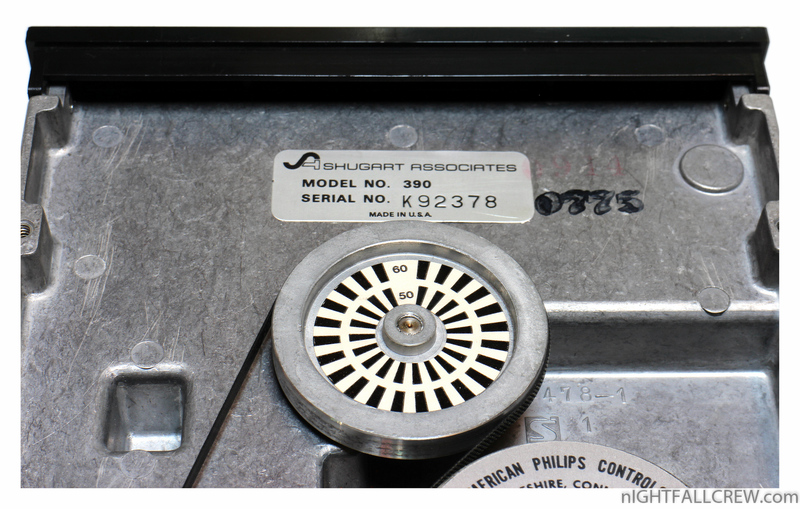 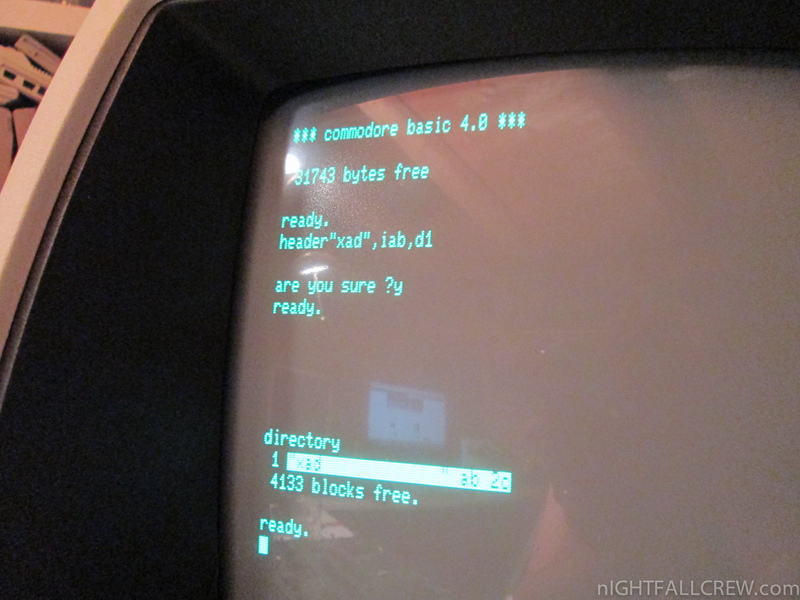 It uses a wide case form, and uses the IEEE-488 interface common to Commodore PET/CBM computers. 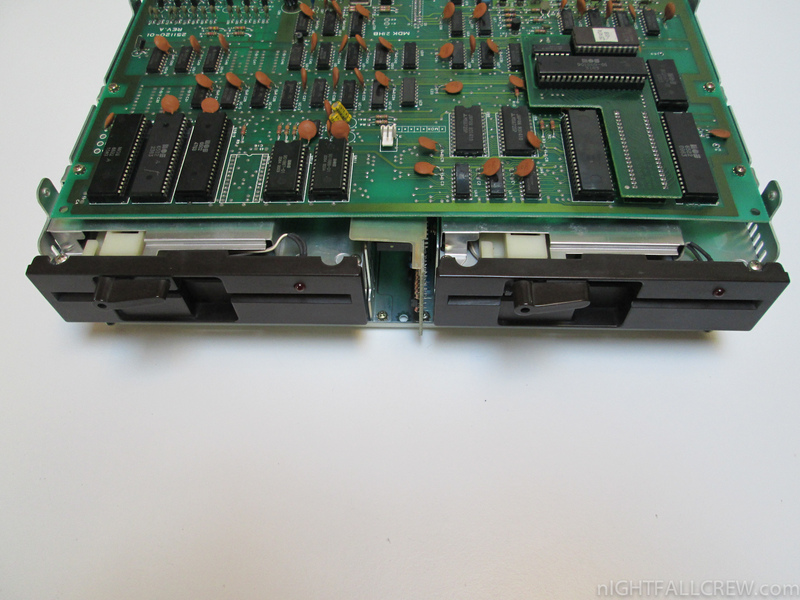 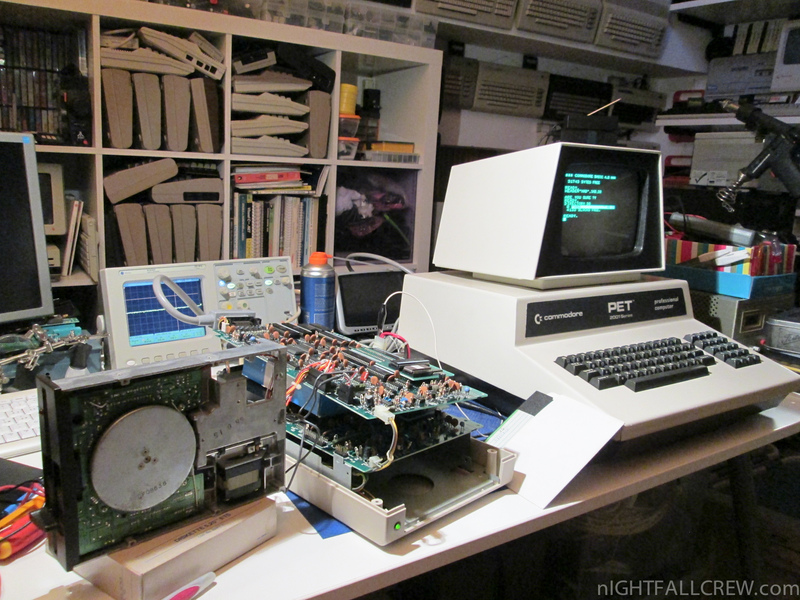 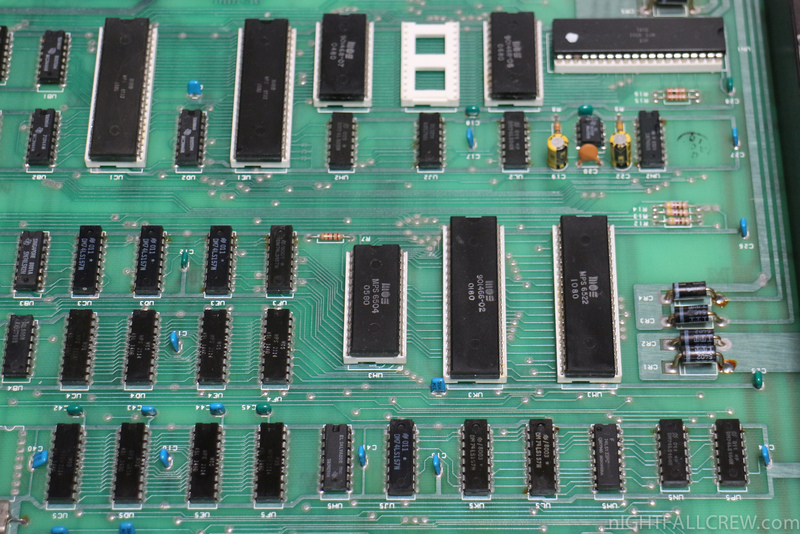 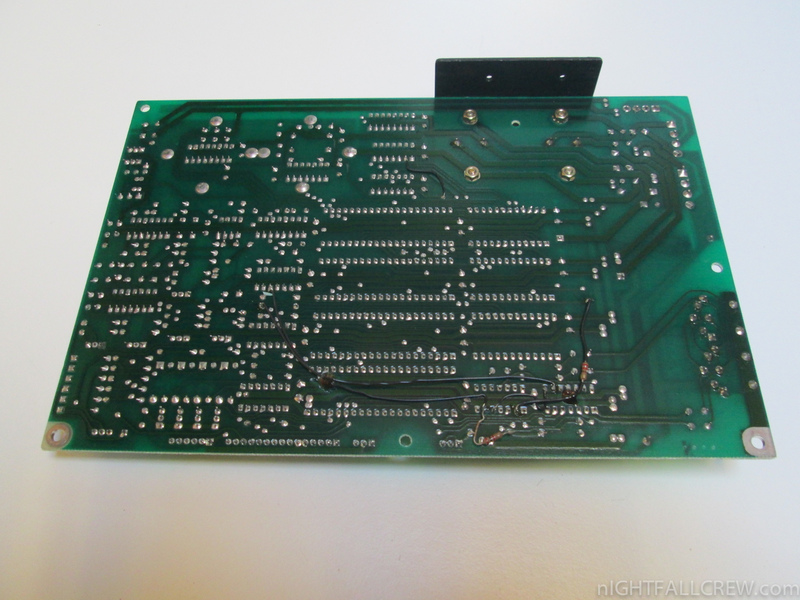 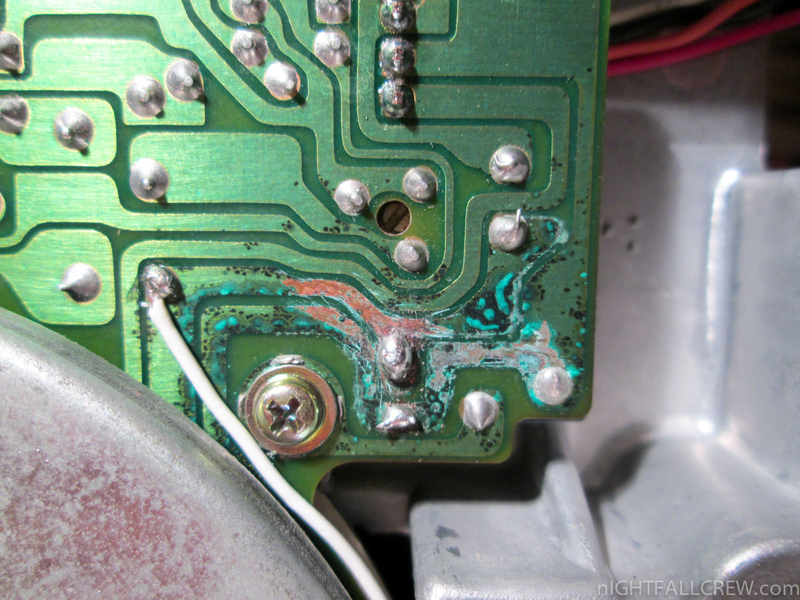 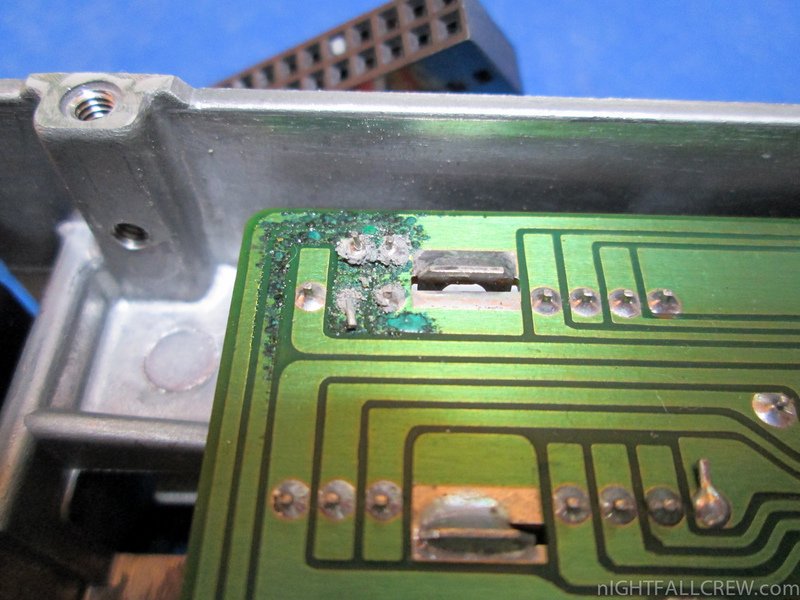 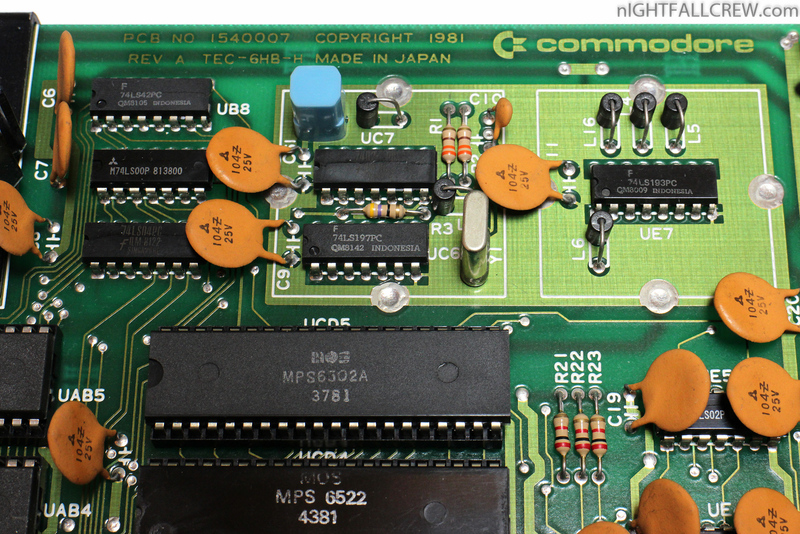 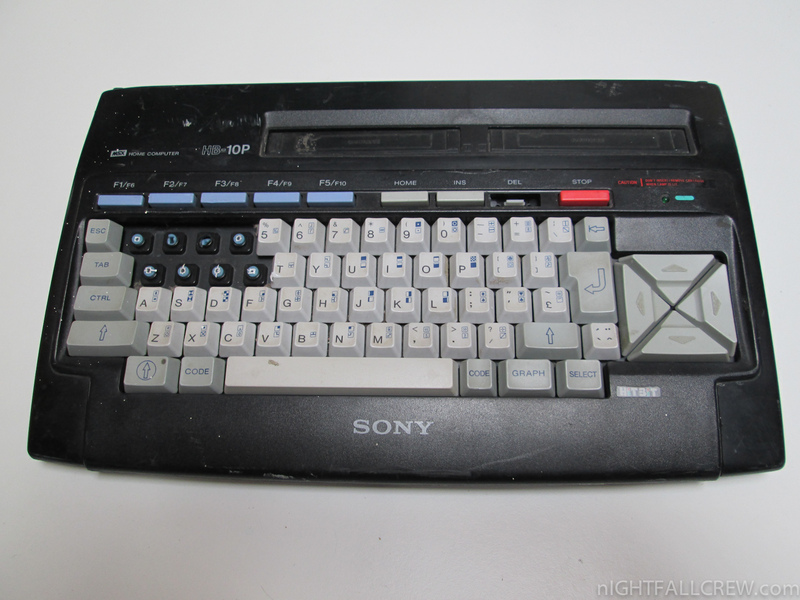 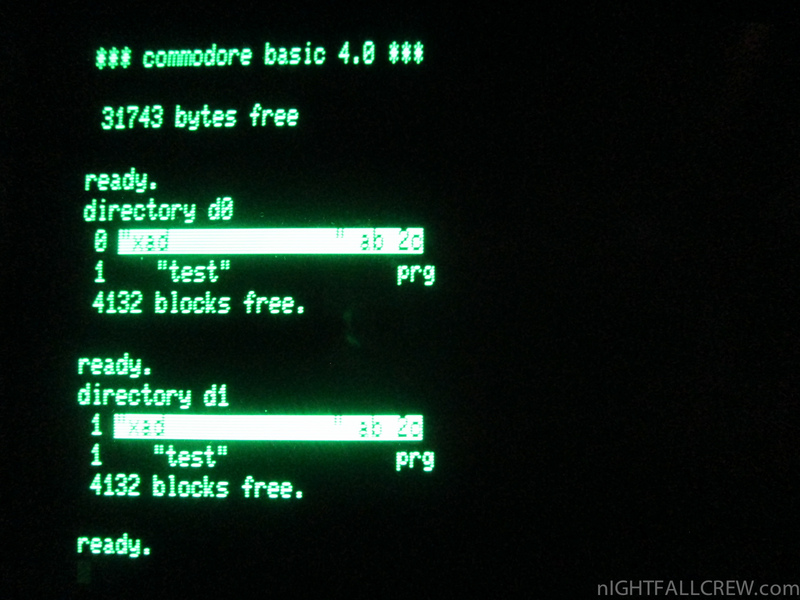 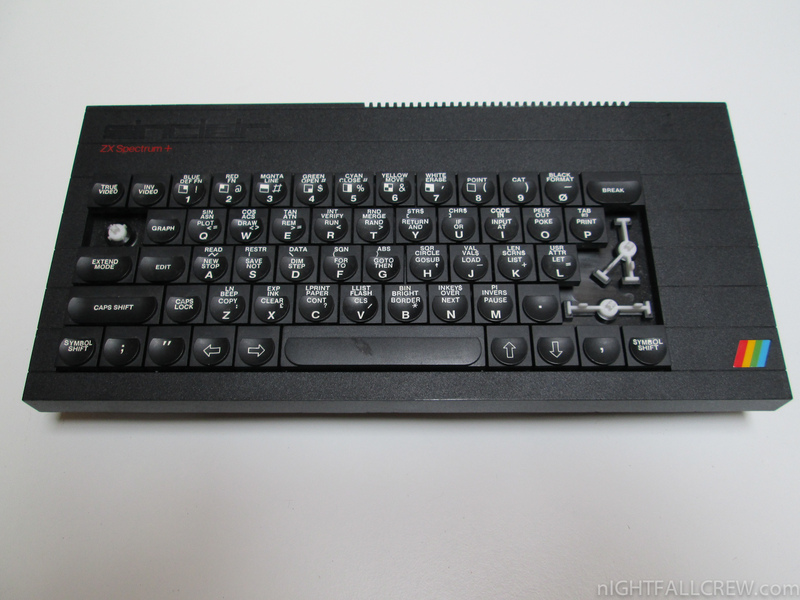 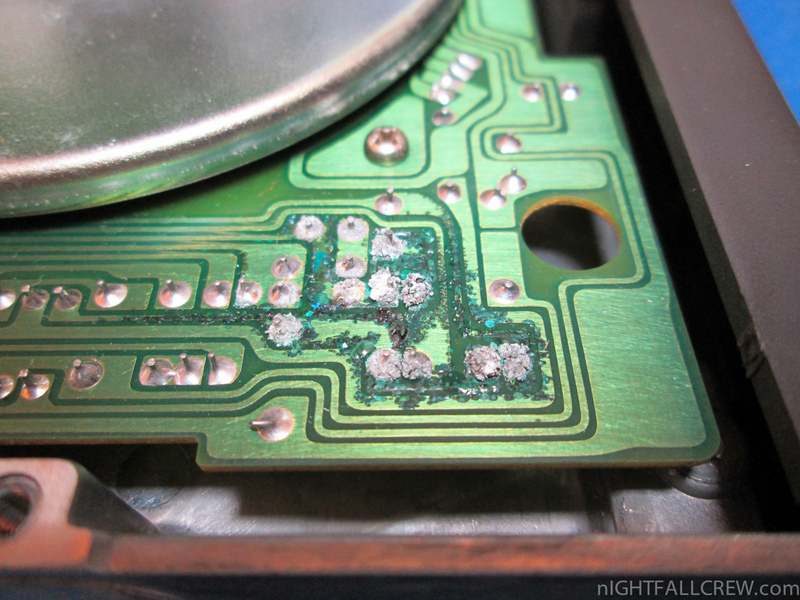 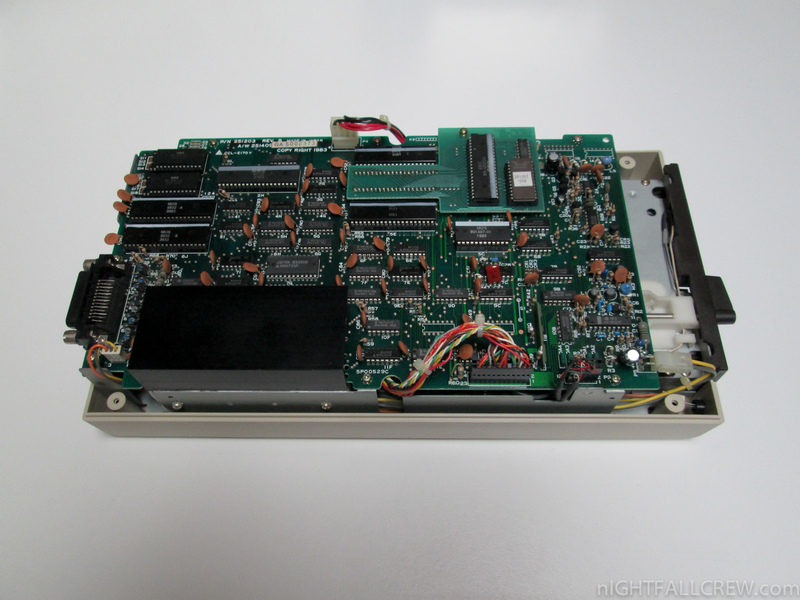 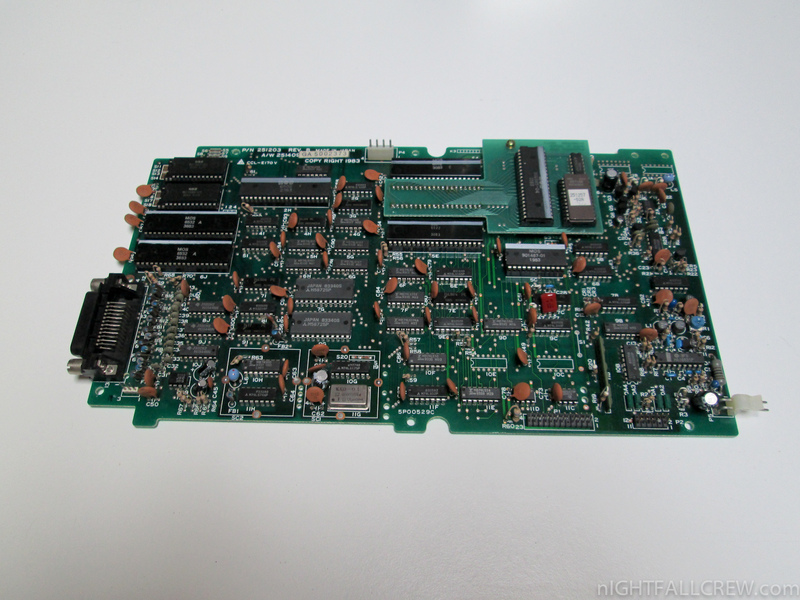 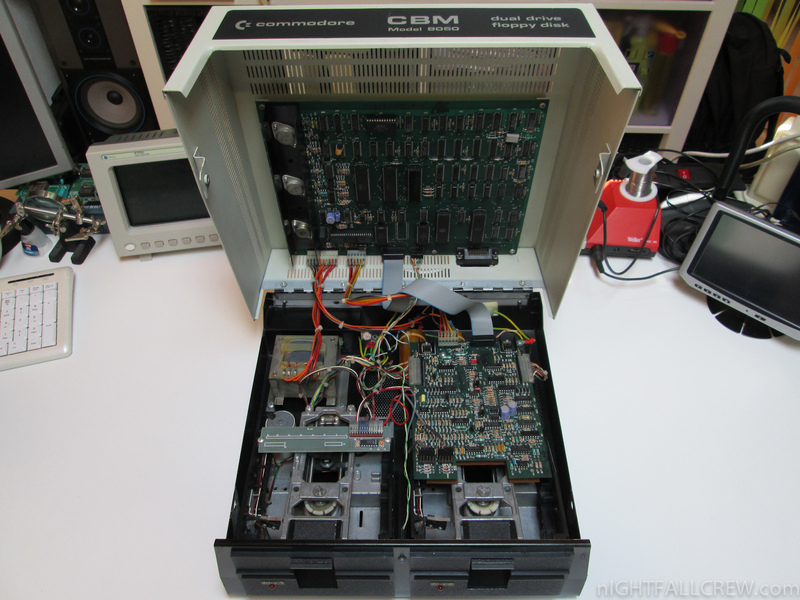 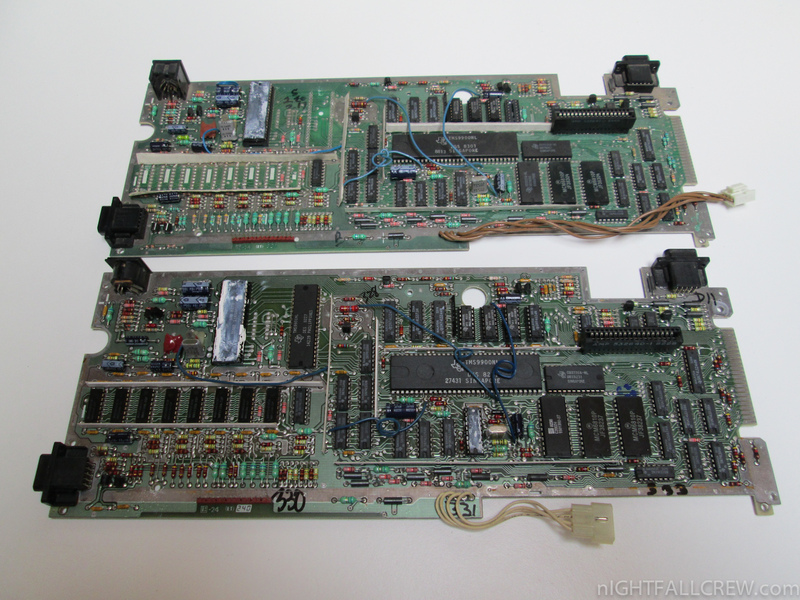 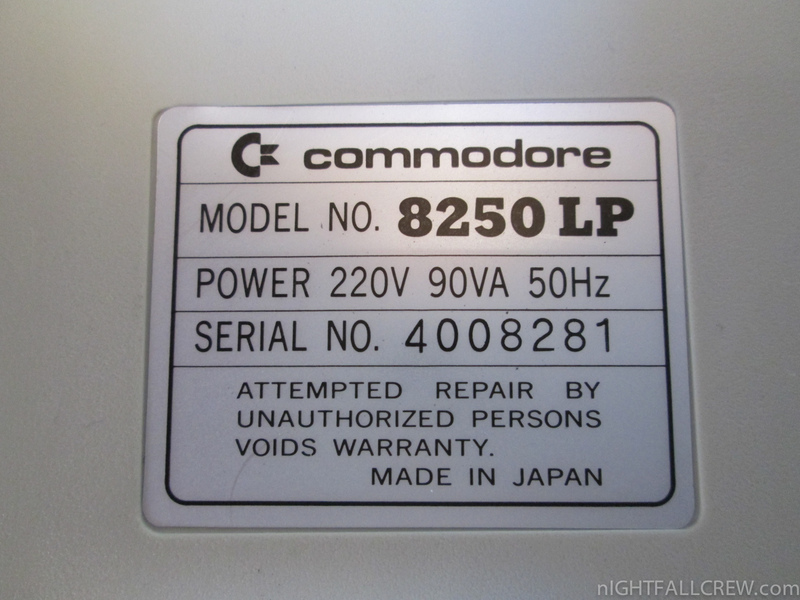 The conditions of this Commodore Dual Disk 8250 LP are really bad. 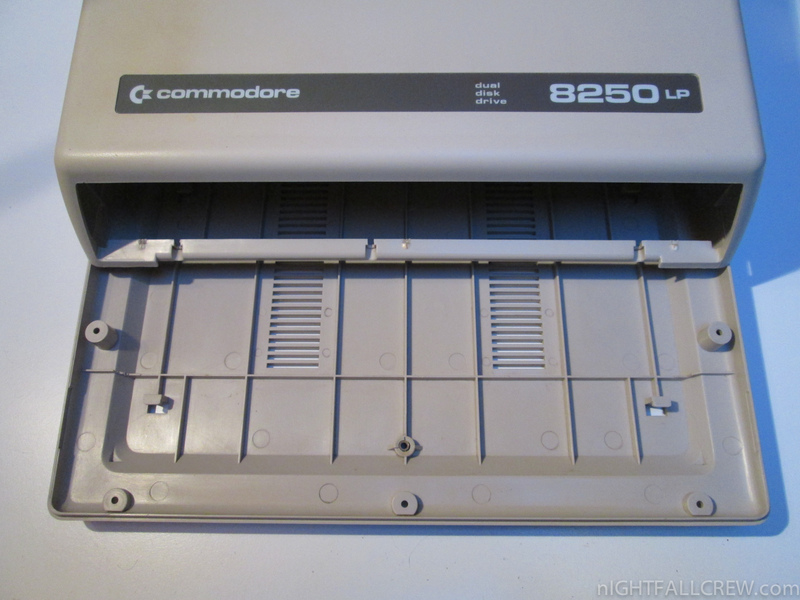 The CBM 8250 LP is left for over 25 years in a dovecote. 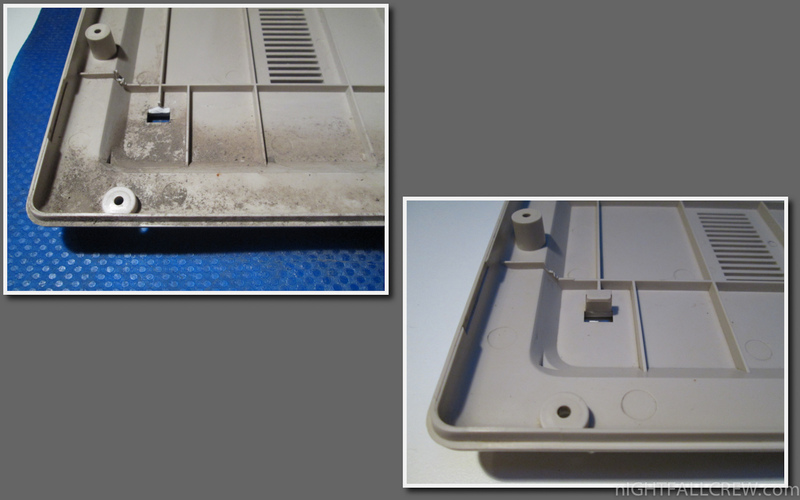 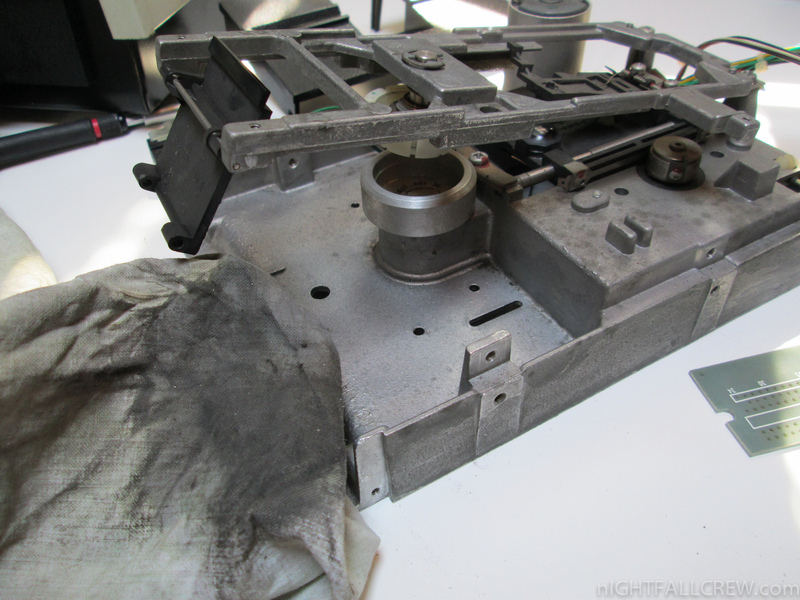 The cleaning, repairing and restoration have taken a long time, but the result is more than acceptable. 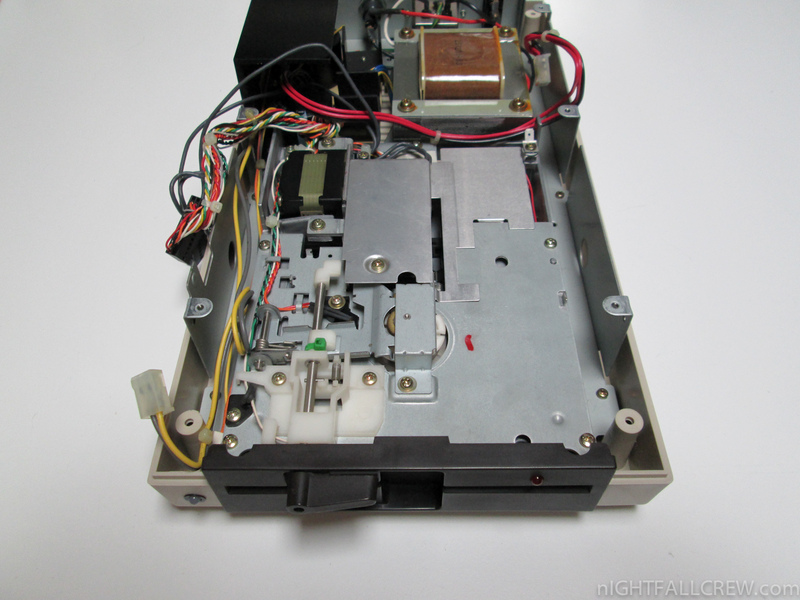 Floppy Disk Drive completely dead. 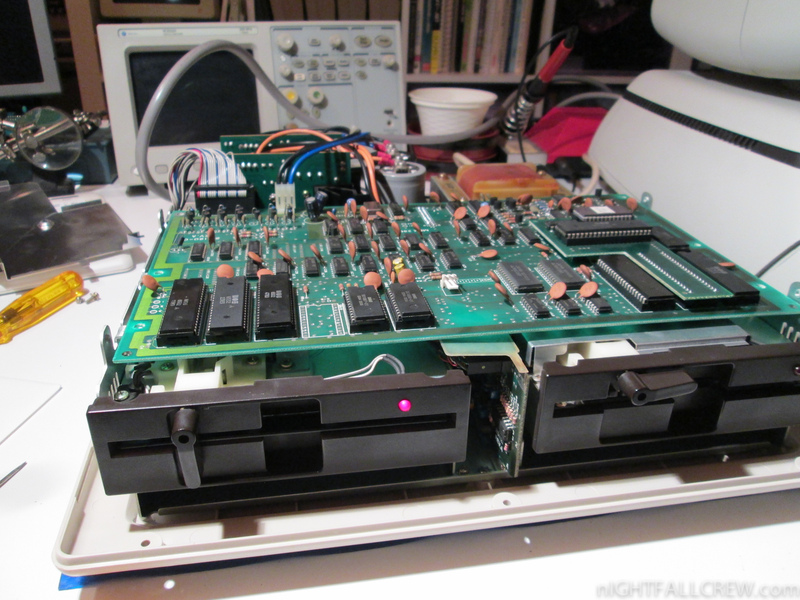 Main motherboard failure: Status LED green but with the Floppy Disk Drive LEDs (red) that blink 3 times and then repeat in loop. 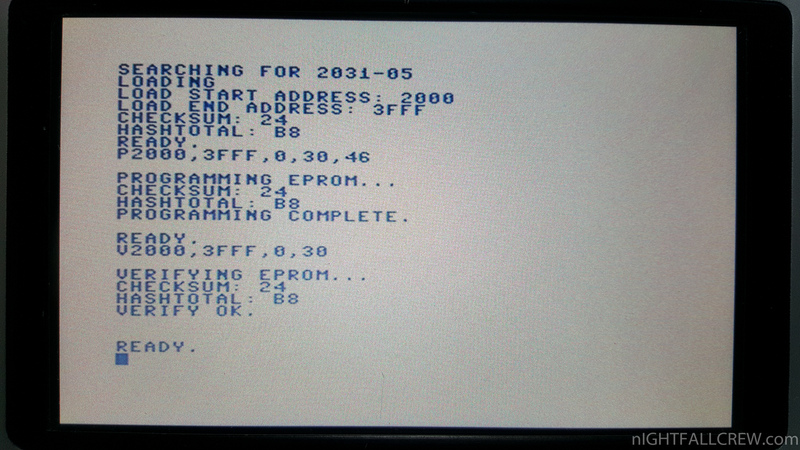 Directory displayed with extra chars. 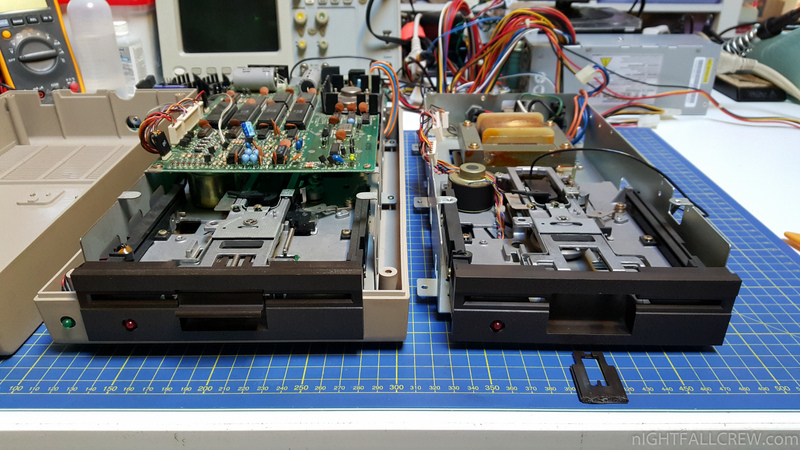 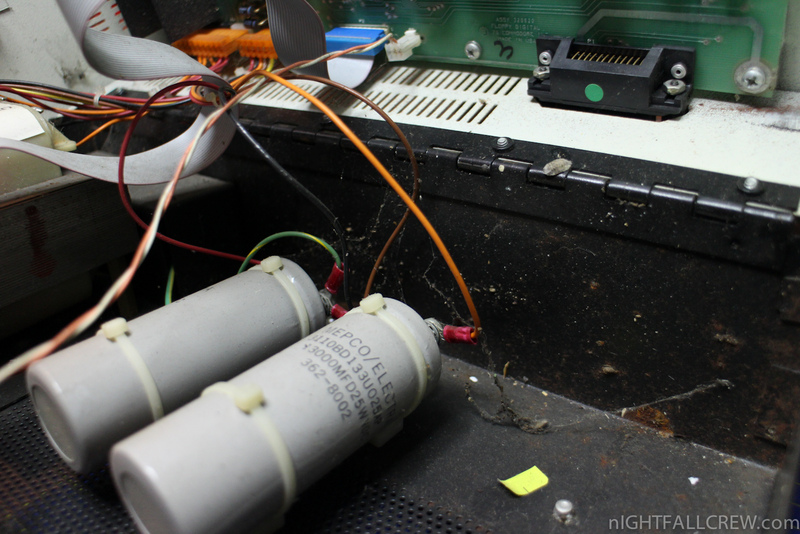 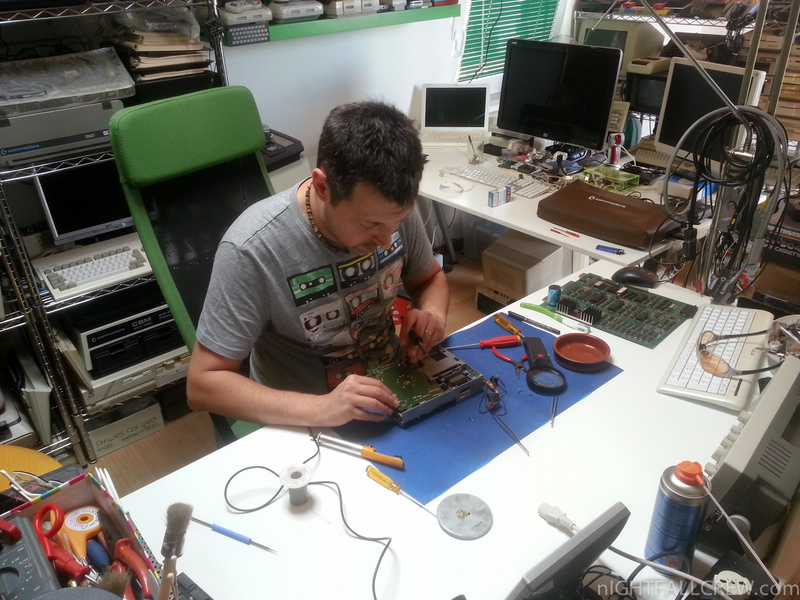 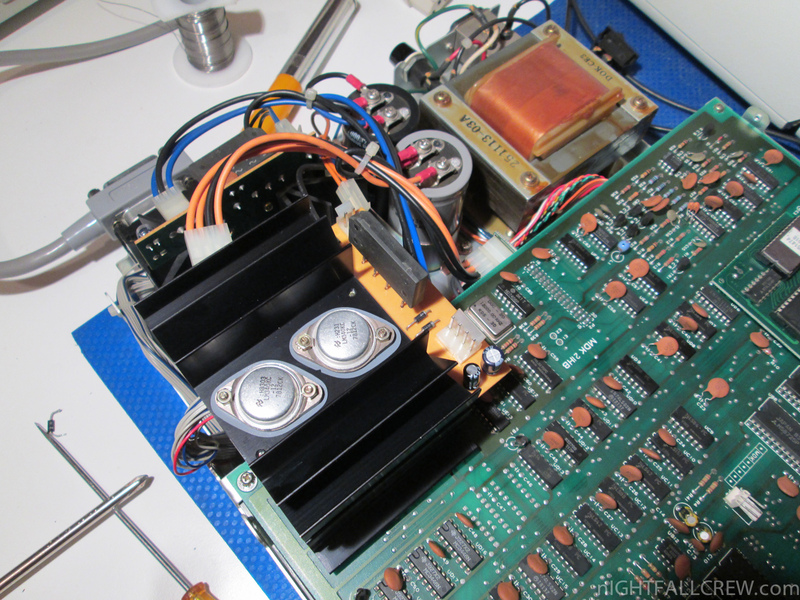 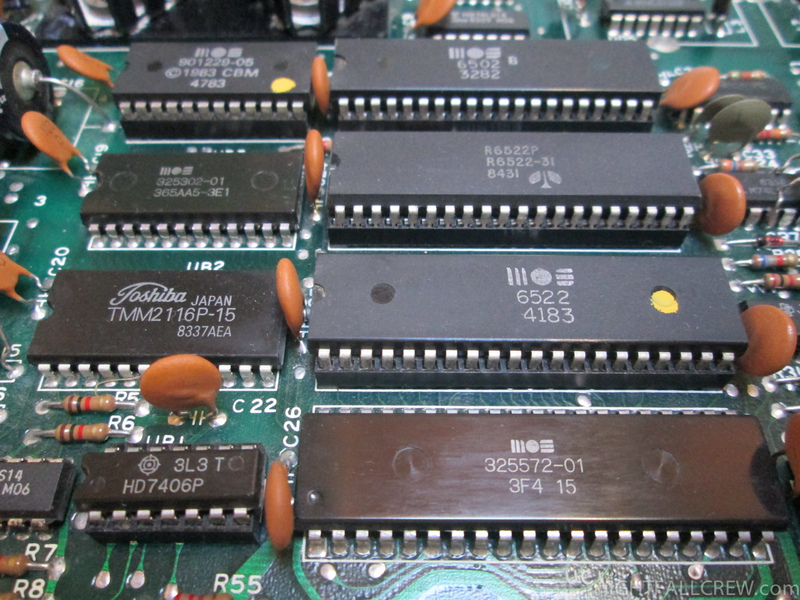 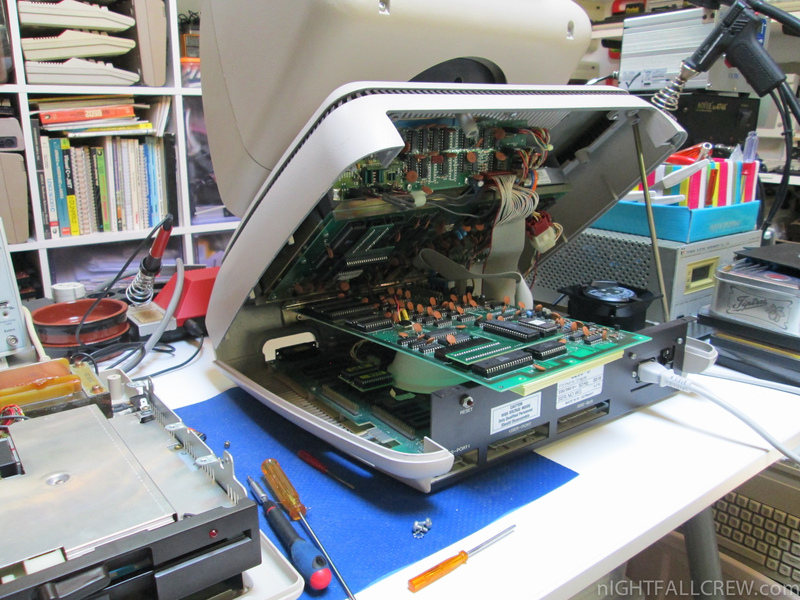 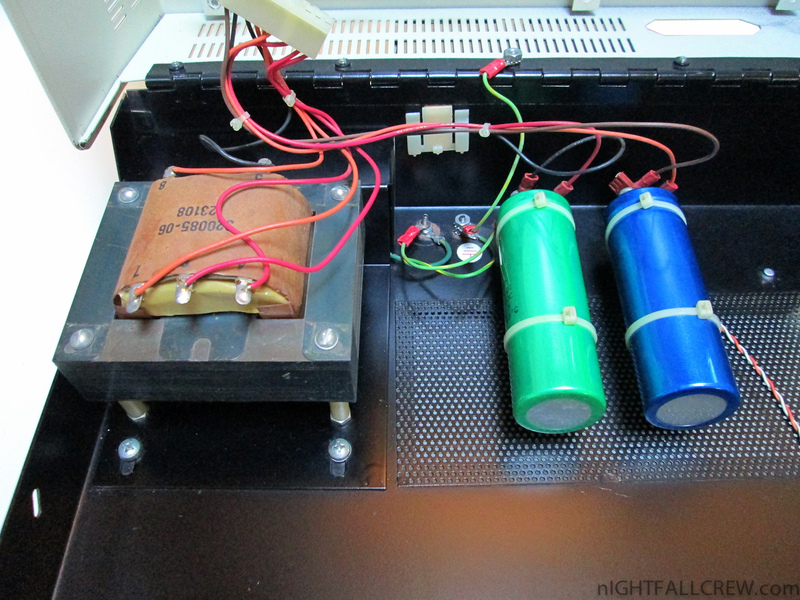 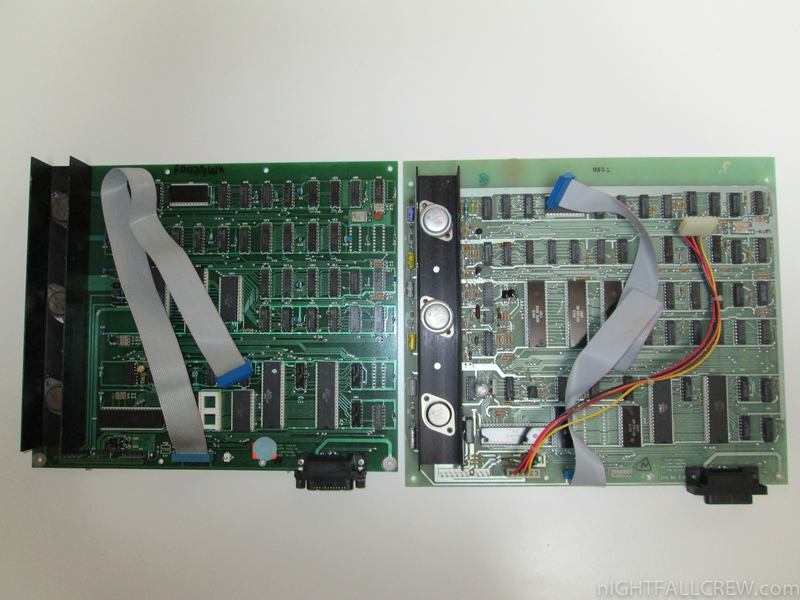 Replaced all the electrolytic capacitors of the two Floppy Disk Drive. 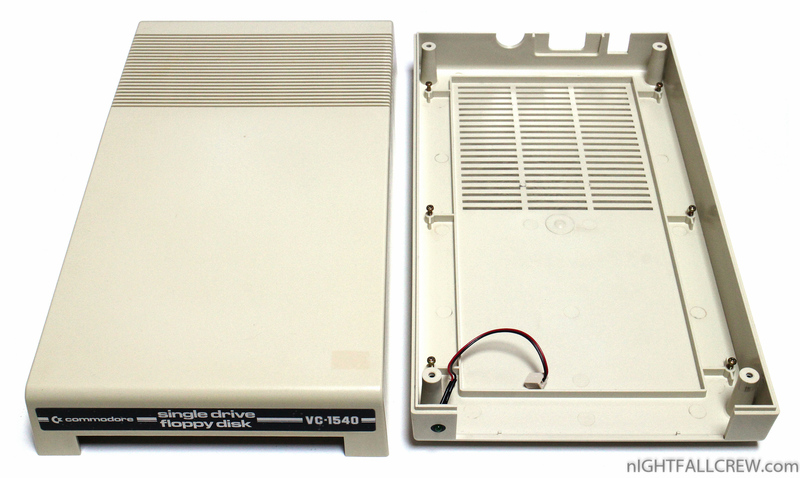 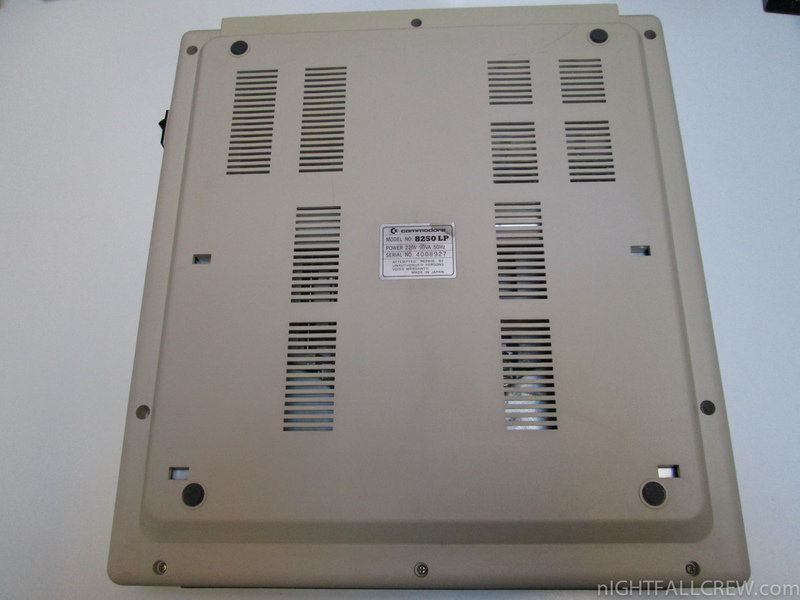 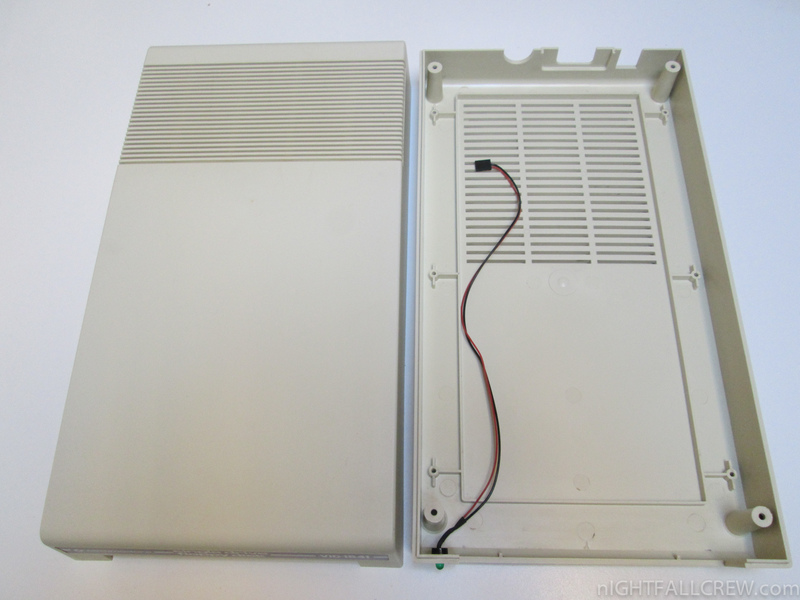 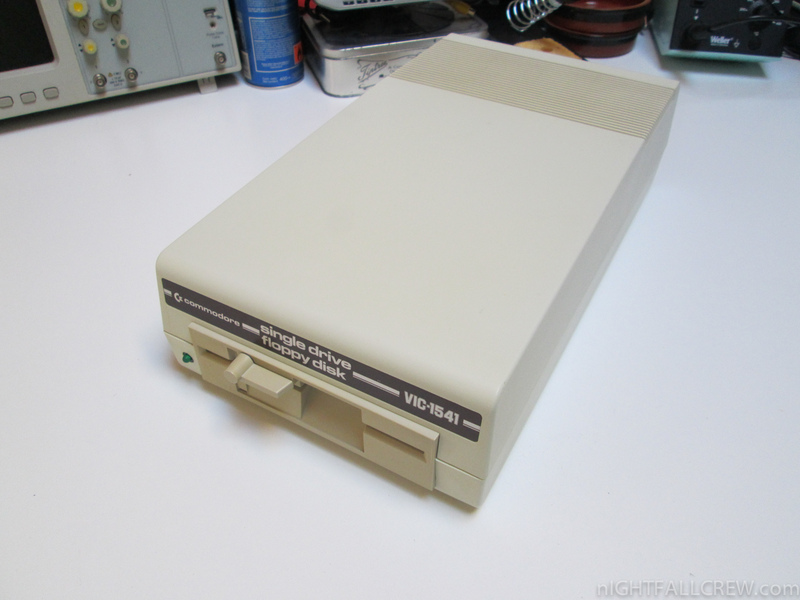 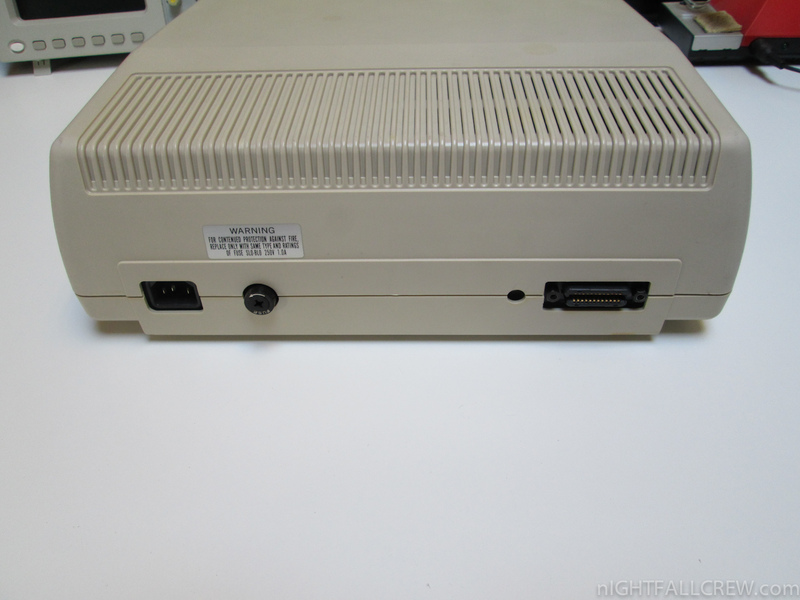 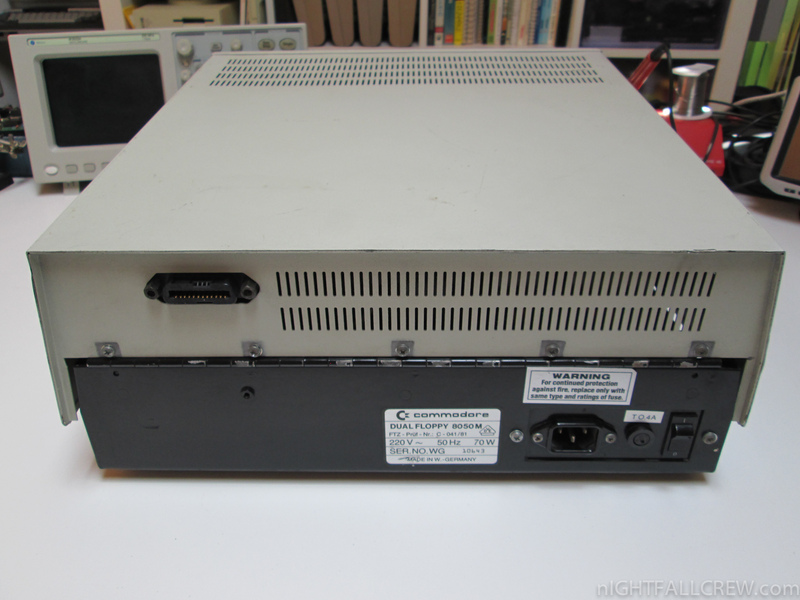 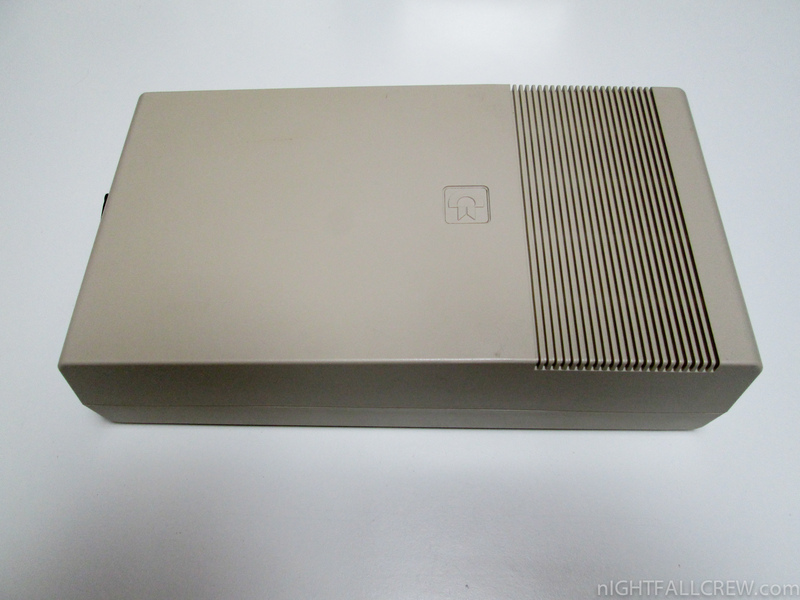 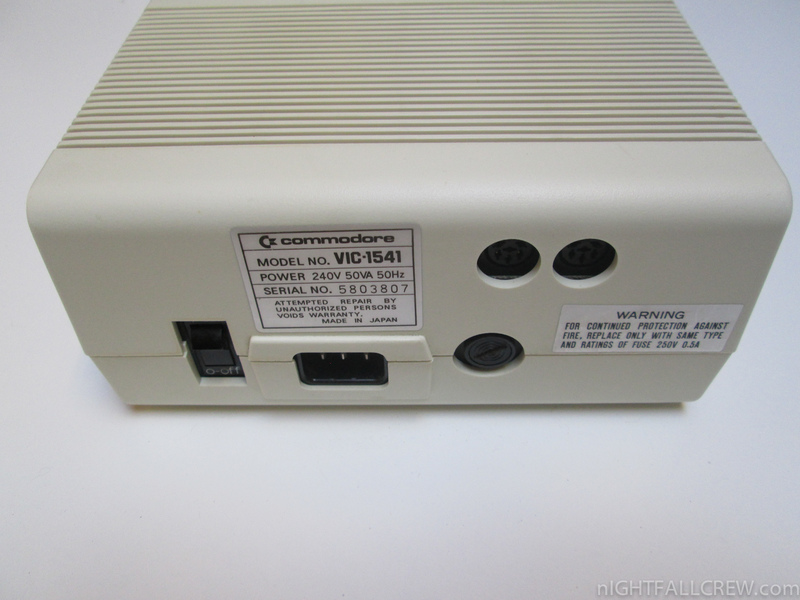 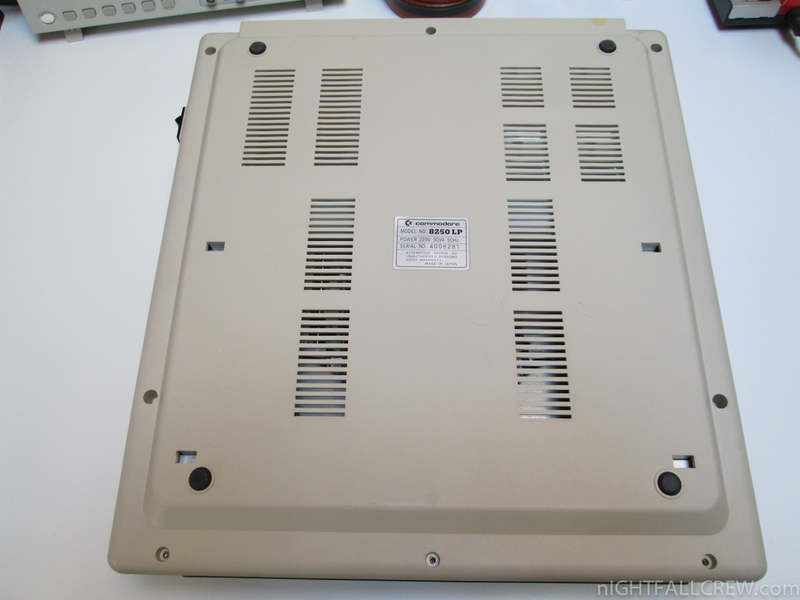 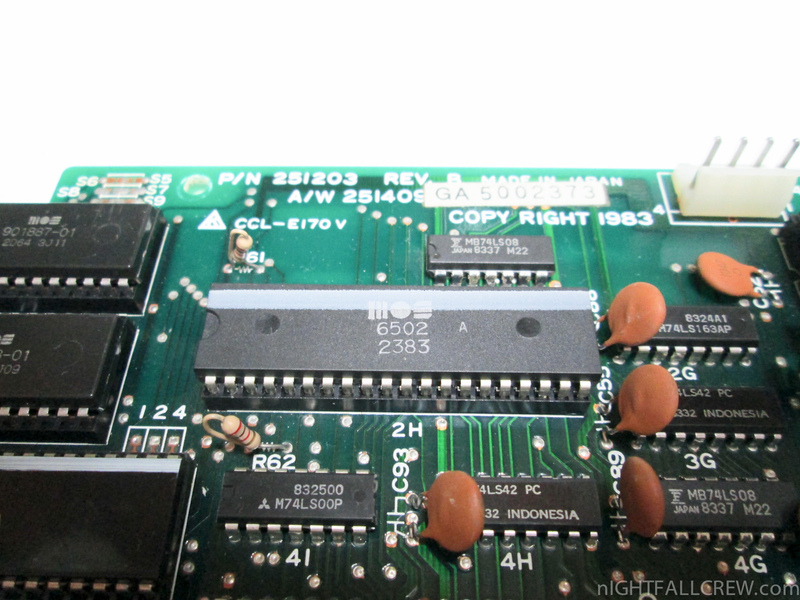 This Floppy Drive VIC-1541 (brown label with white case) unlike the known model of VIC-1541 uses a drive mechanism of Newtronics/Mitsumi White and not the usual ALPS brown. 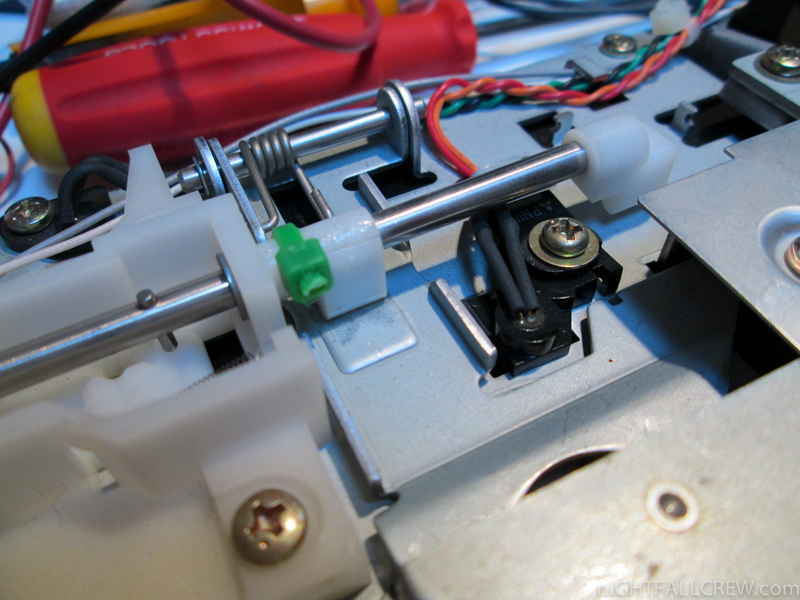 The drive mechanism probably was replaced over the time but i have published the photos anyway. 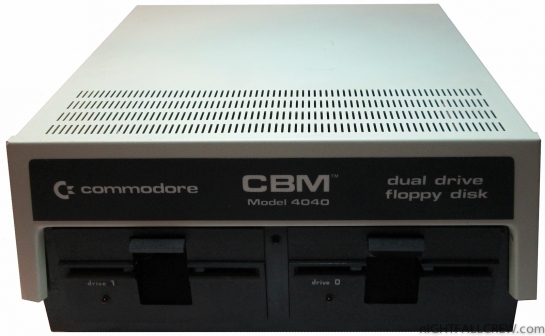 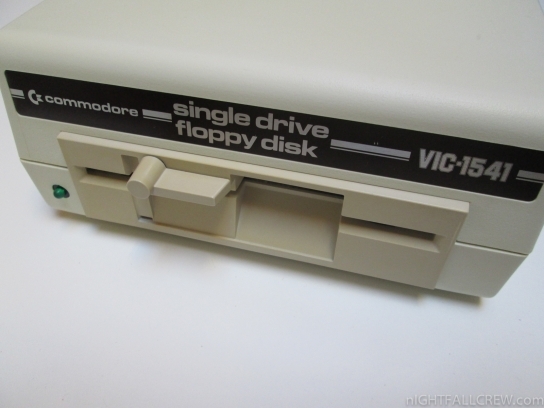 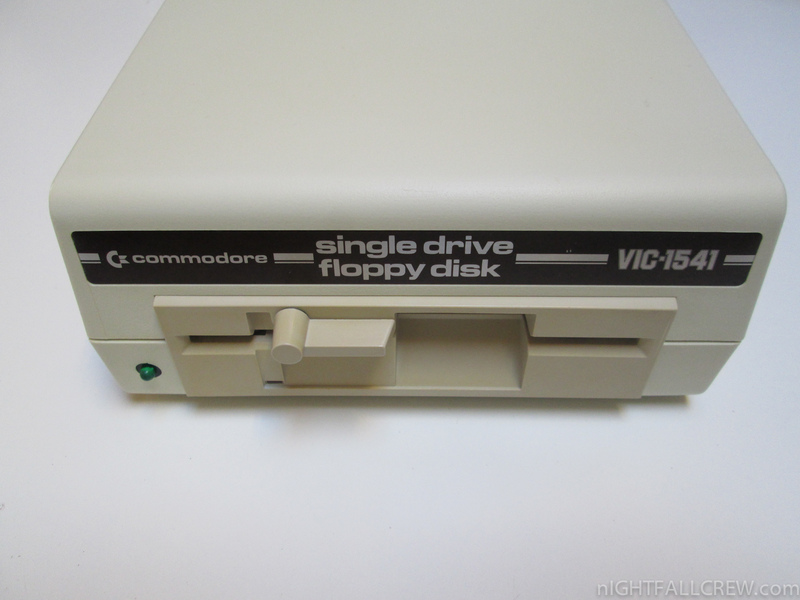 The Commodore 1541 (also known as the CBM 1541 and VIC-1541) is a floppy disk drive (FDD) which was made by Commodore International for the Commodore 64 (C64), Commodore’s most popular home computer. 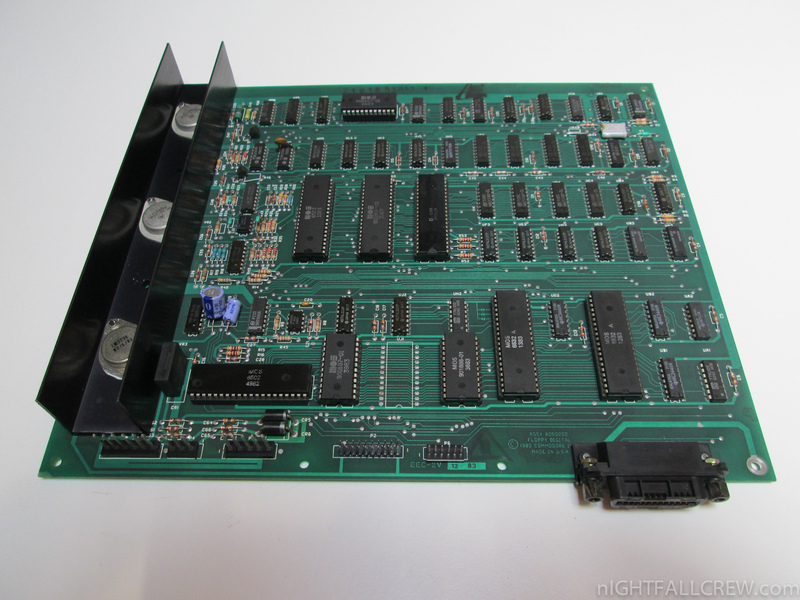 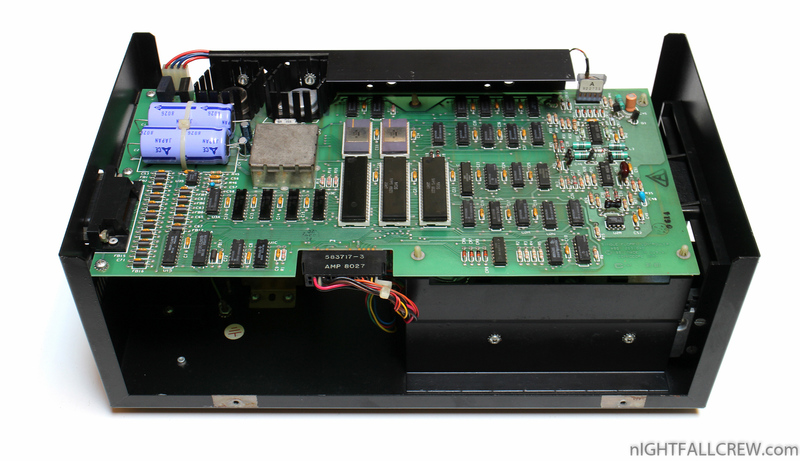 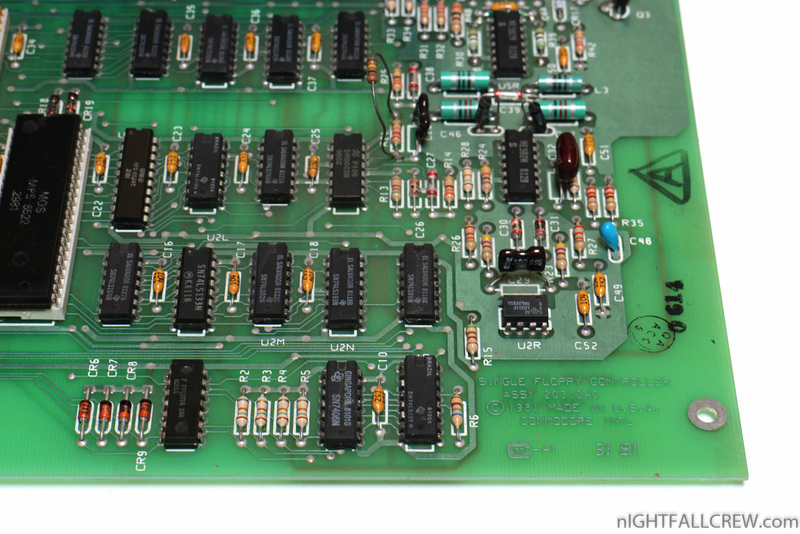 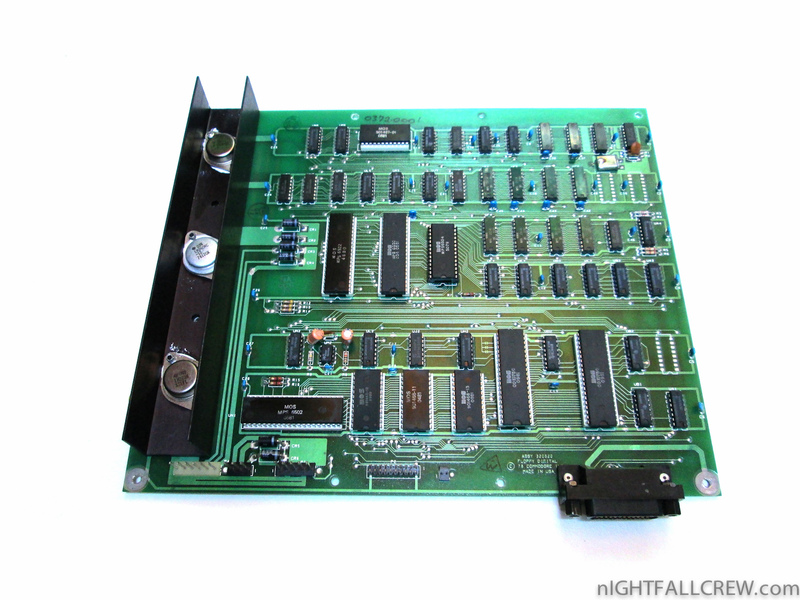 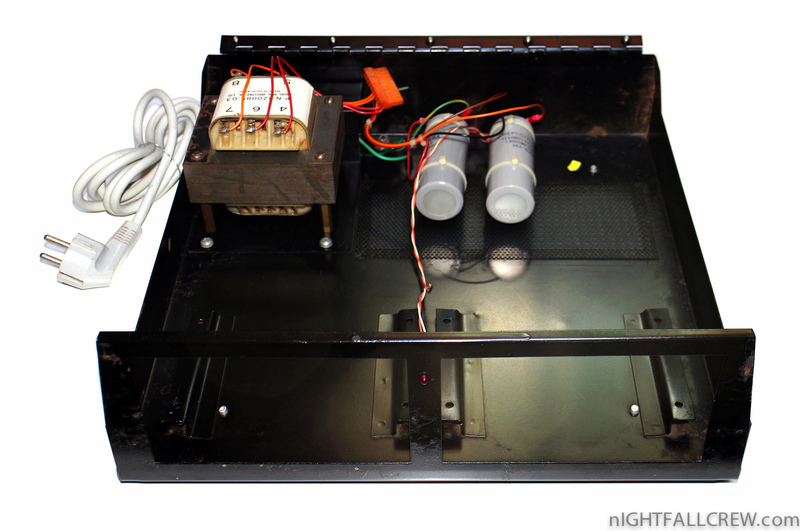 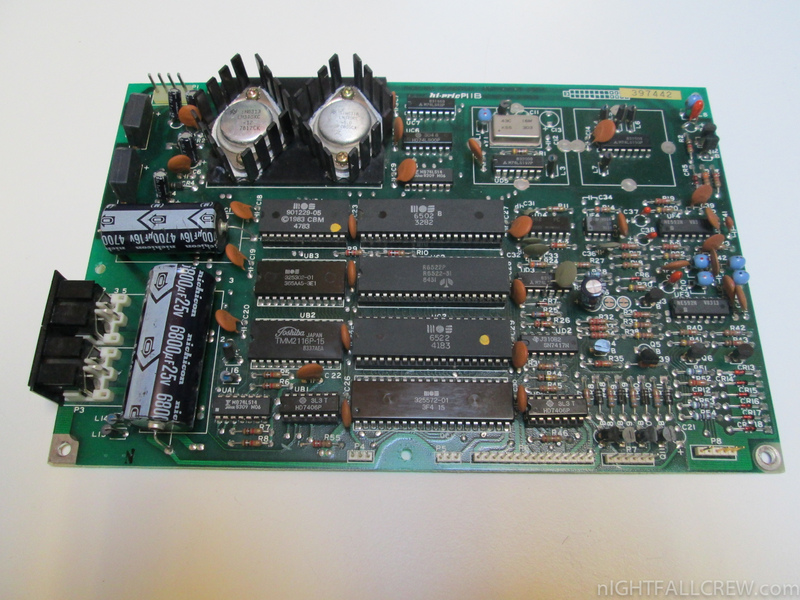 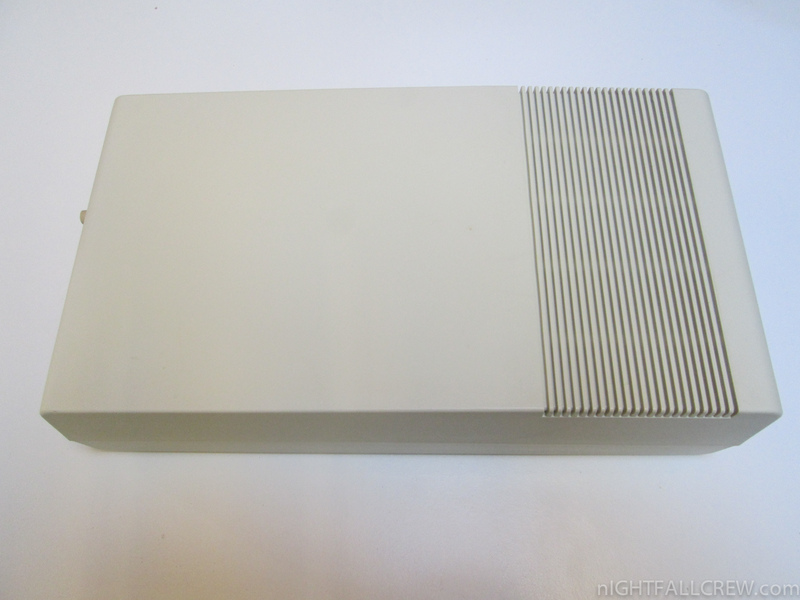 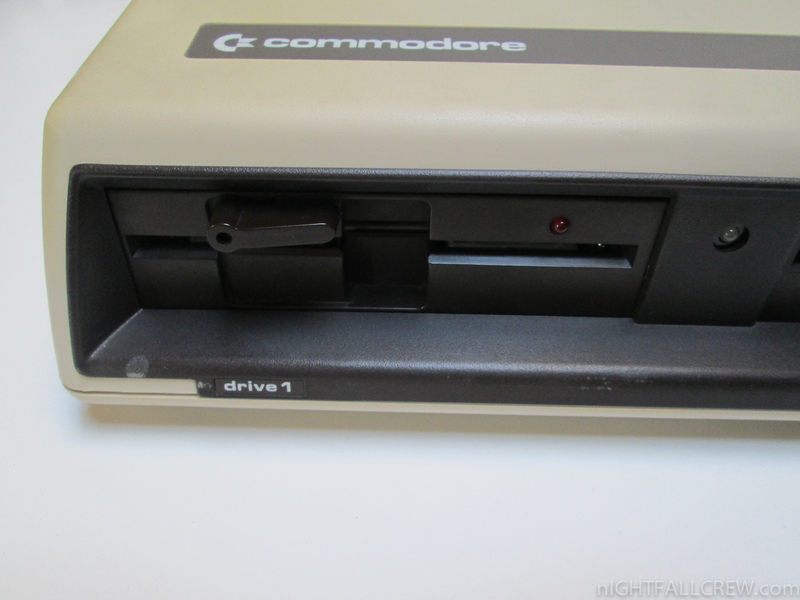 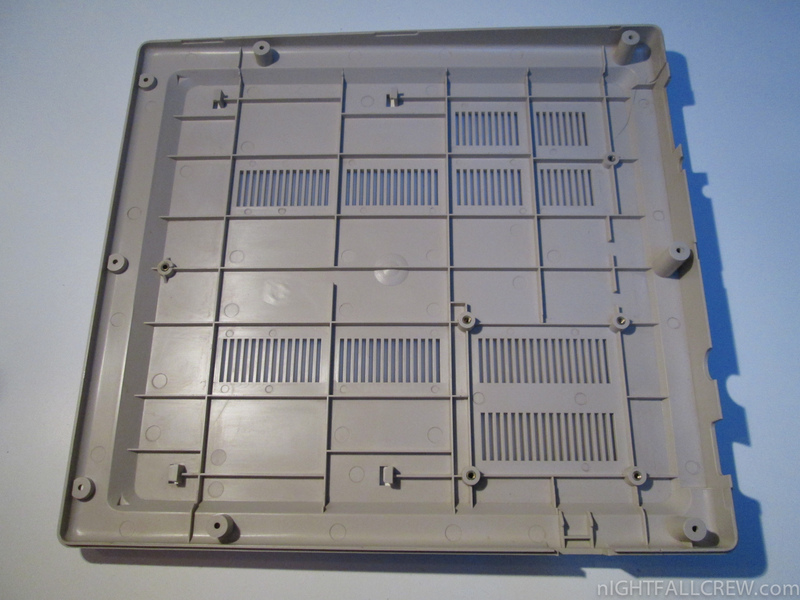 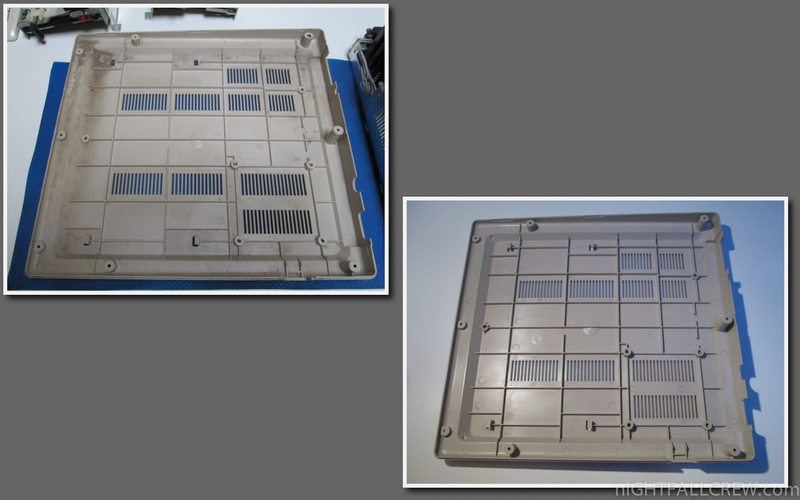 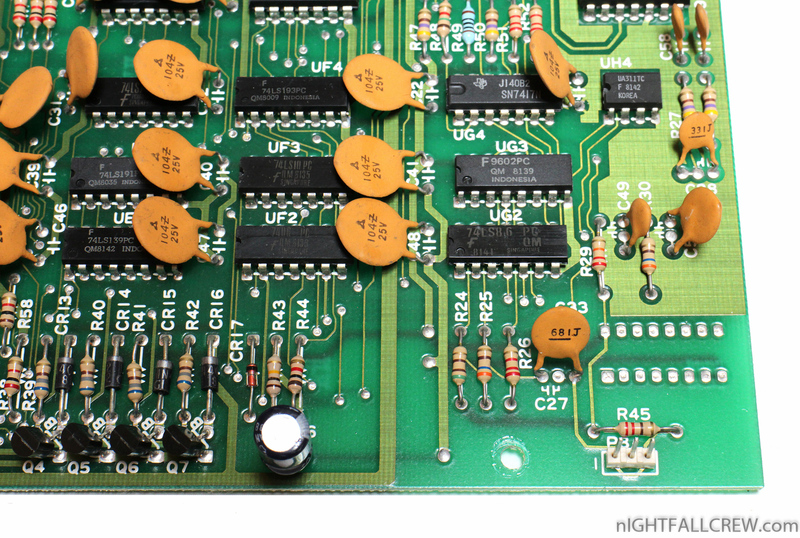 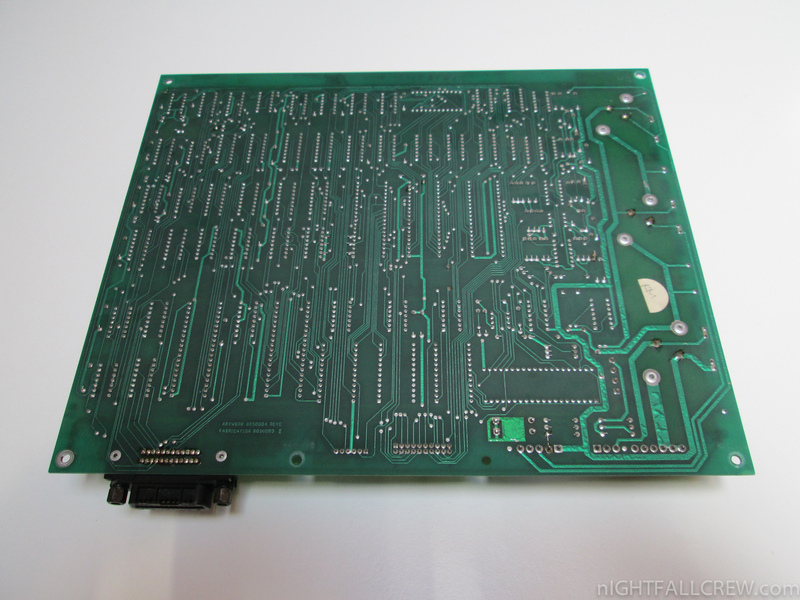 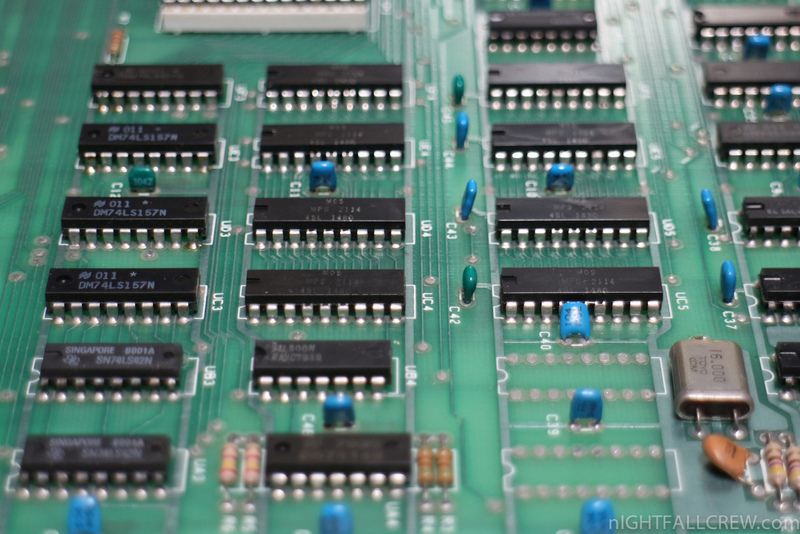 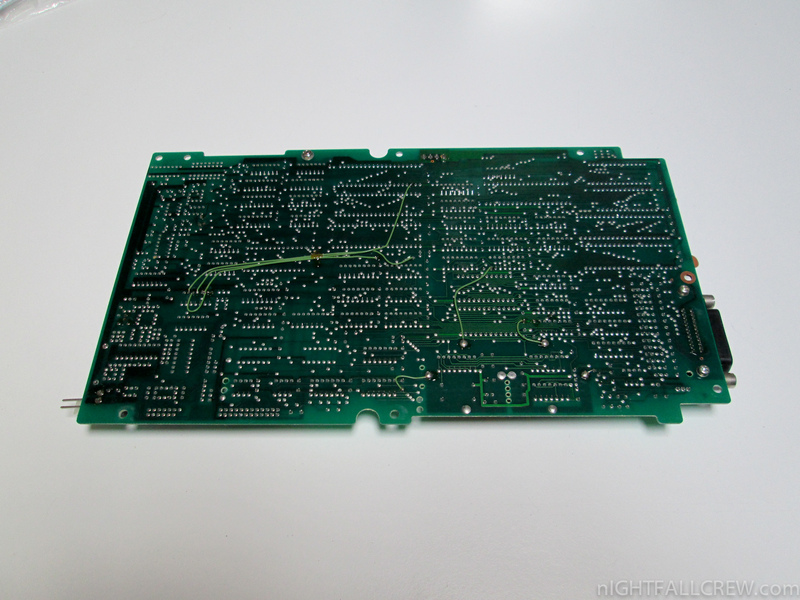 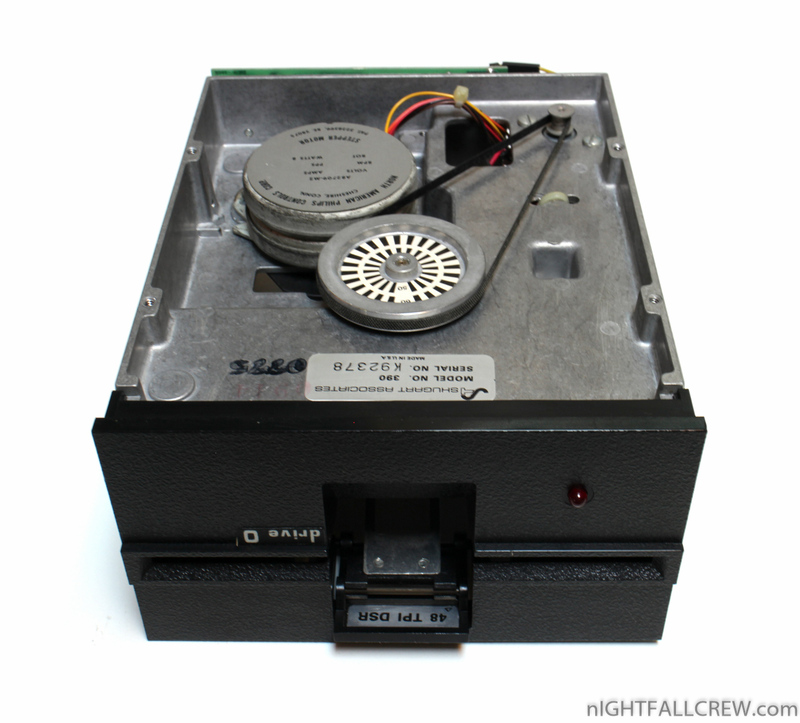 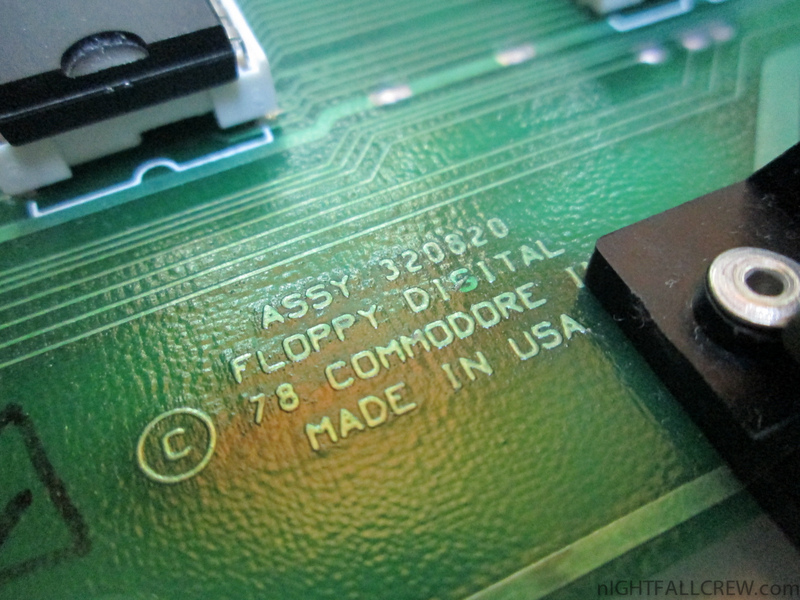 The best-known FDD for the C64, the 1541 was a single-sided 170 kilobyte drive for 5¼” disks. 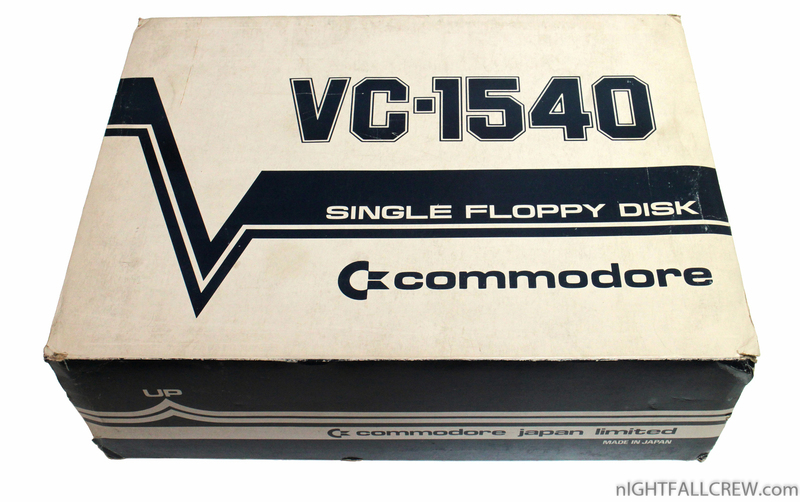 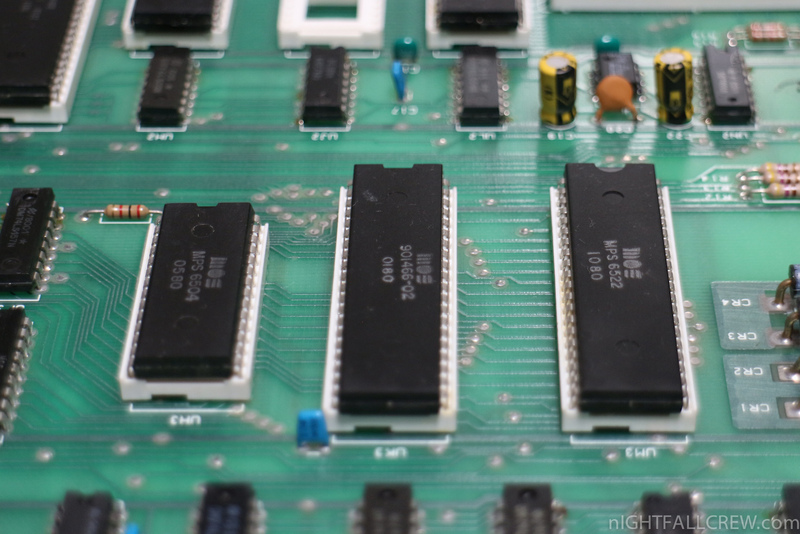 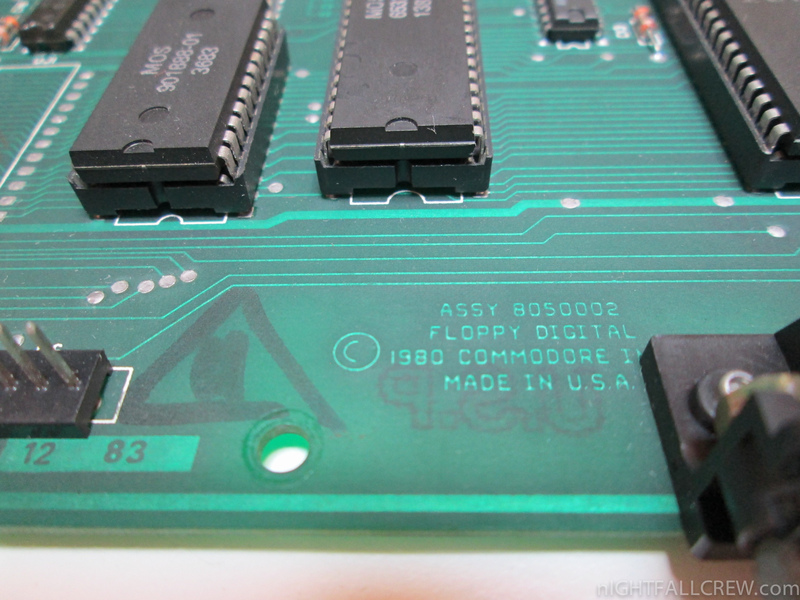 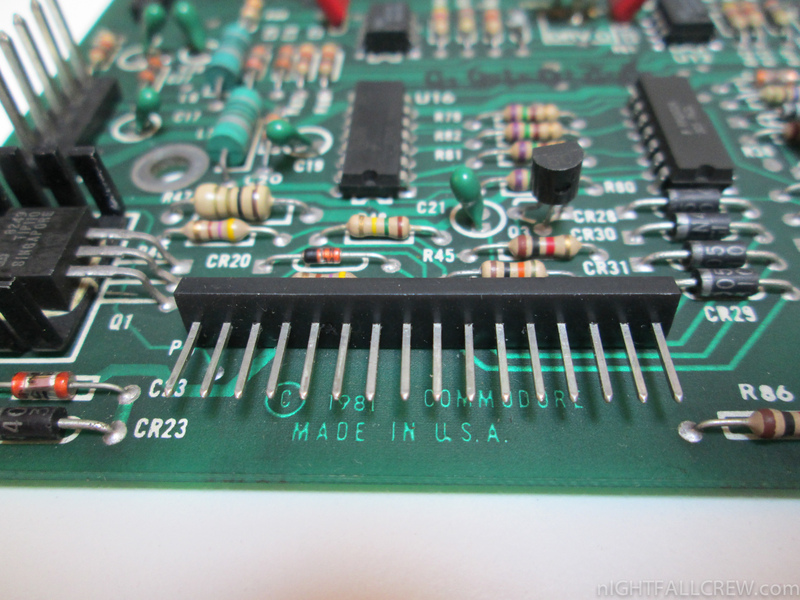 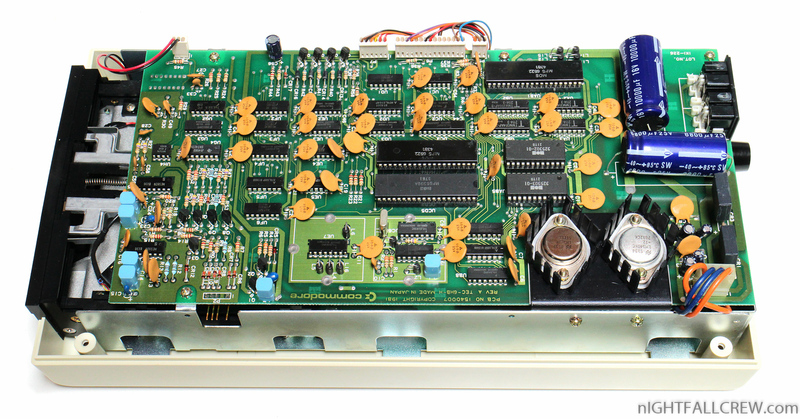 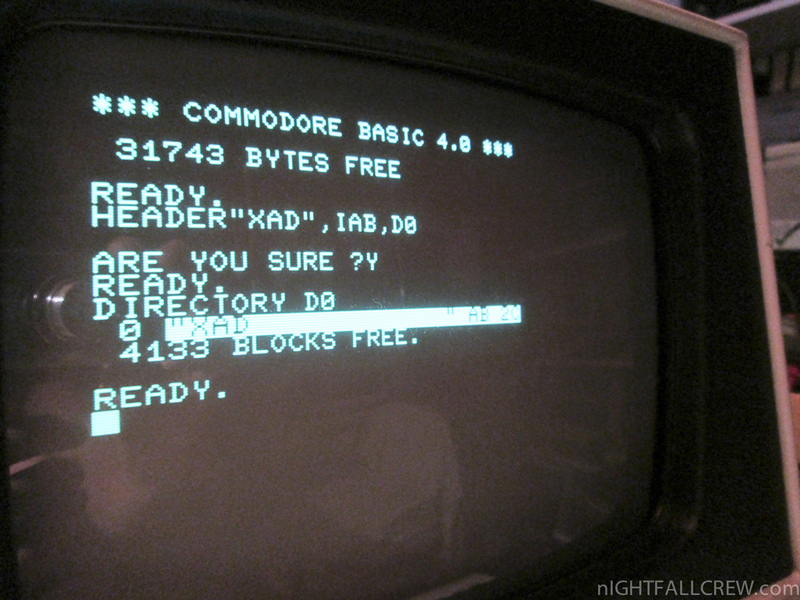 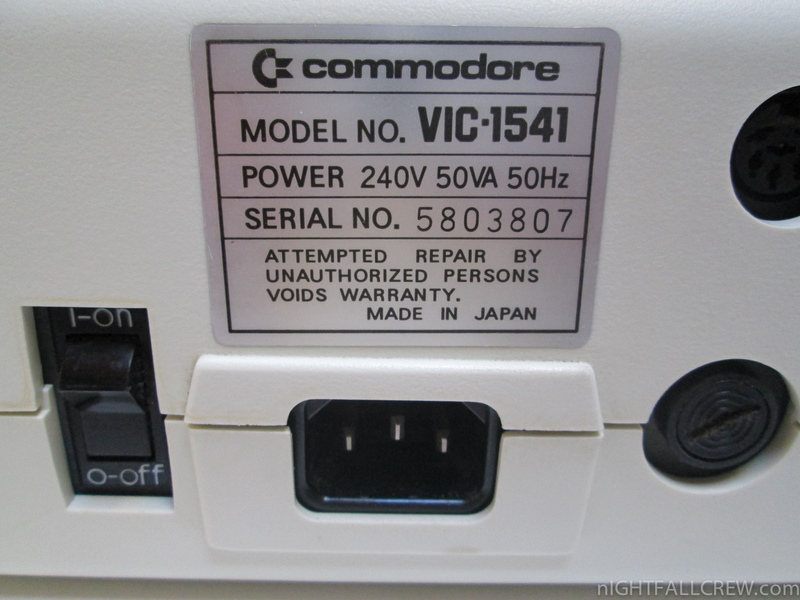 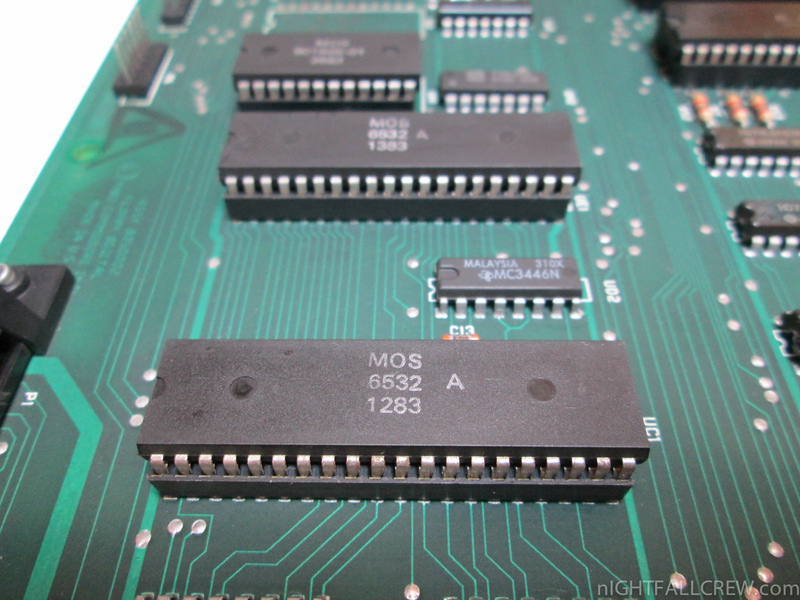 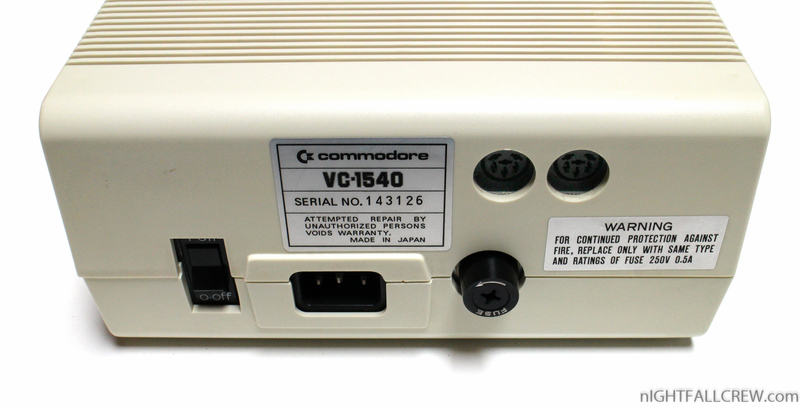 The 1541 followed the previous Commodore 1540 (meant for the VIC-20). 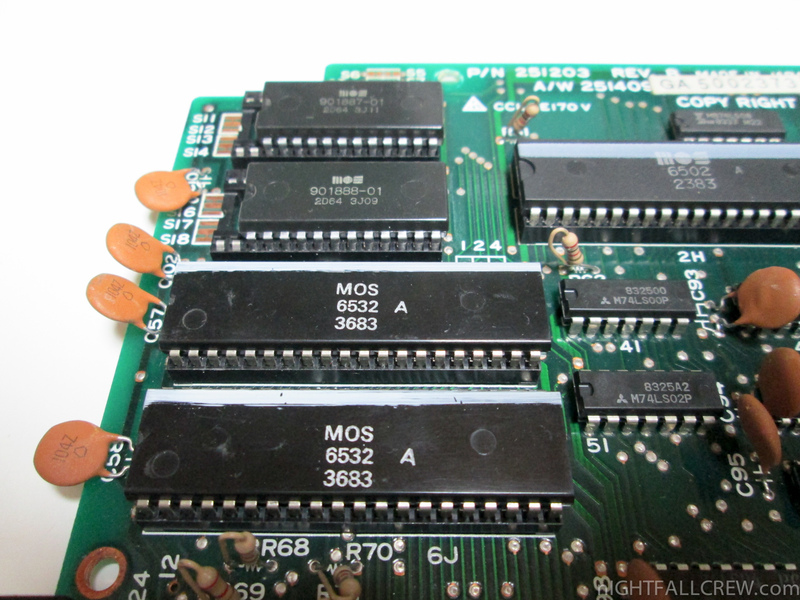 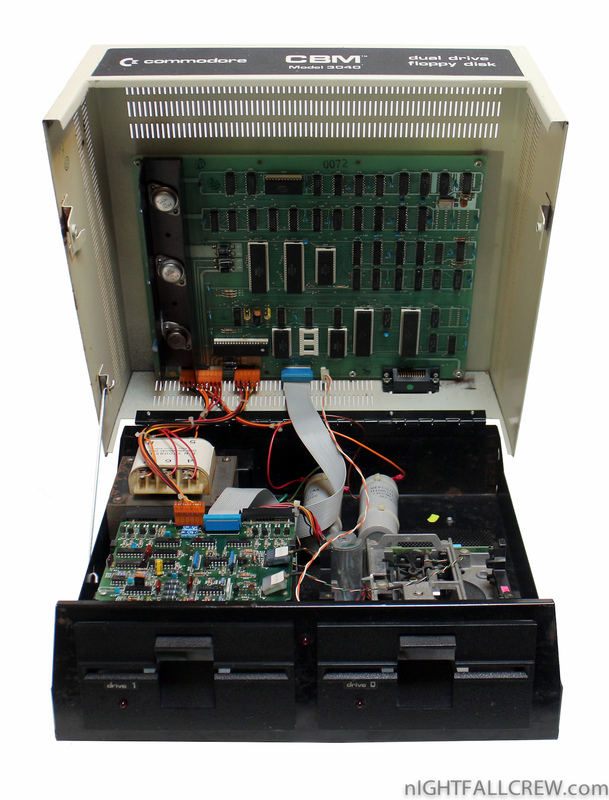 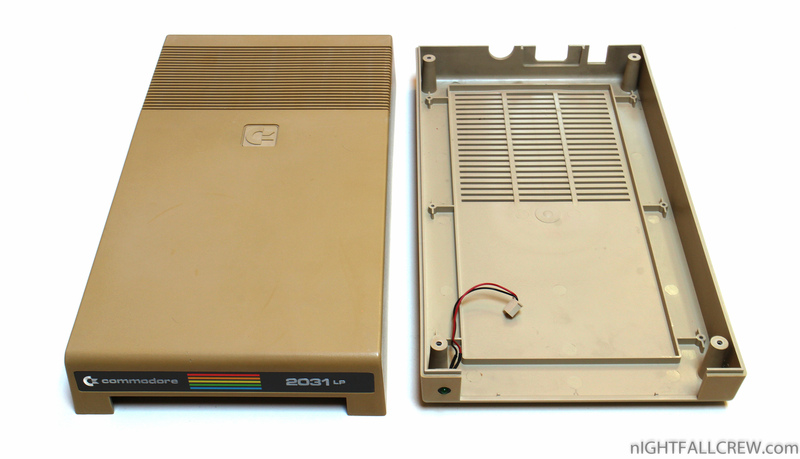 The disk drive used Group Code Recording (GCR) and contained a MOS Technology 6502 microprocessor, doubling as a disk controller and on-board disk operating system processor. 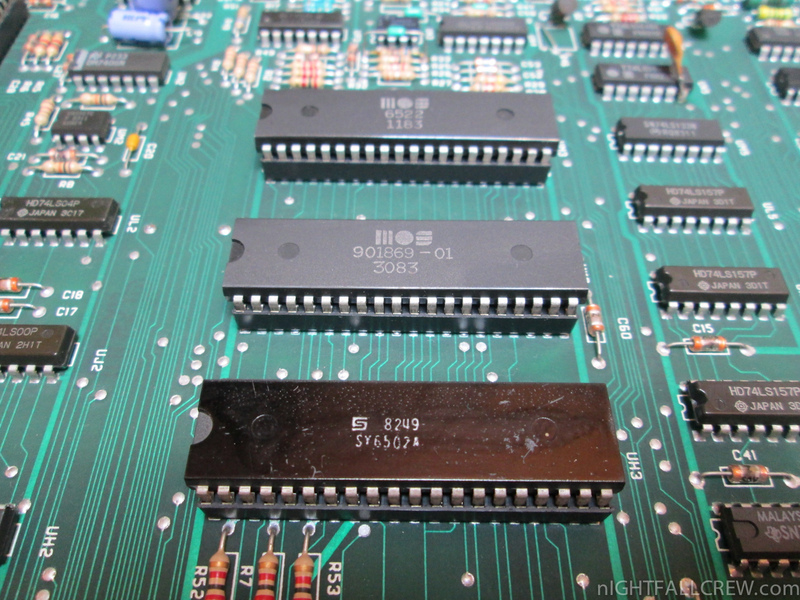 The number of sectors per track varied from 17 to 21 (an early implementation of Zone Bit Recording). 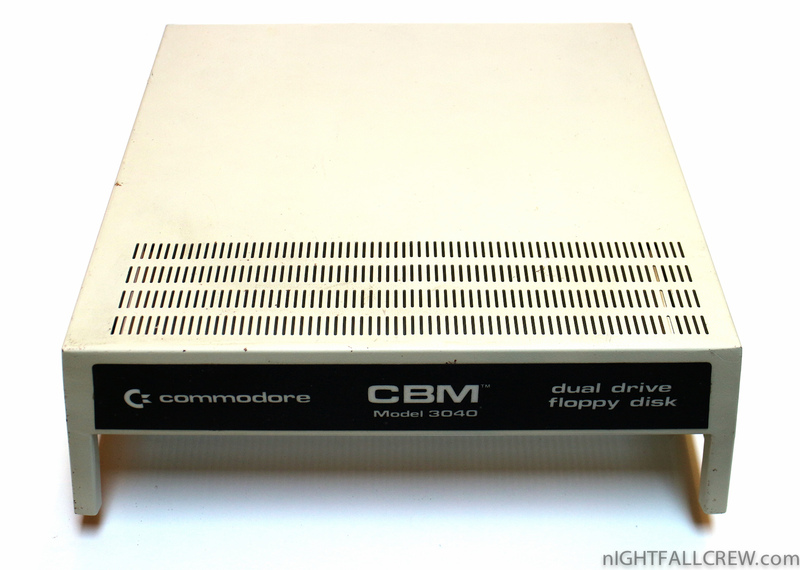 The drive’s built-in disk operating system was CBM DOS 2.6. 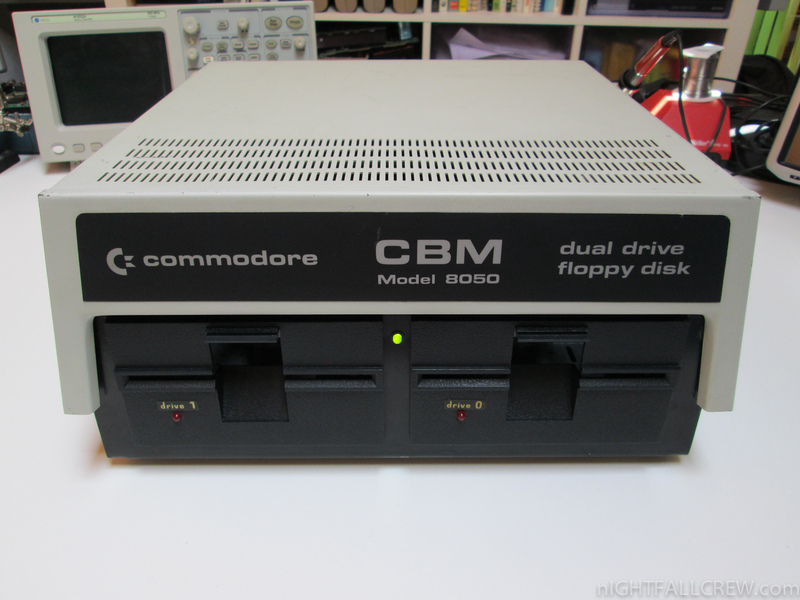 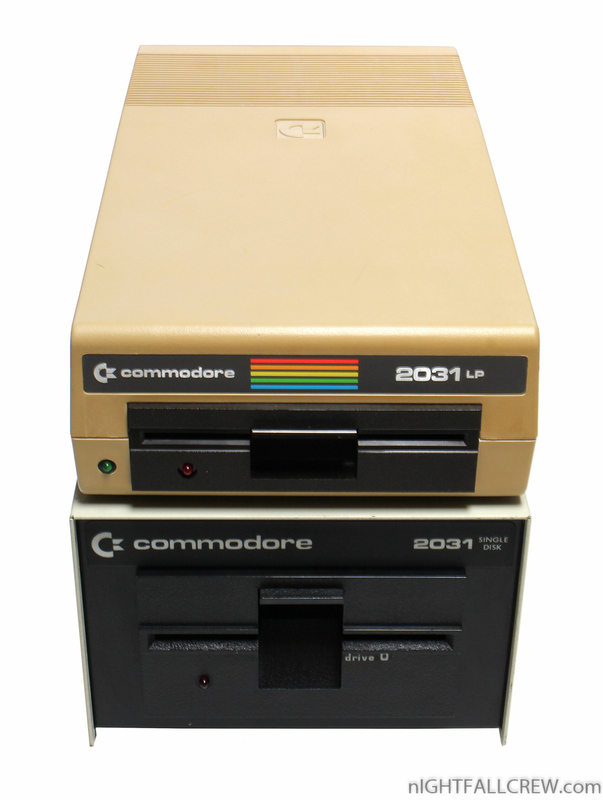 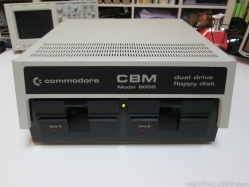 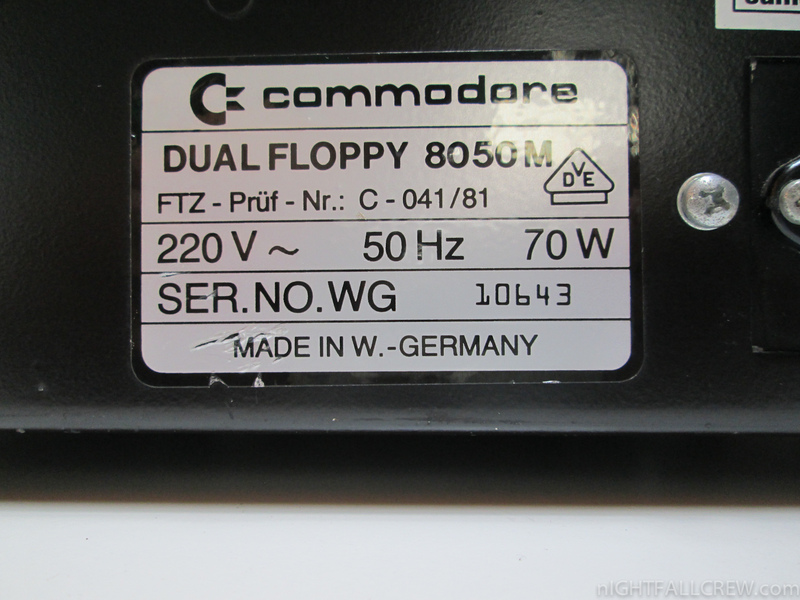 The Commodore 8050 and Commodore 8250 were dual unit 5¼” floppy disk drives for Commodore International computers. 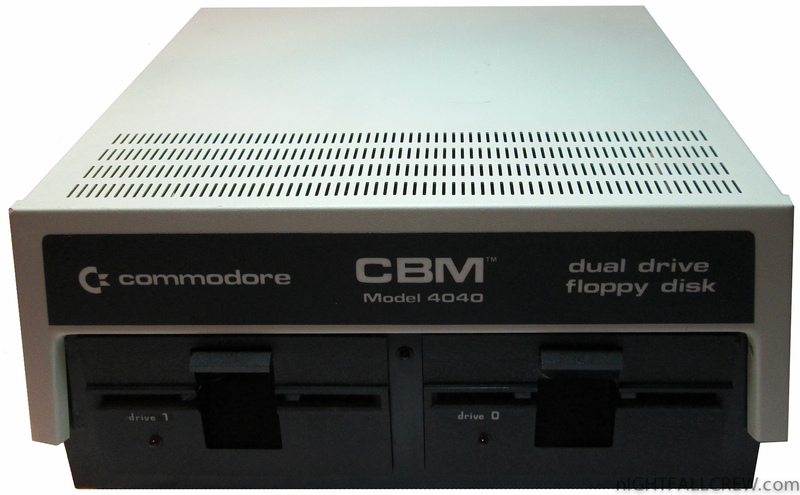 They used a wide rectangular steel case form similar to that of the Commodore 4040, and used the IEEE-488 interface common to Commodore PET/CBM computers. 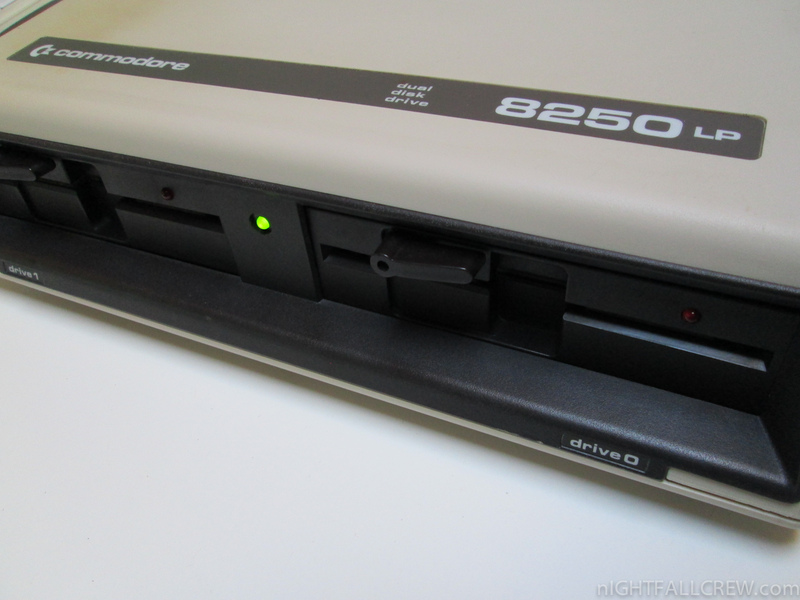 The 8050 was a single sided drive, whereas the 8250 could use both sides of a disk simultaneously. 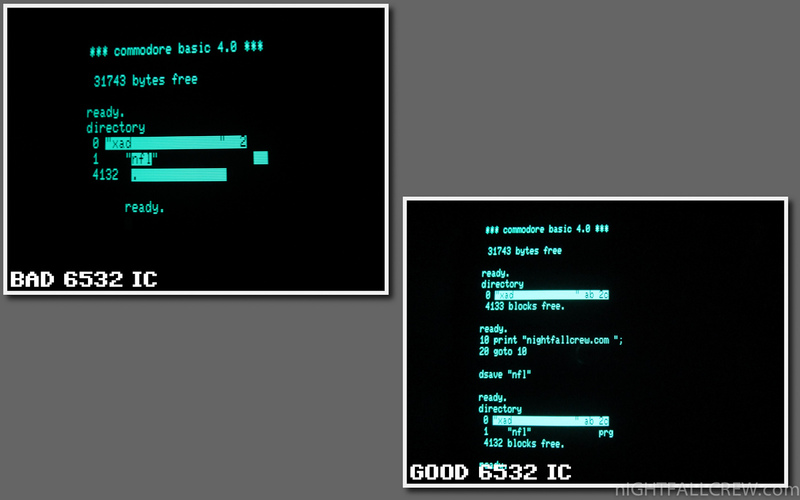 Both used a “quad” density format storing approximately 0.5 megabyte per side. 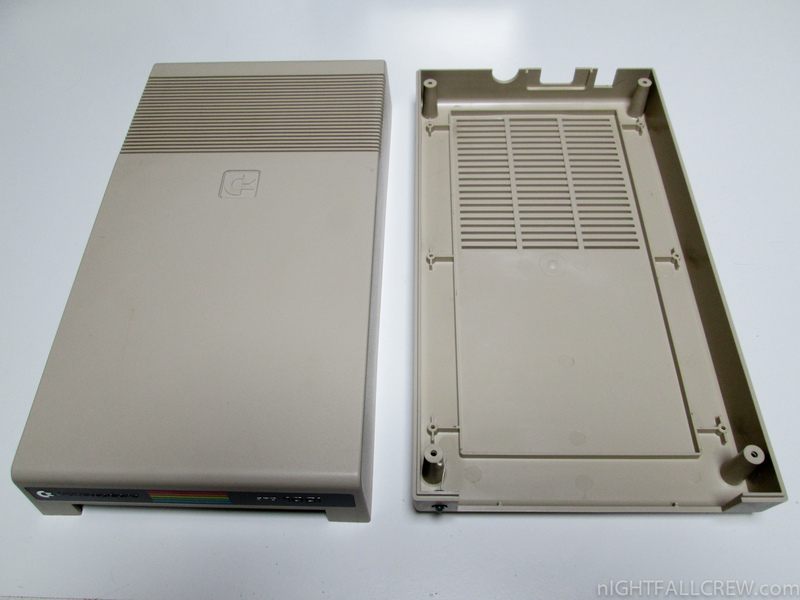 The density of media was similar to later PC high density floppy disks, but the 8050 and 8250 could not use PC high density disks reliably. 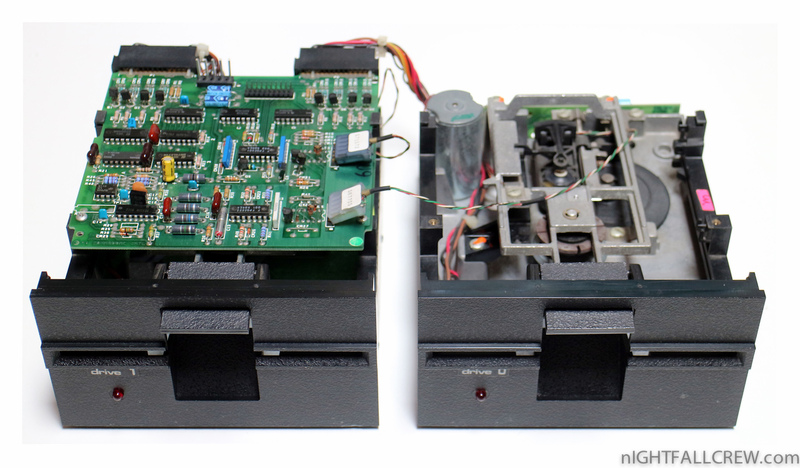 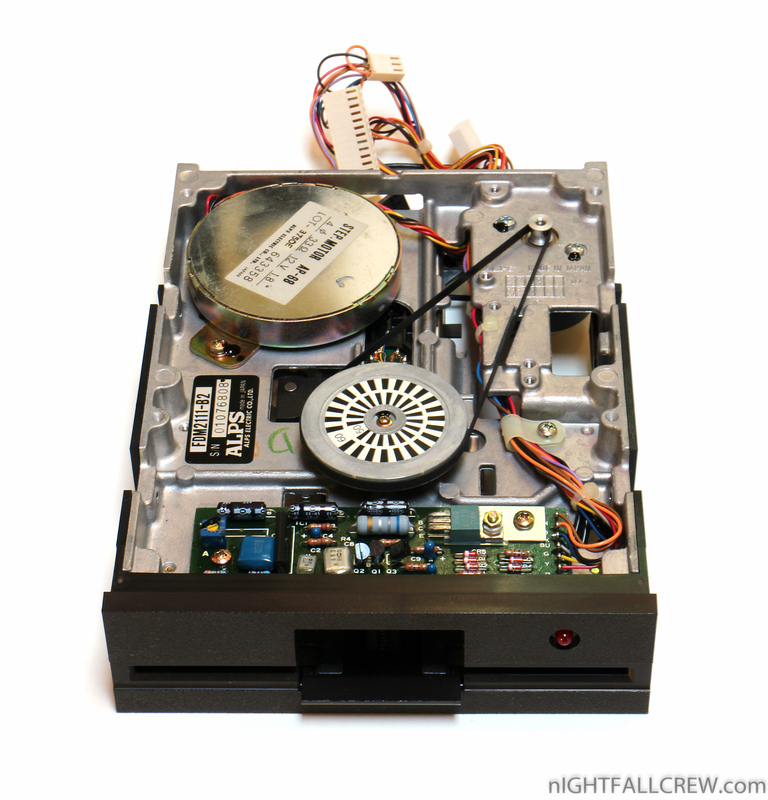 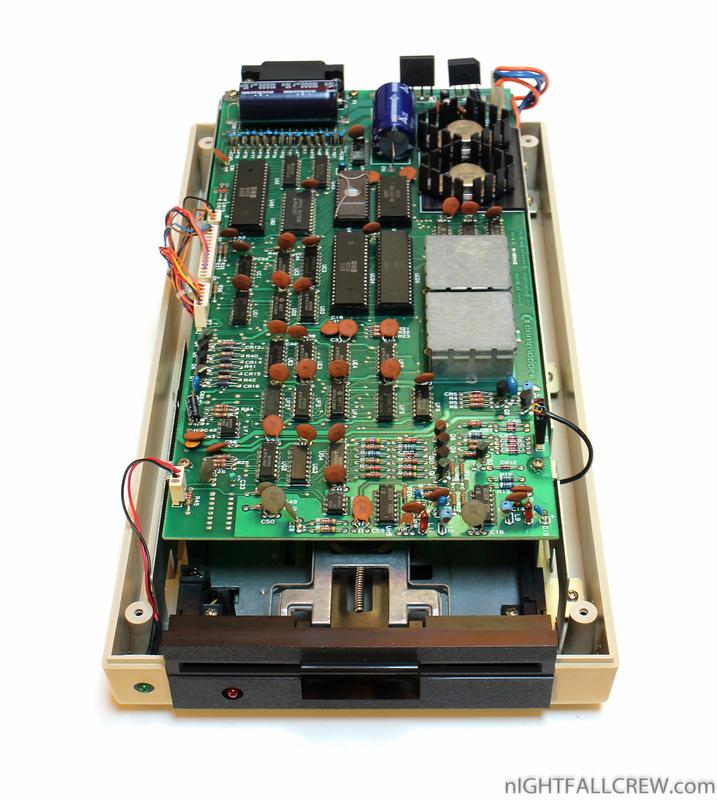 Since “quad” density disks were rare even at the time, users quickly found that typical double density floppy disks had enough magnetic media density to work in these drives. 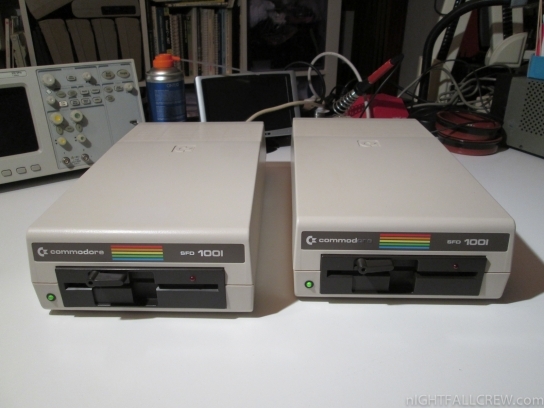 These drives were not dual mode, so they could not read or write disks formatted by the more common lower capacity Commodore 1541 or Commodore 4040 models. 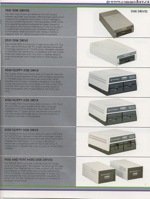 Some variants of these drives existed. 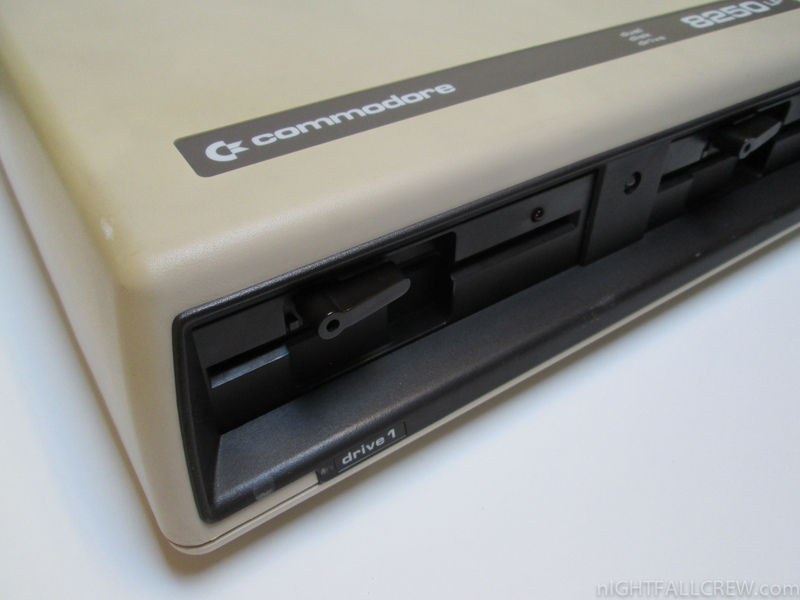 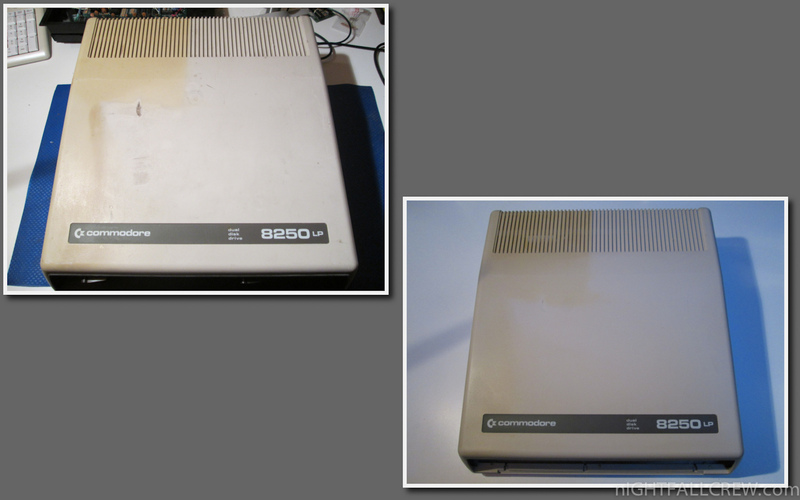 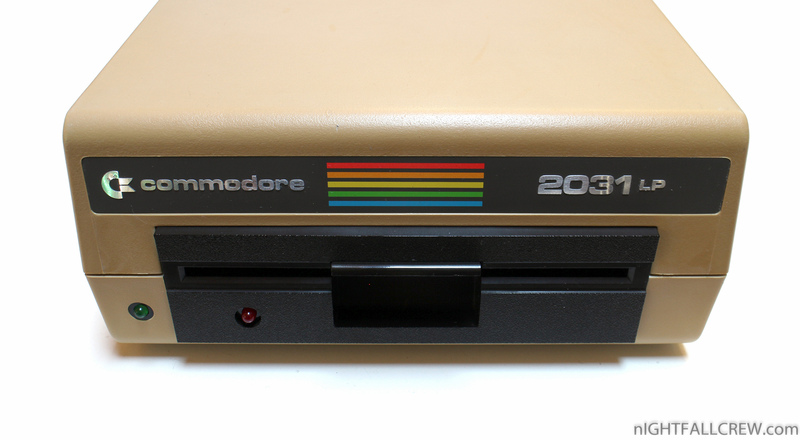 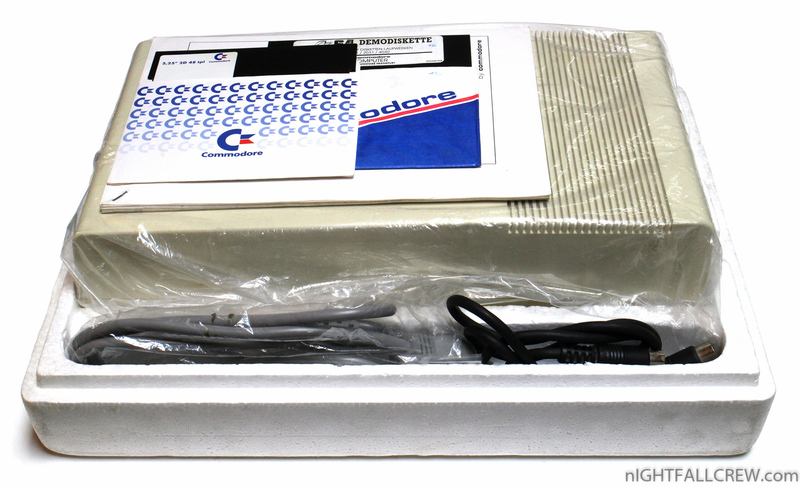 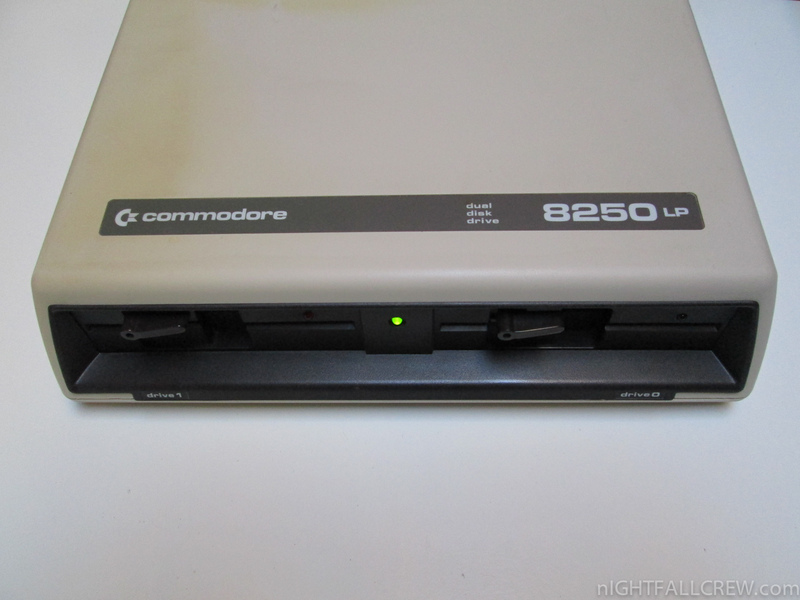 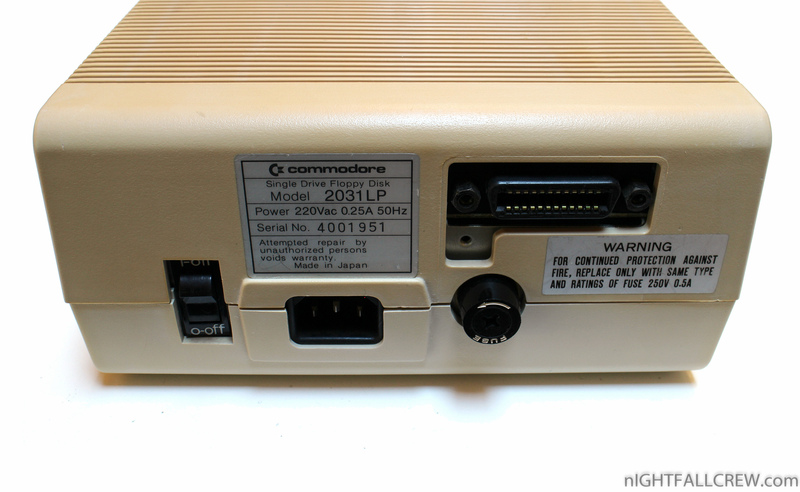 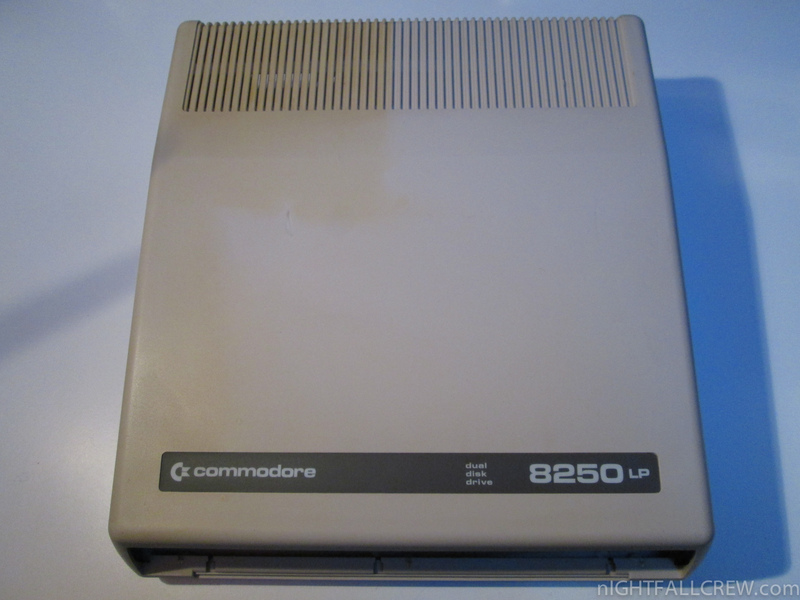 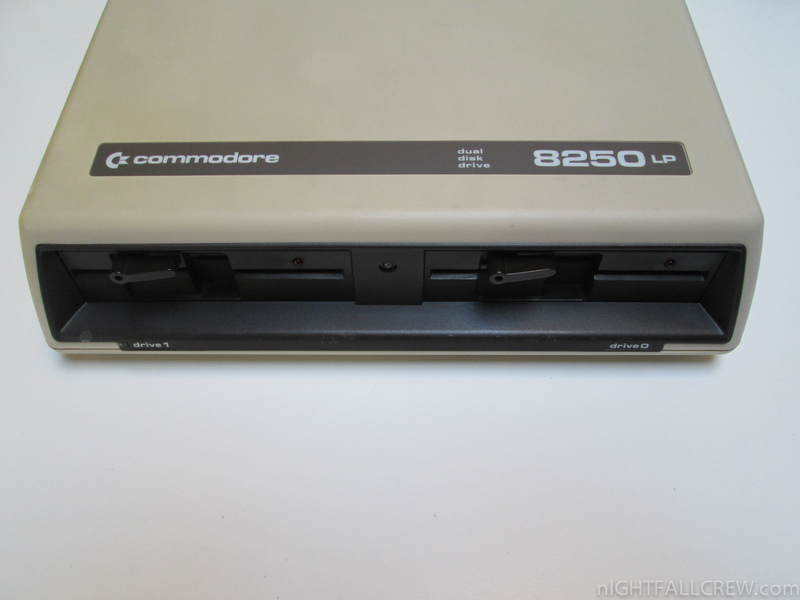 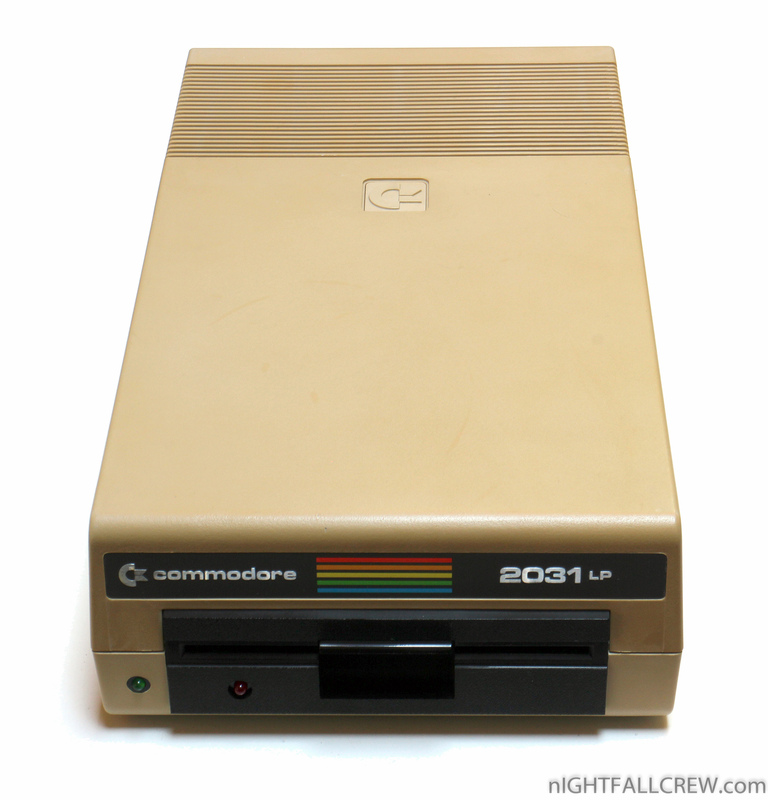 The Commodore 8250LP was the 8250 in a lower profile, tan-colored case. 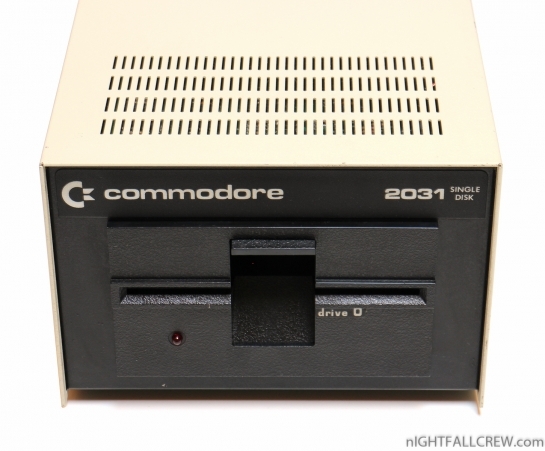 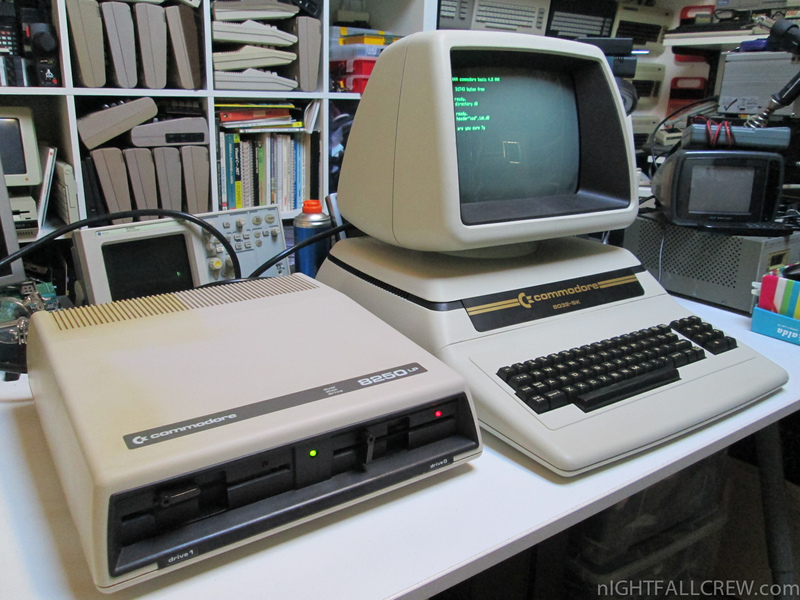 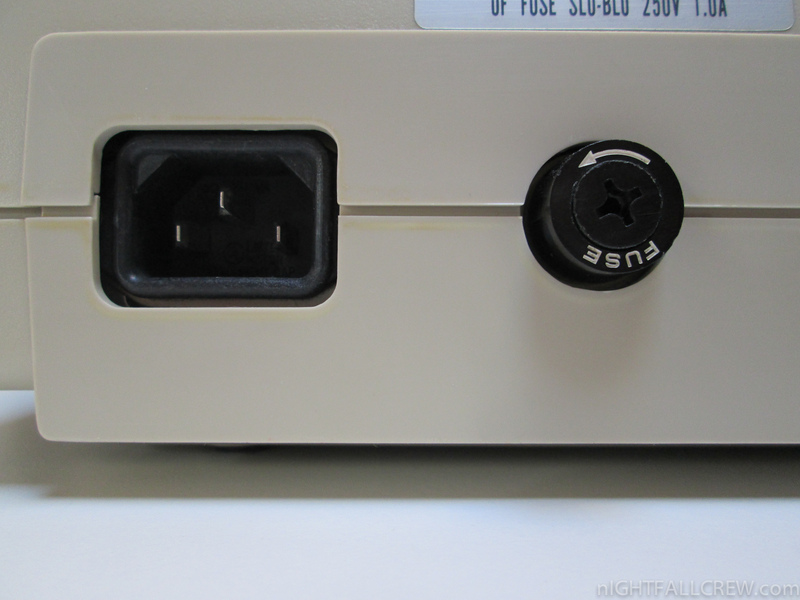 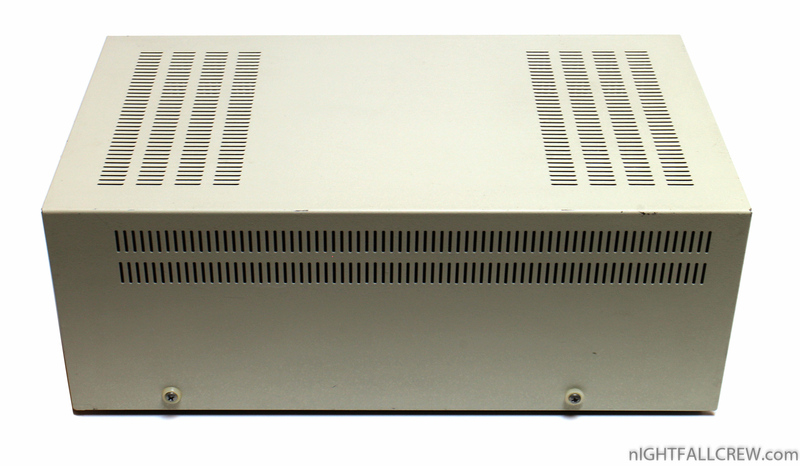 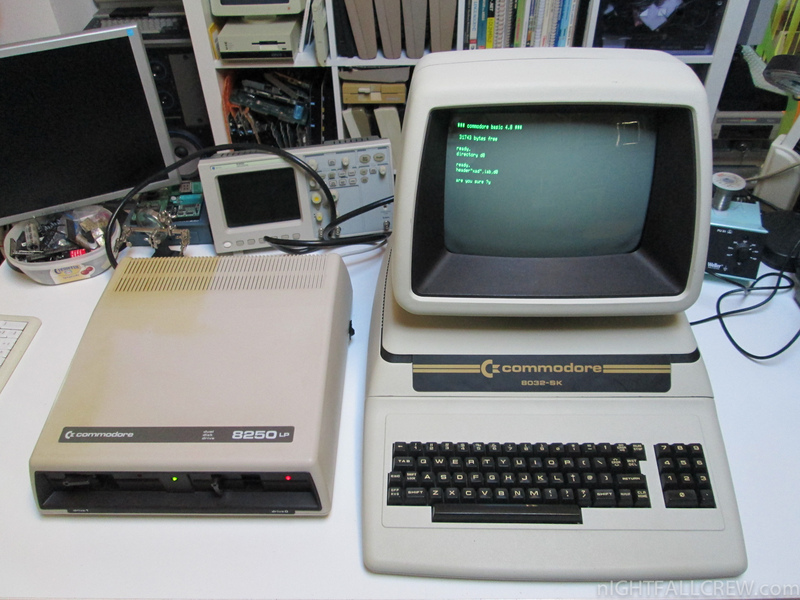 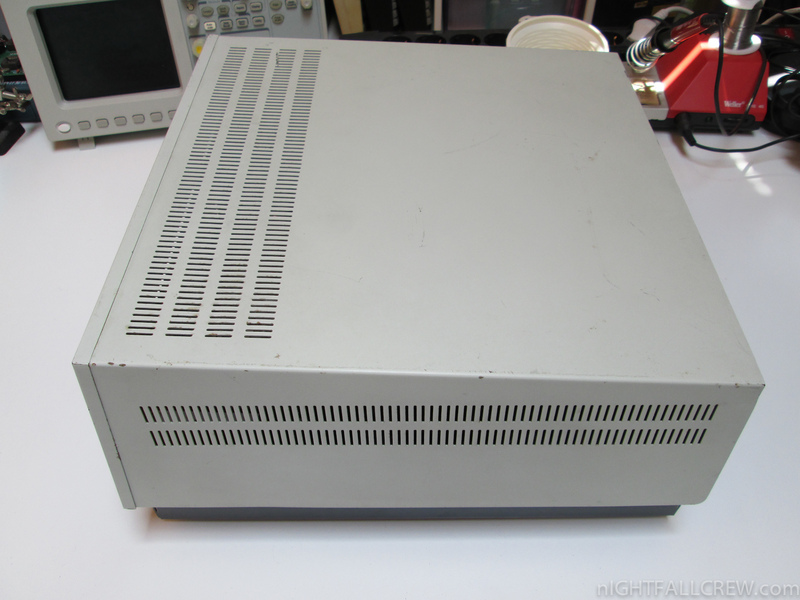 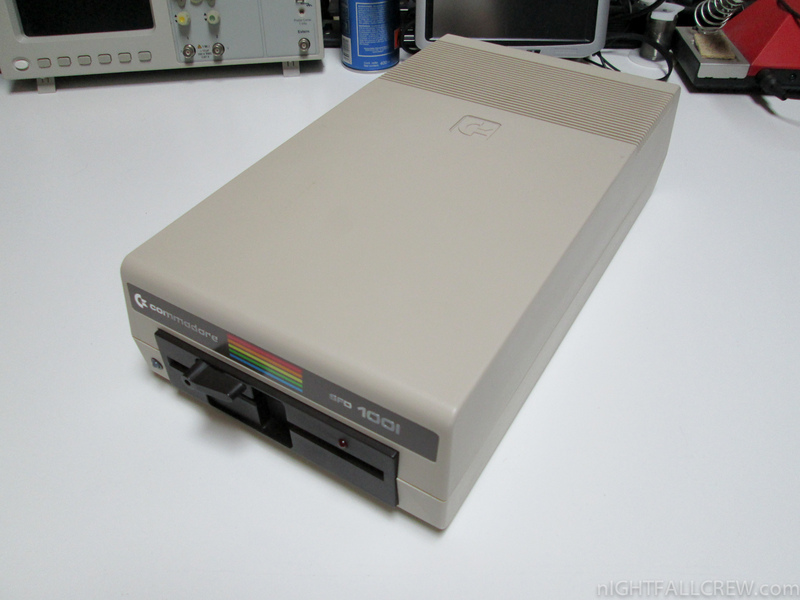 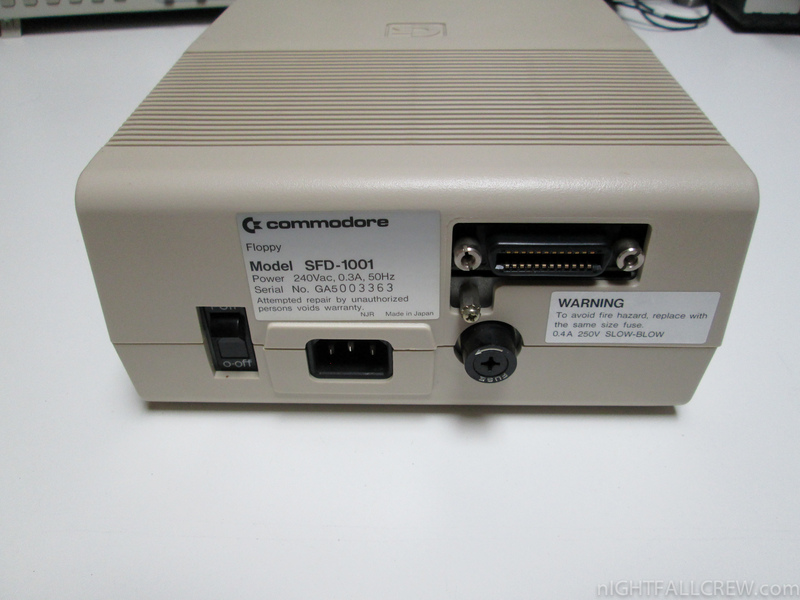 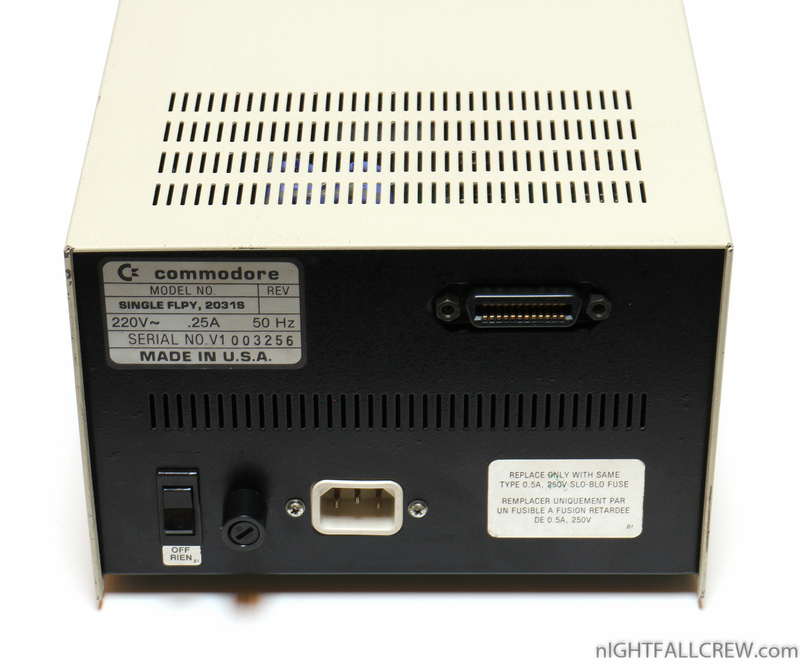 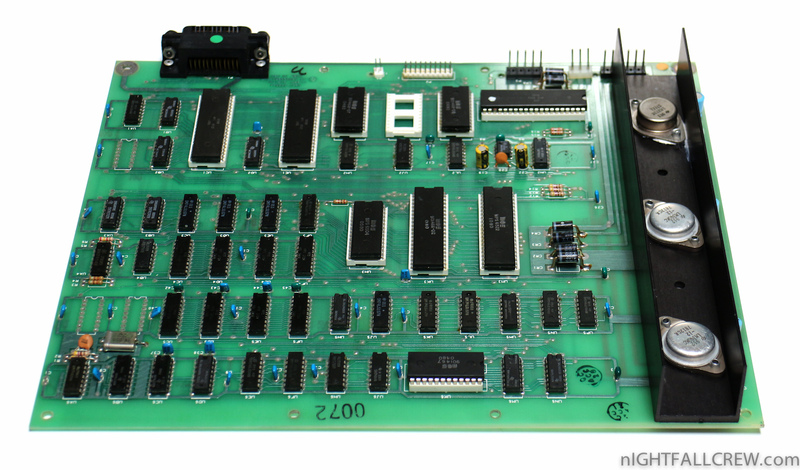 The Commodore SFD-1001 was a single drive version of the 8250 in a Commodore 1541 style case (similarly to the Commodore 2031LP), often used by bulletin board systems for their physical similarity to 1541s and high capacity and speed. 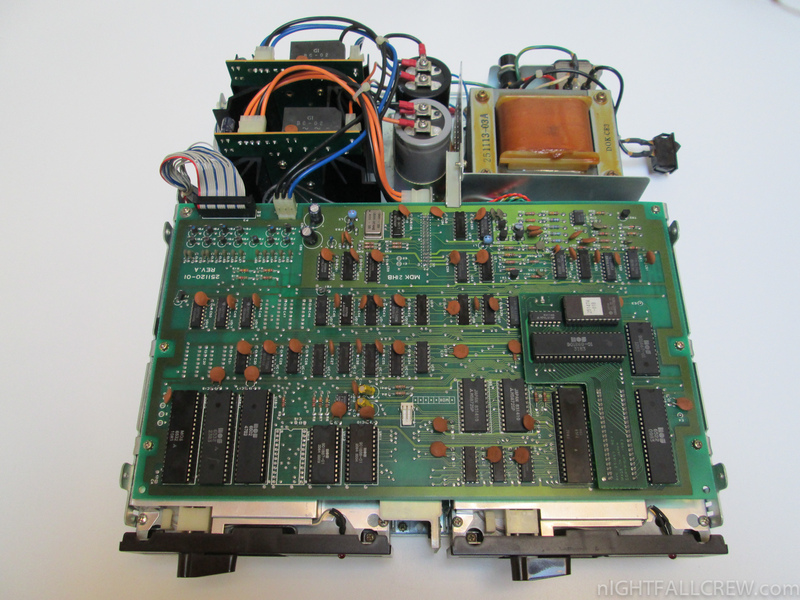 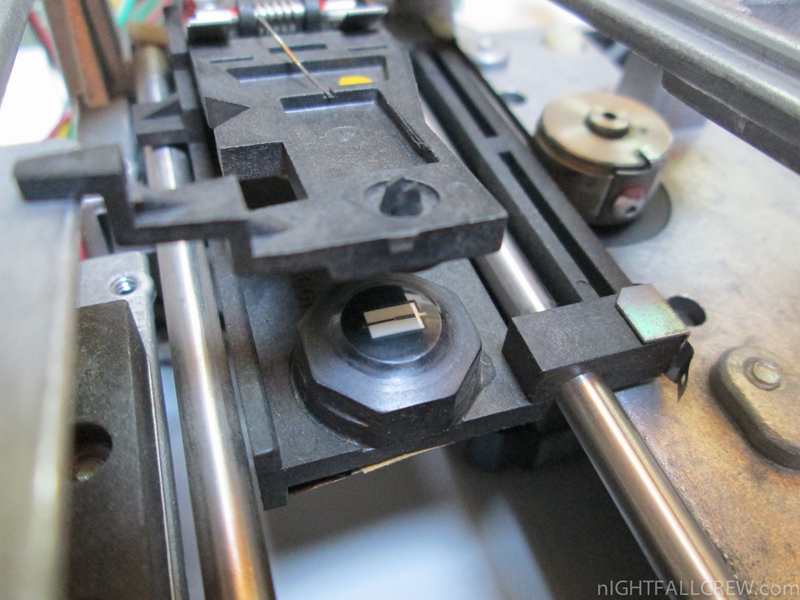 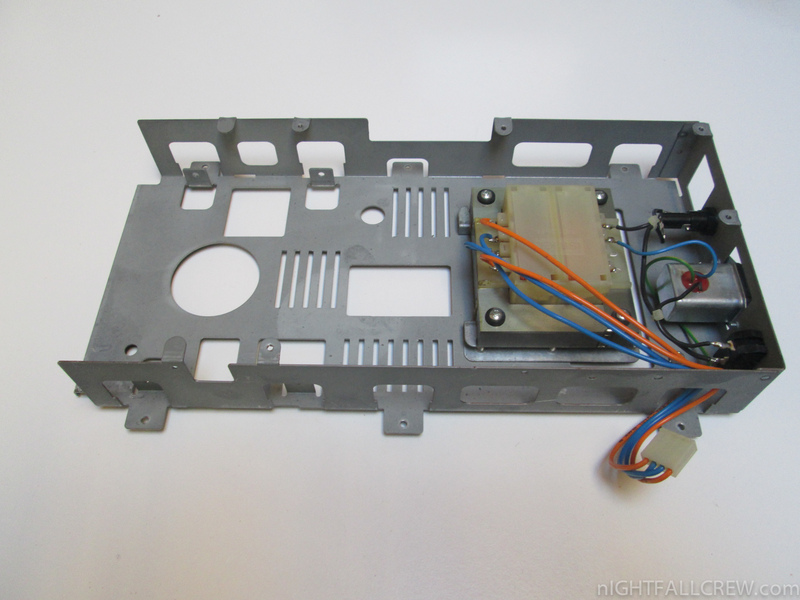 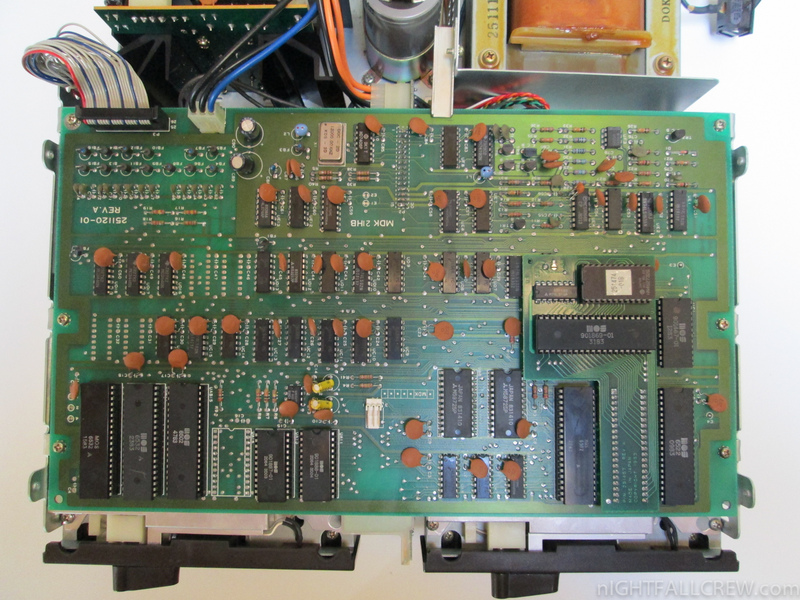 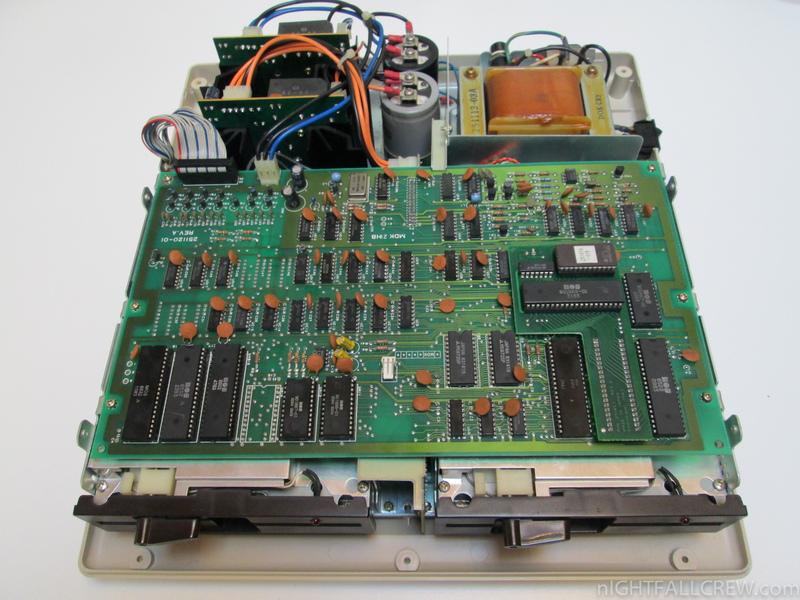 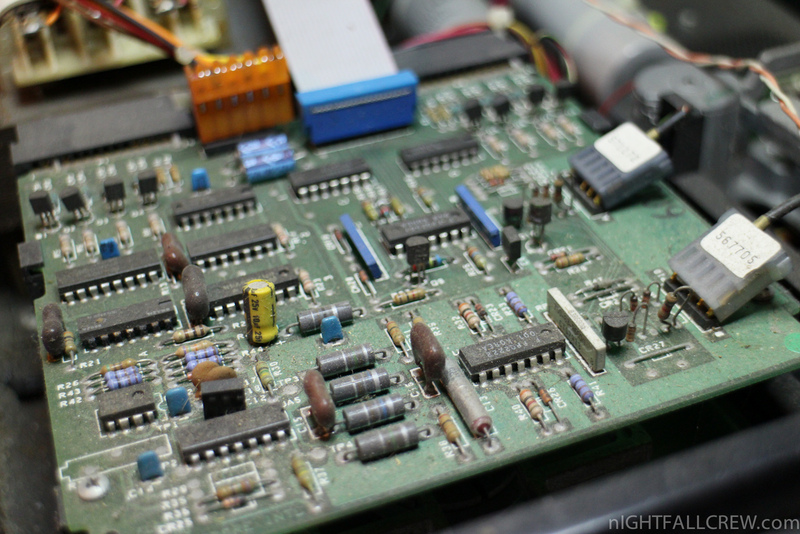 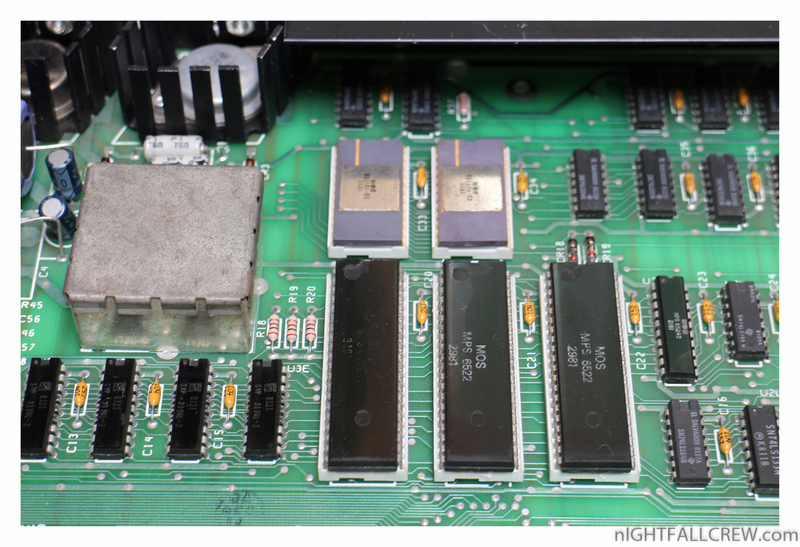 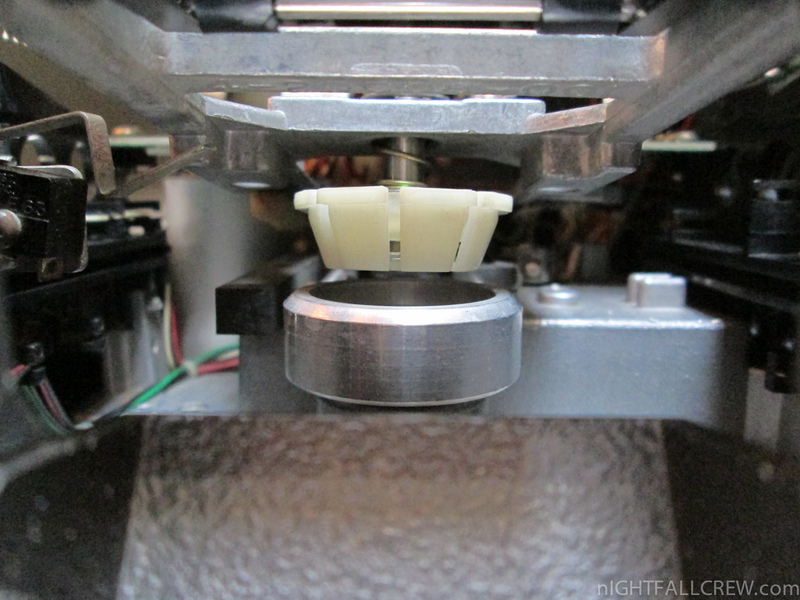 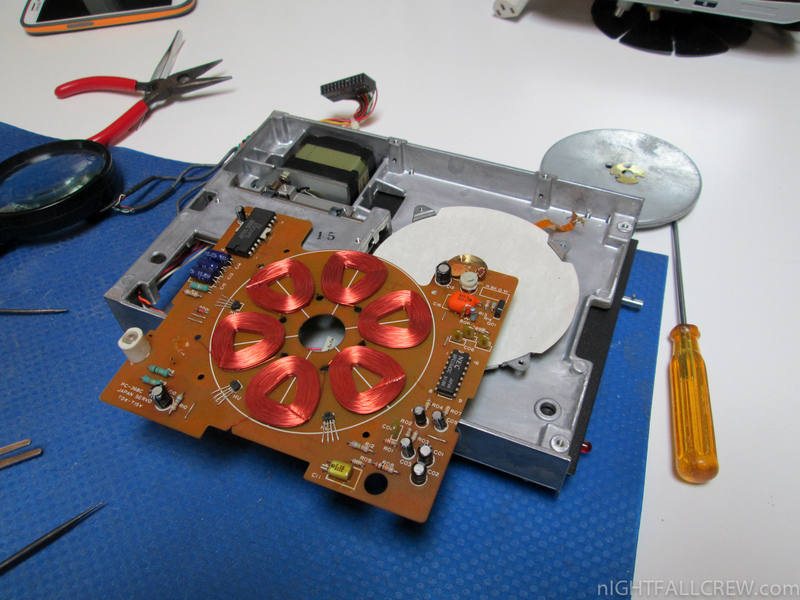 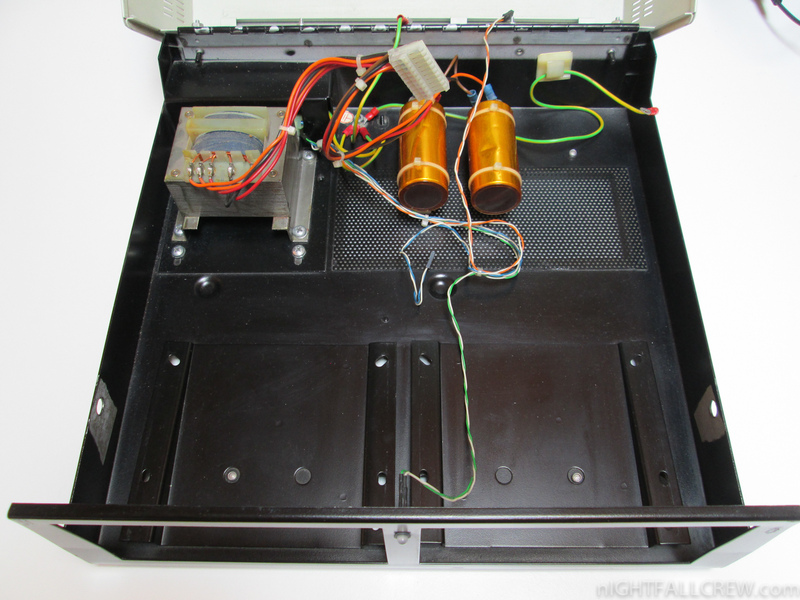 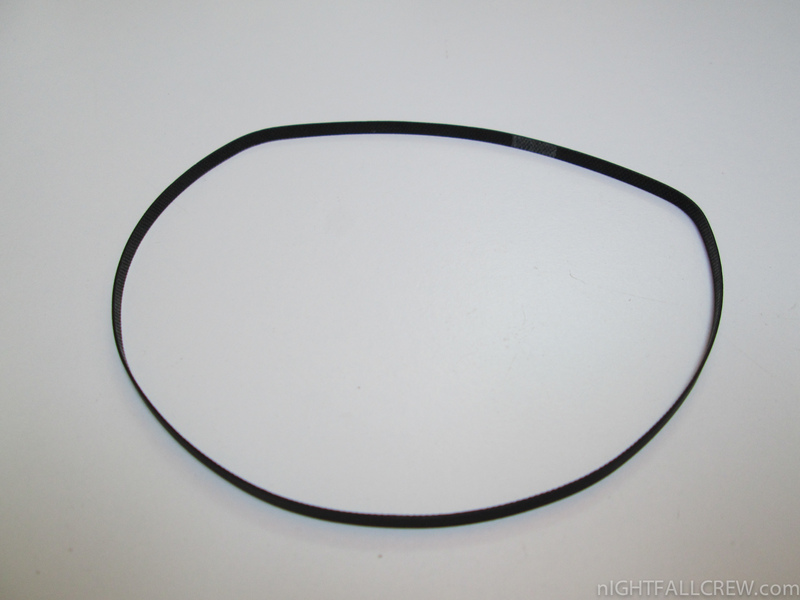 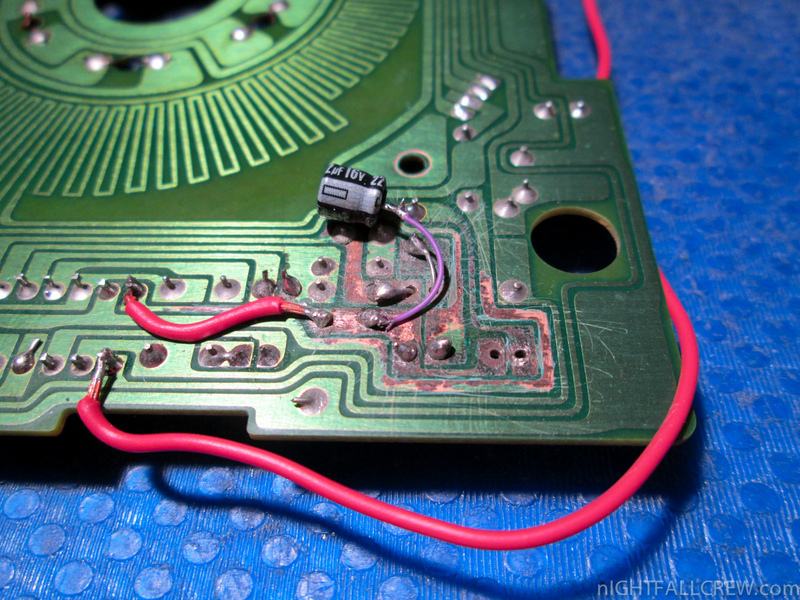 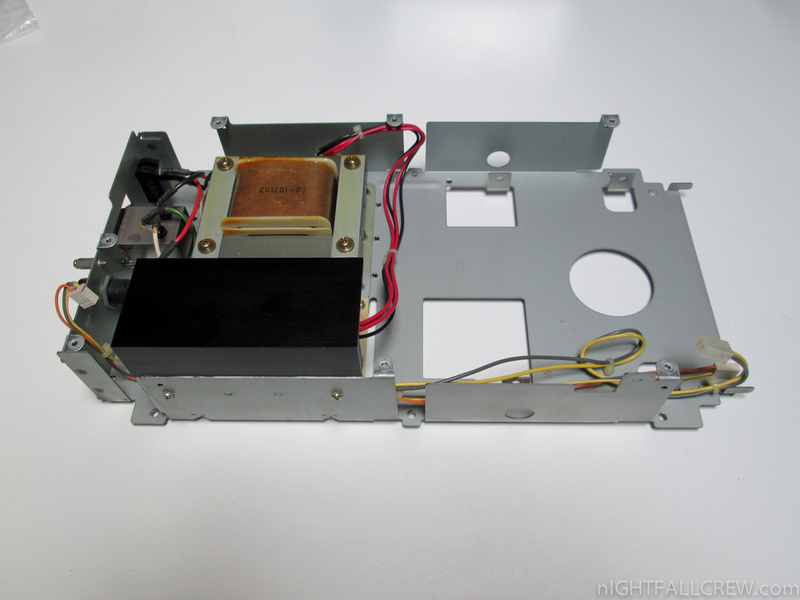 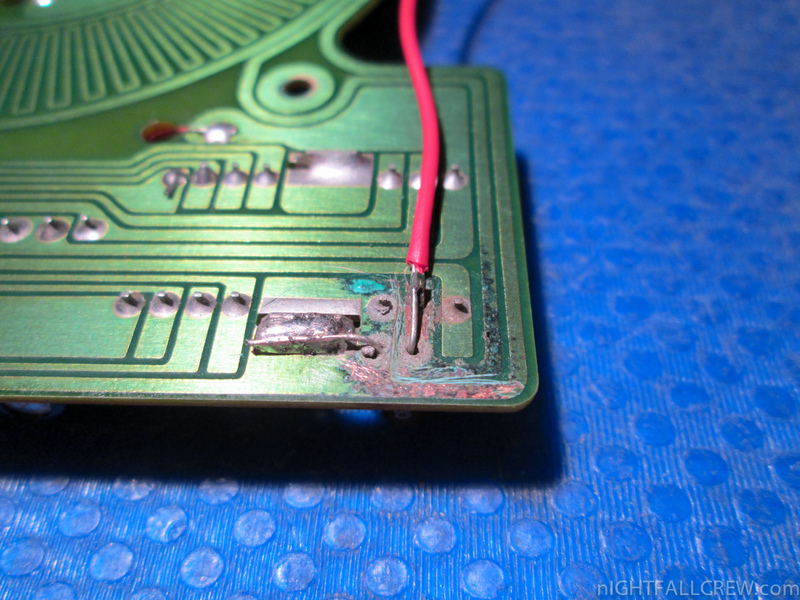 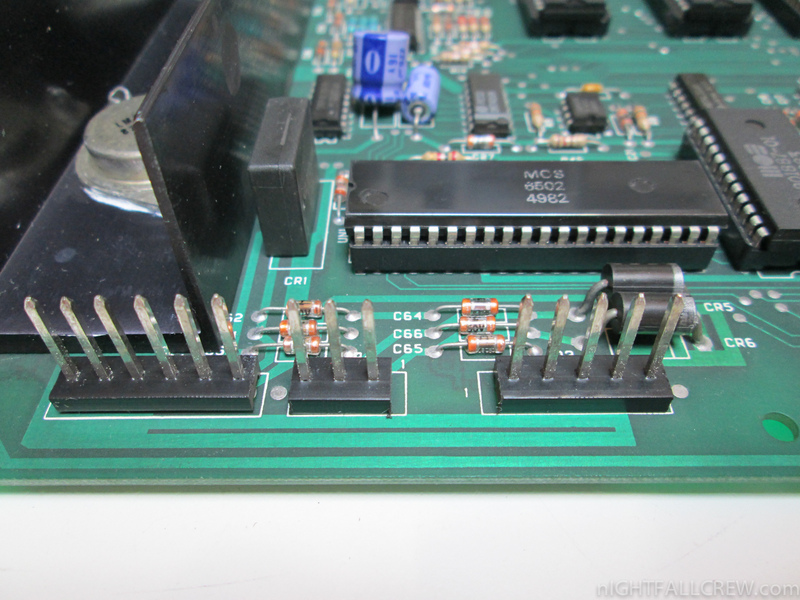 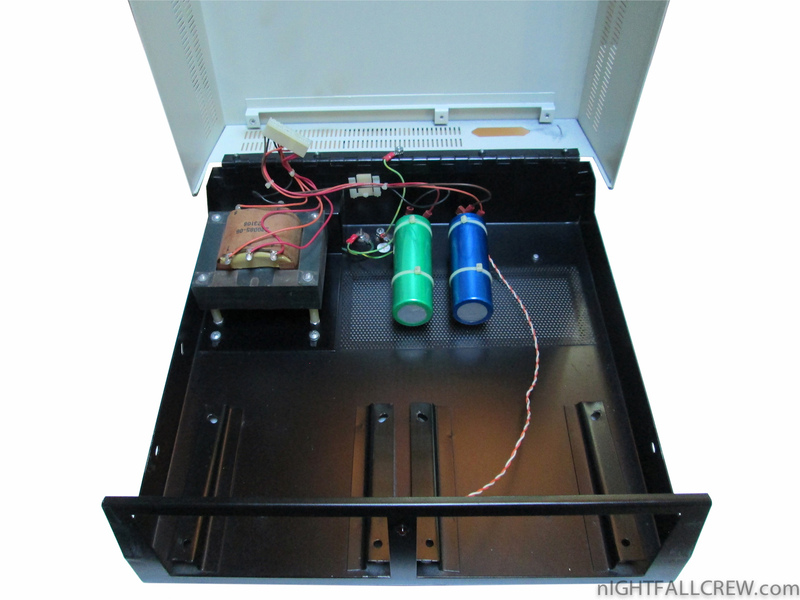 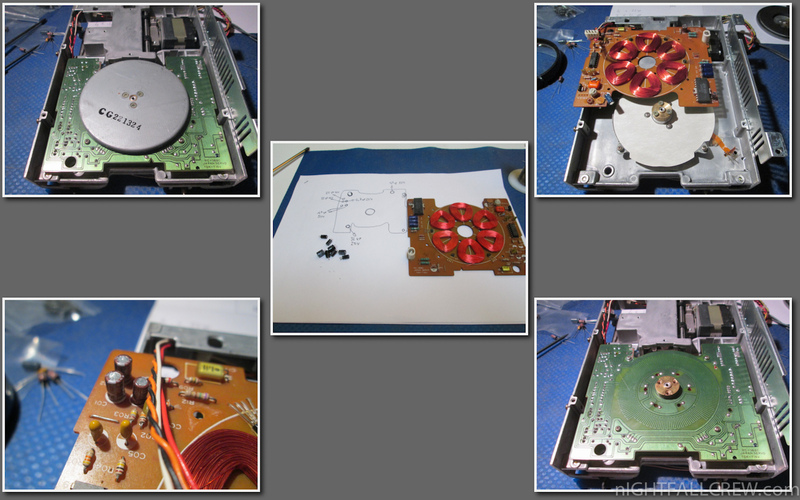 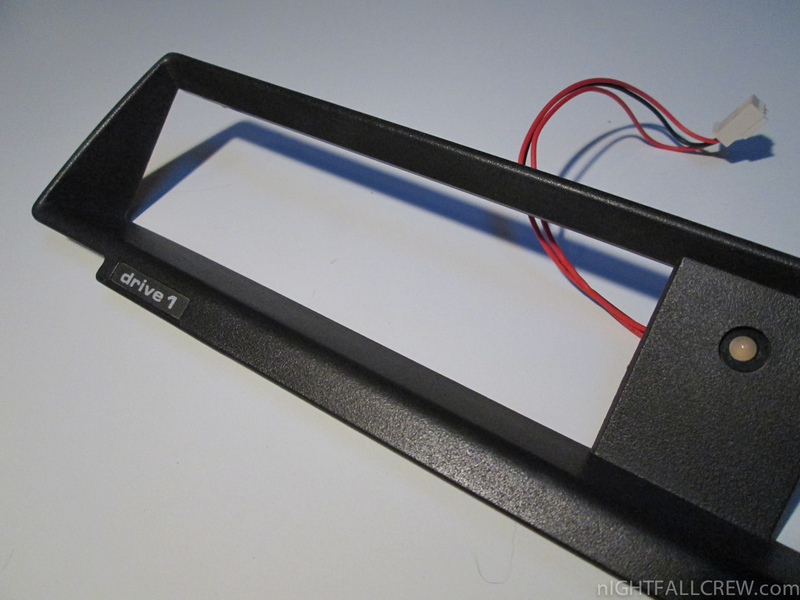 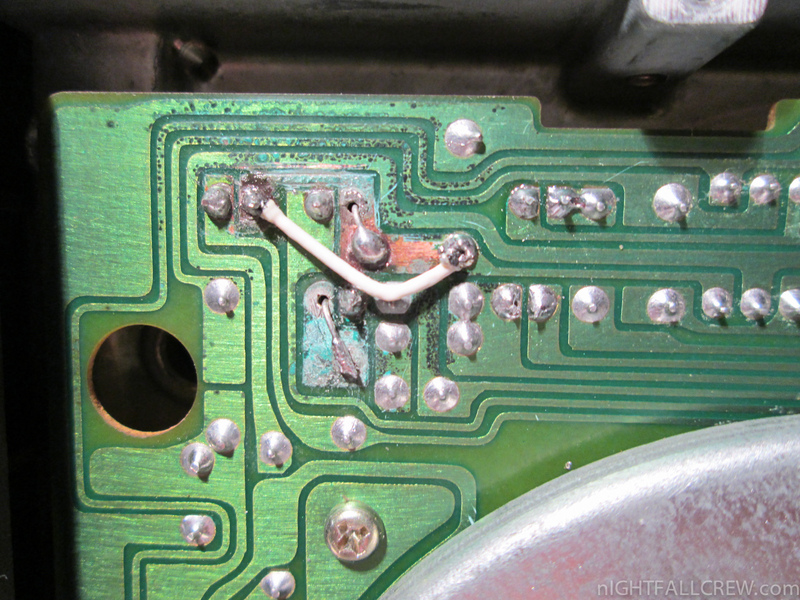 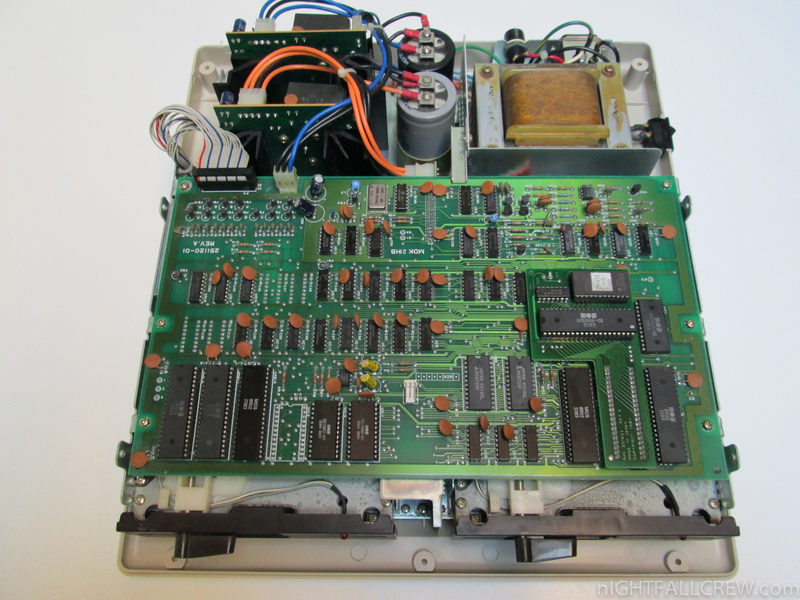 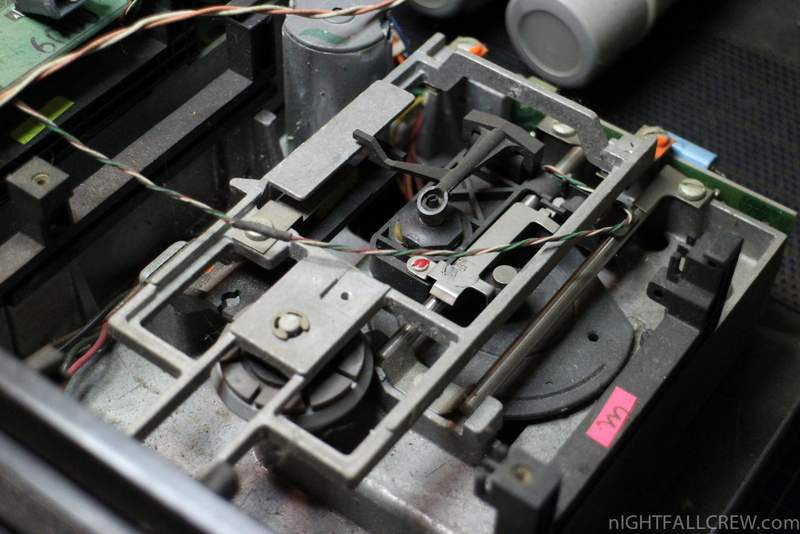 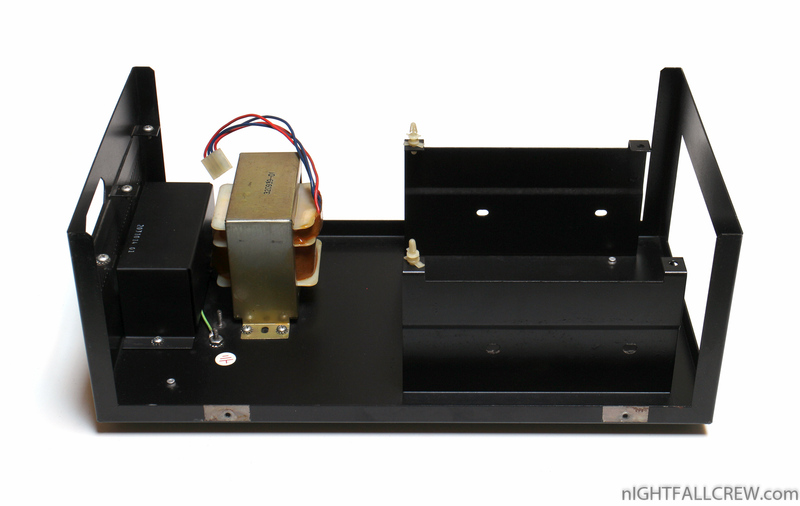 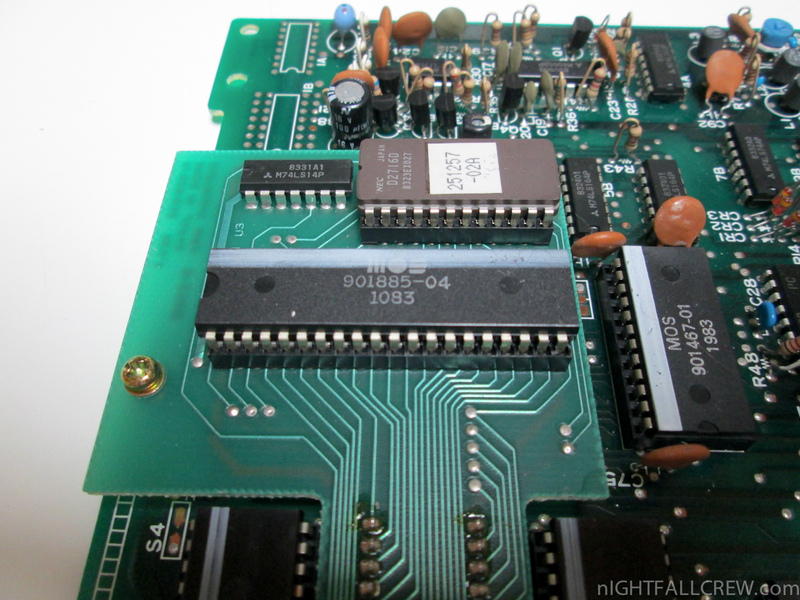 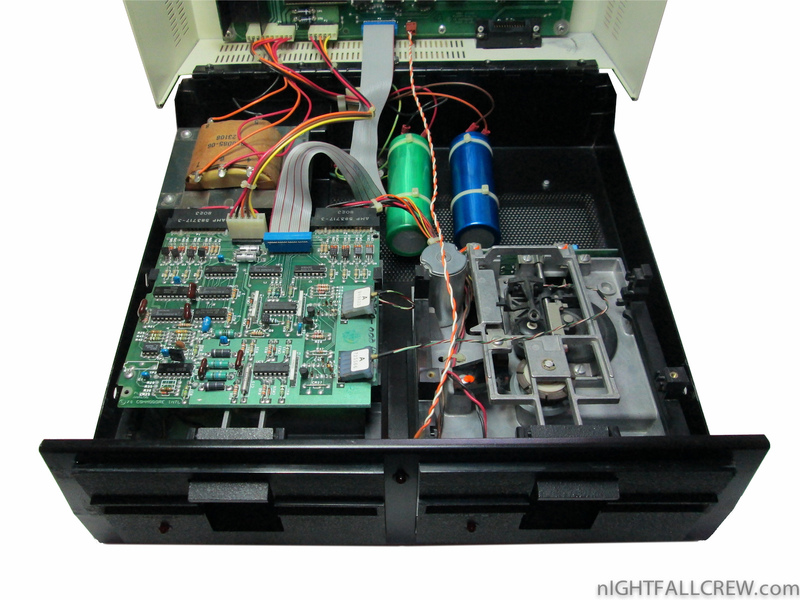 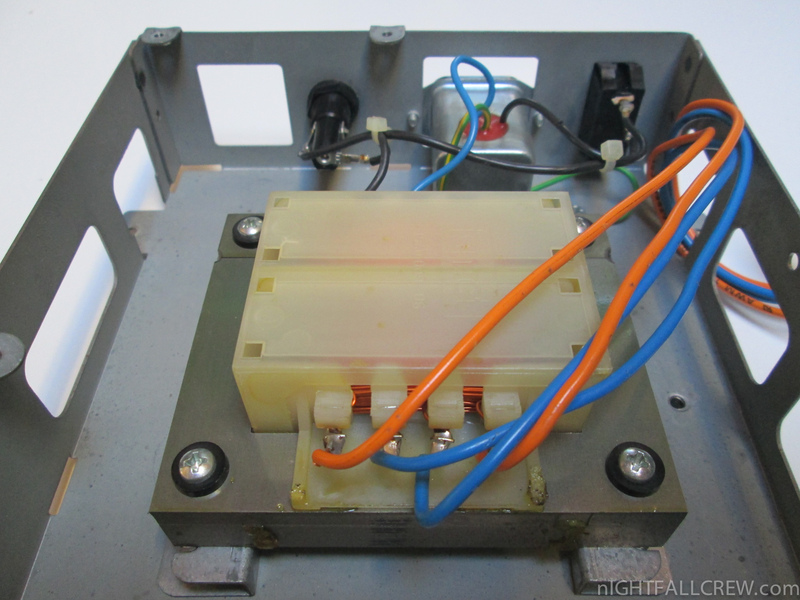 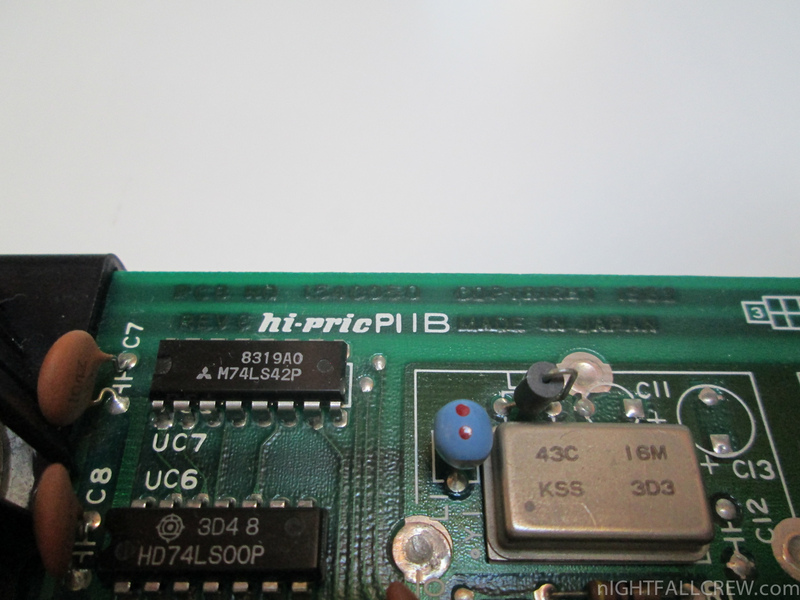 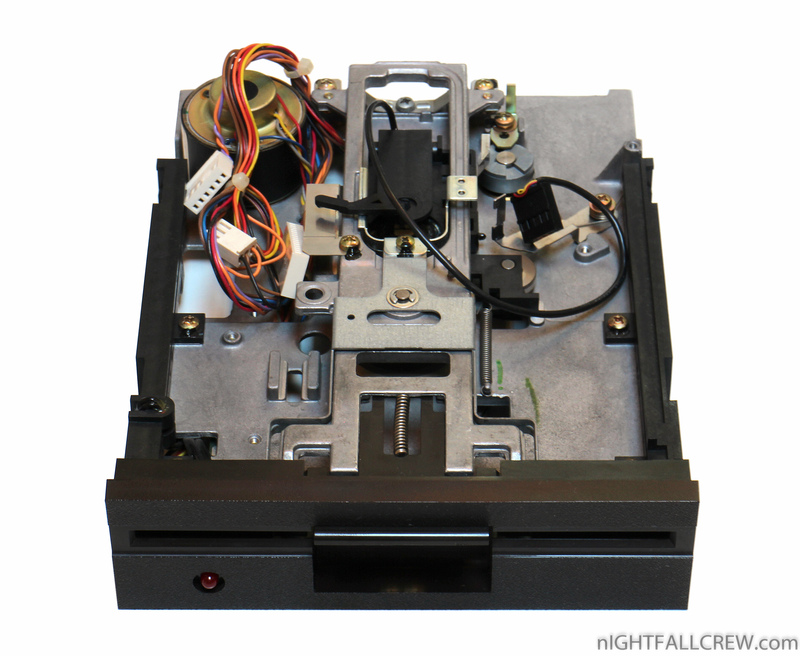 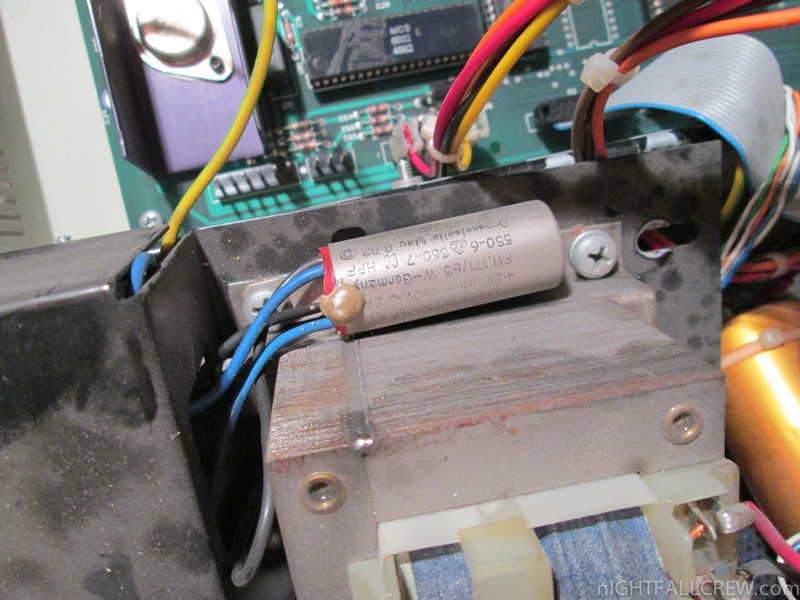 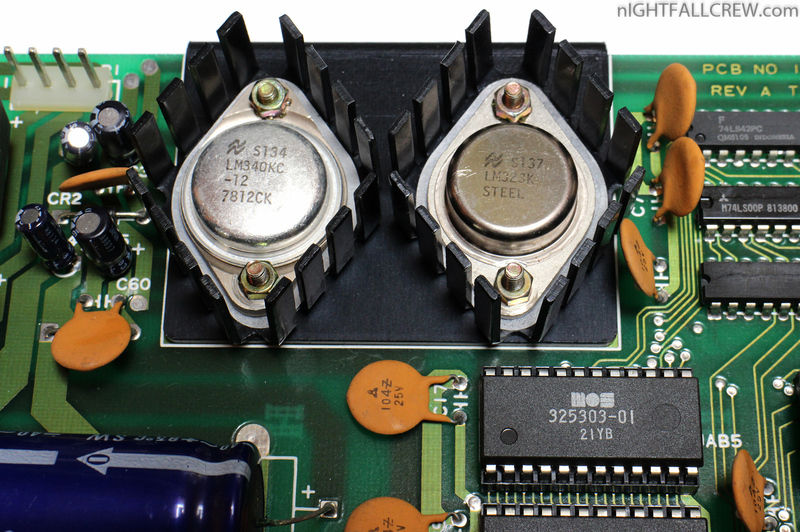 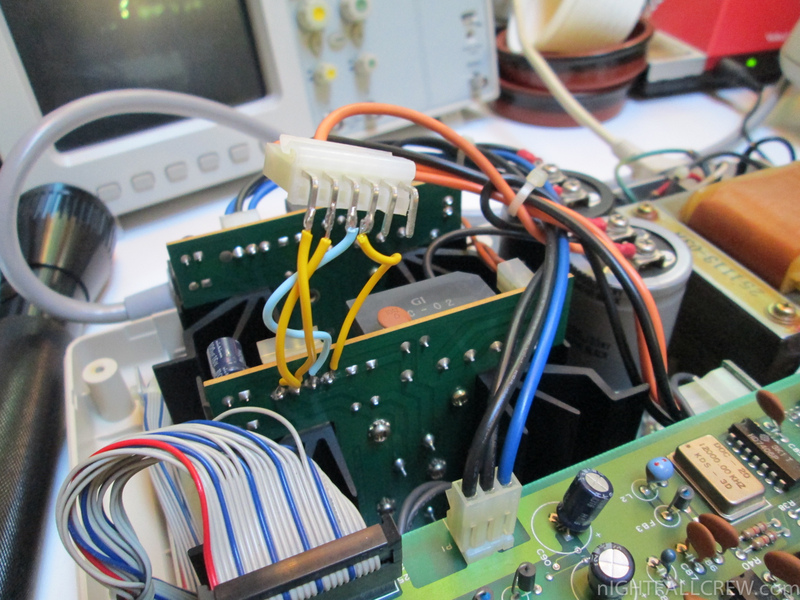 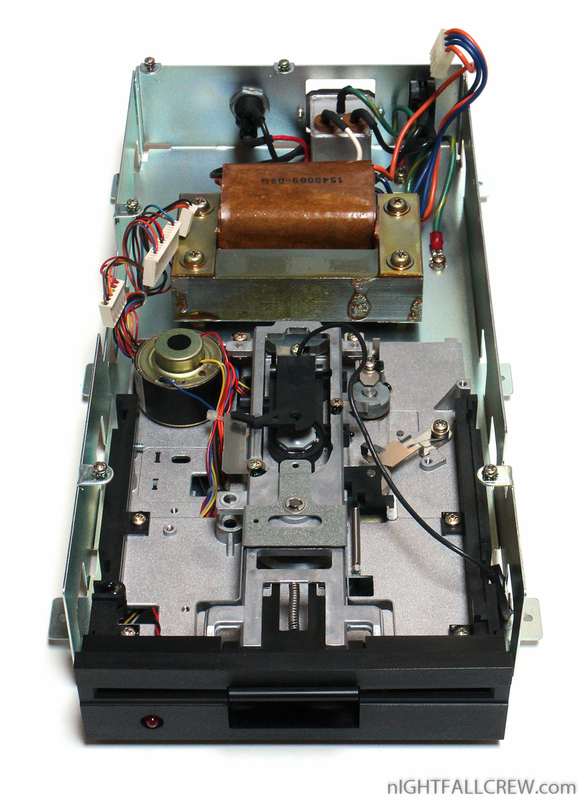 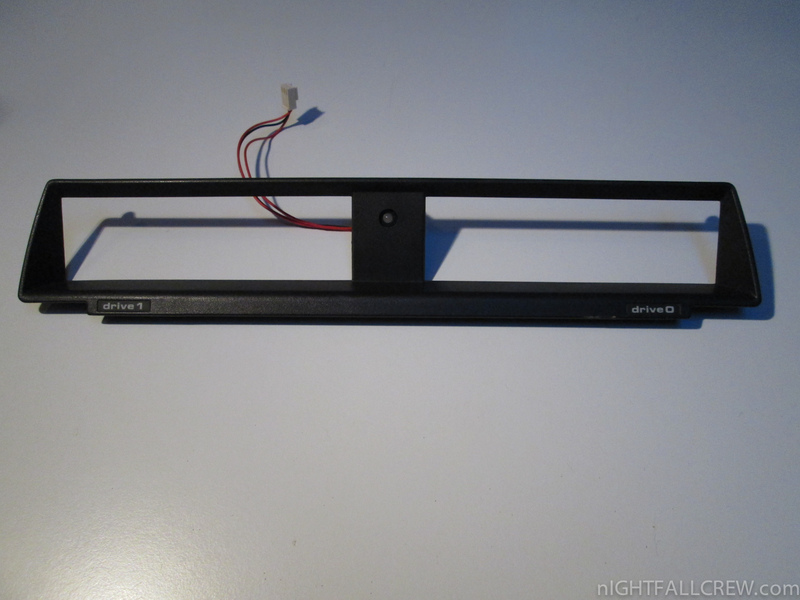 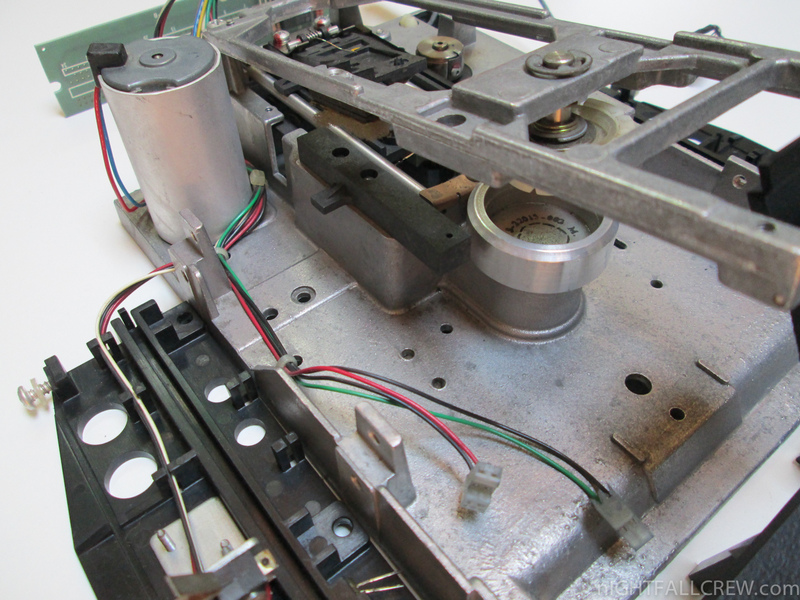 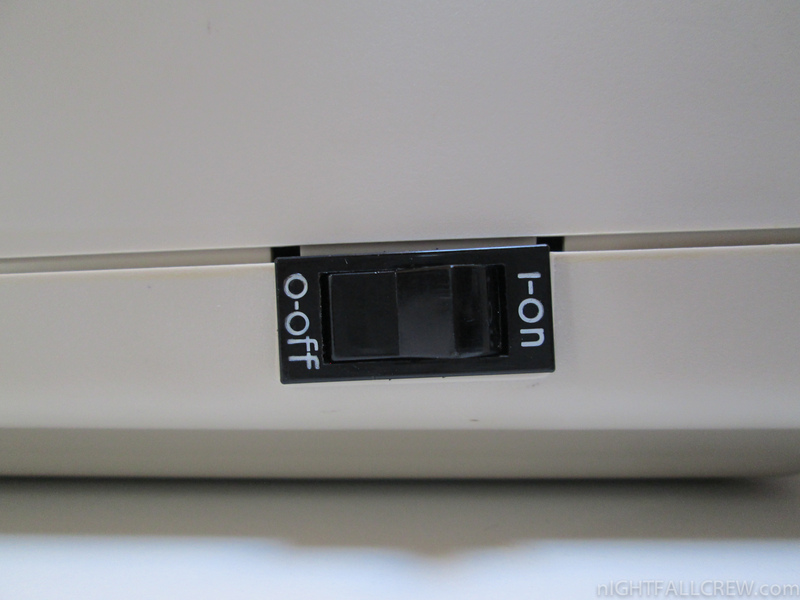 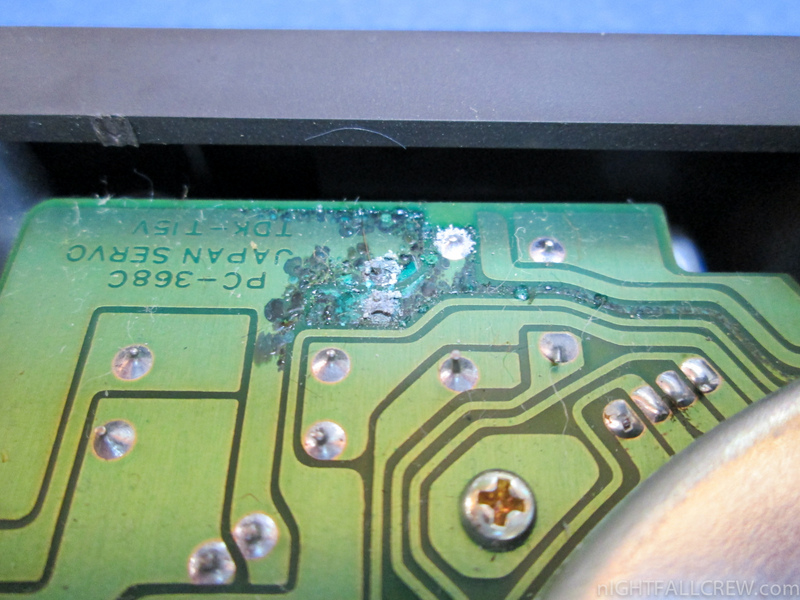 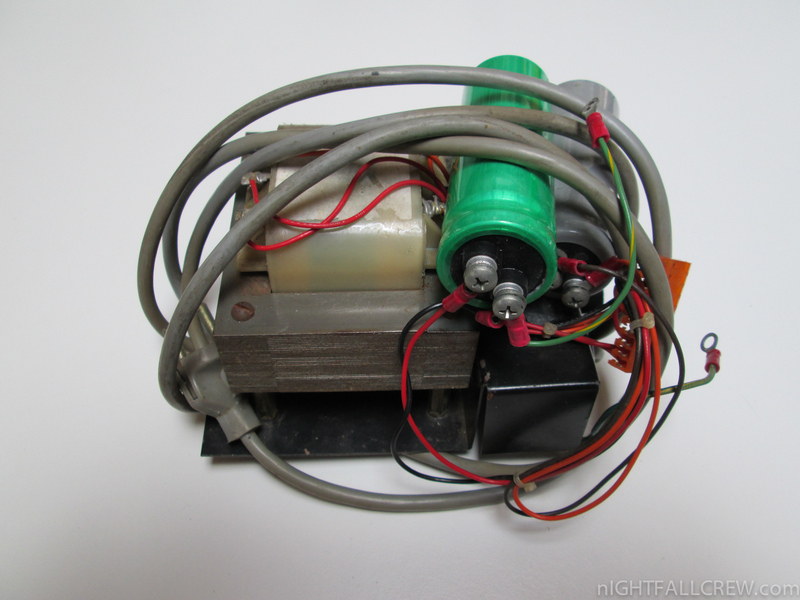 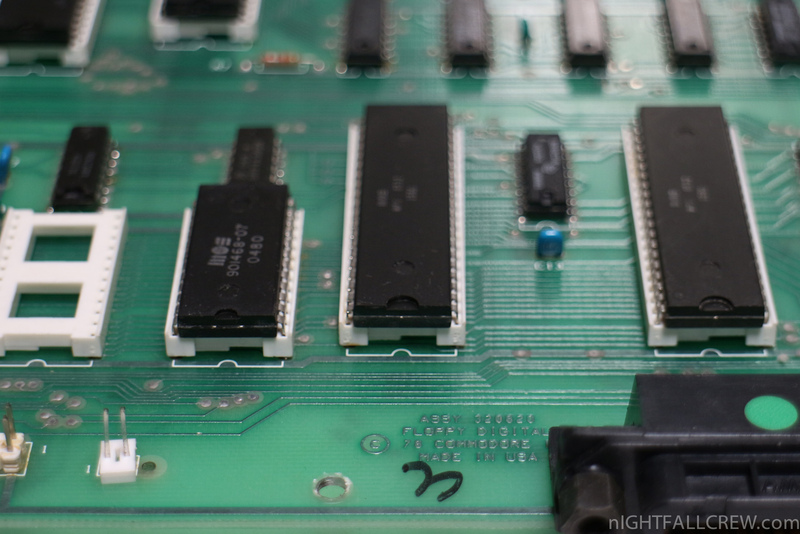 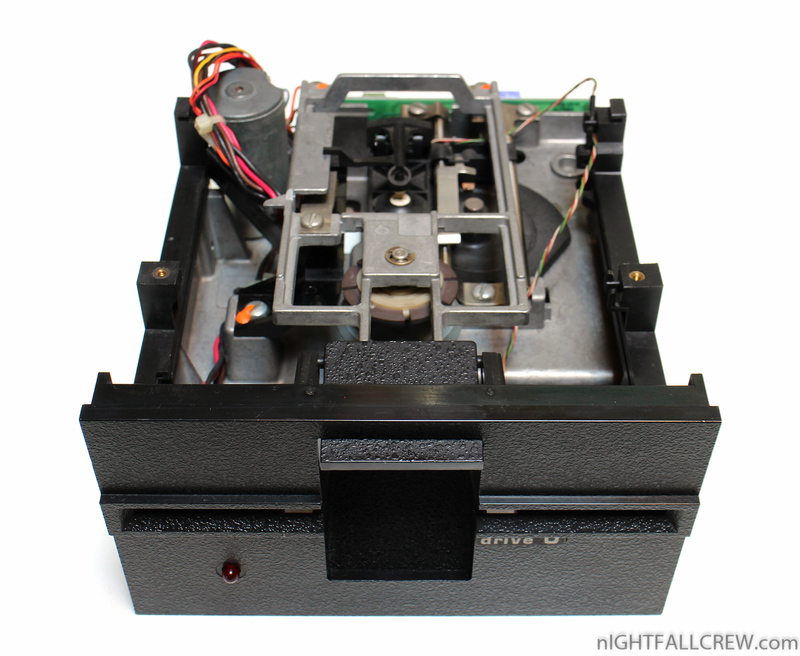 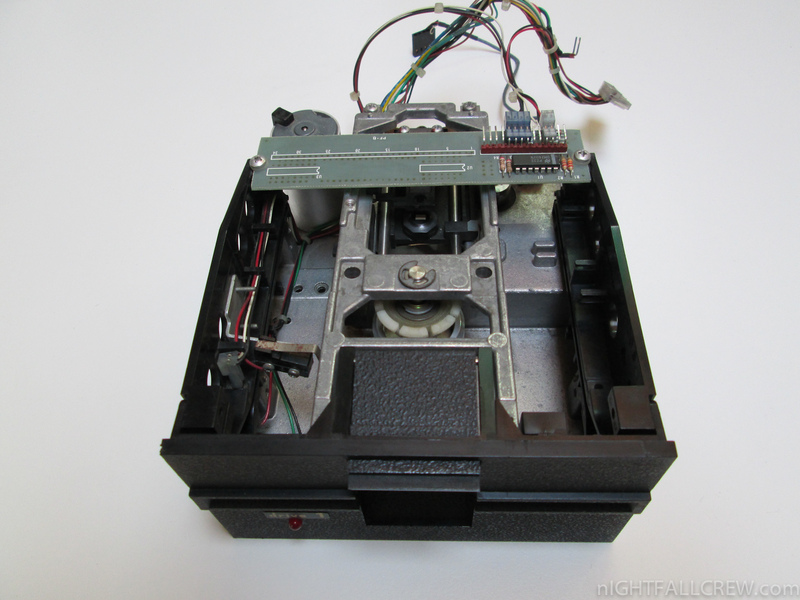 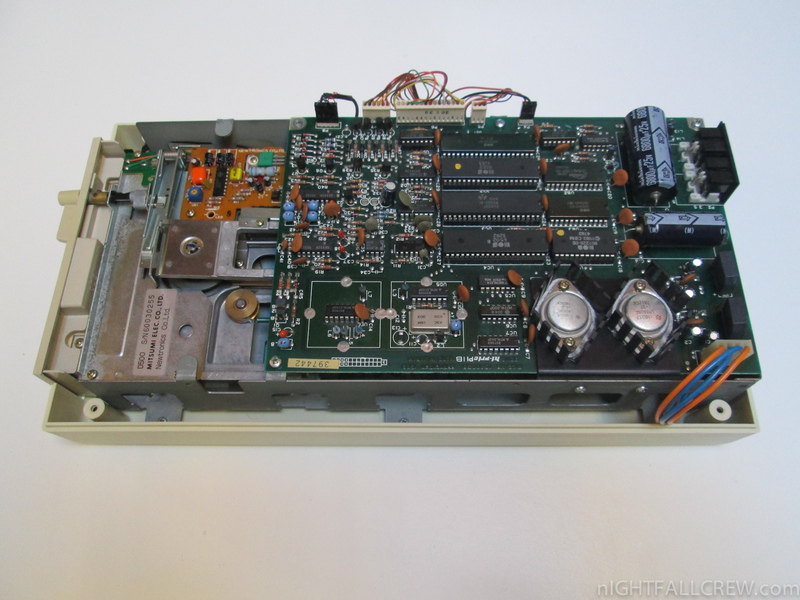 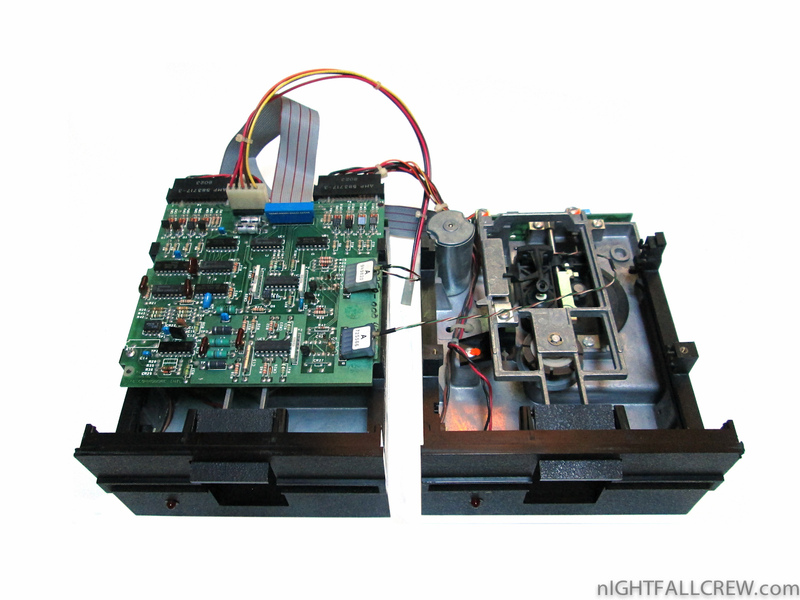 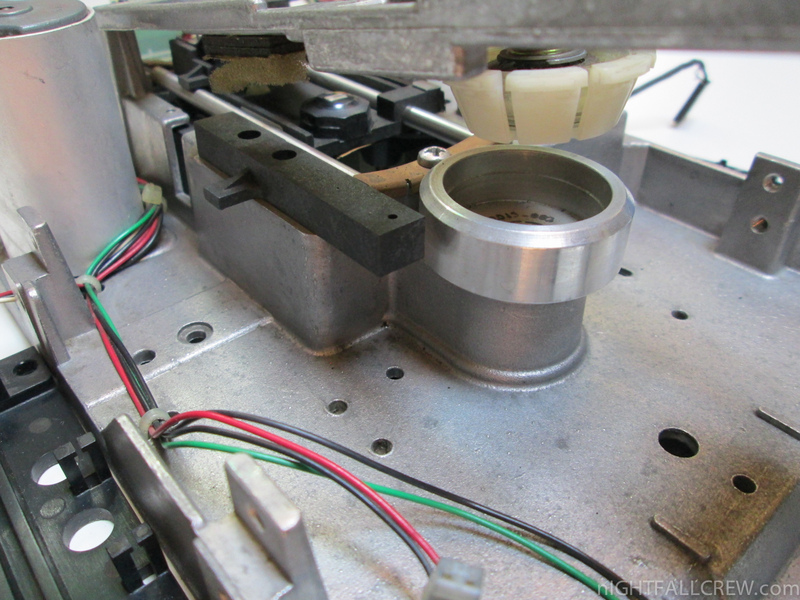 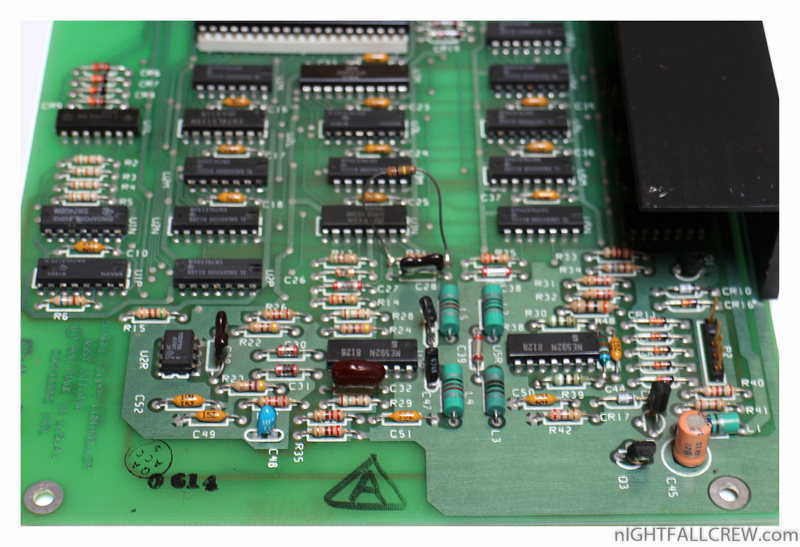 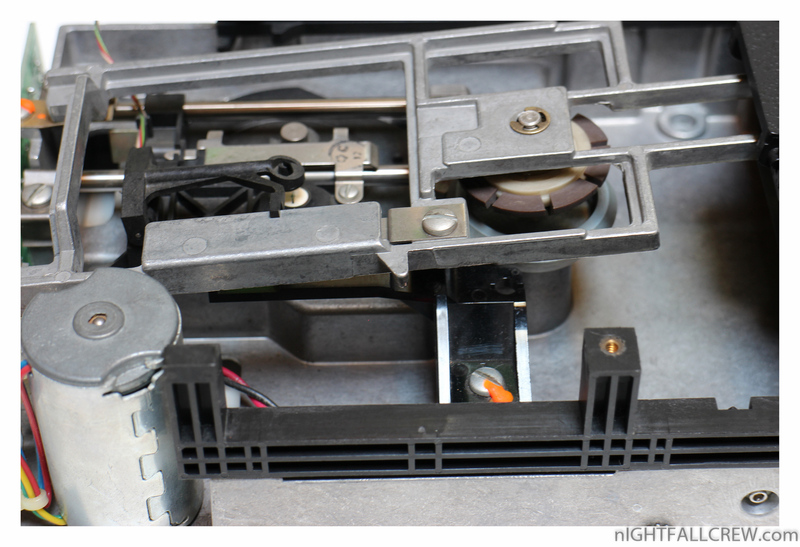 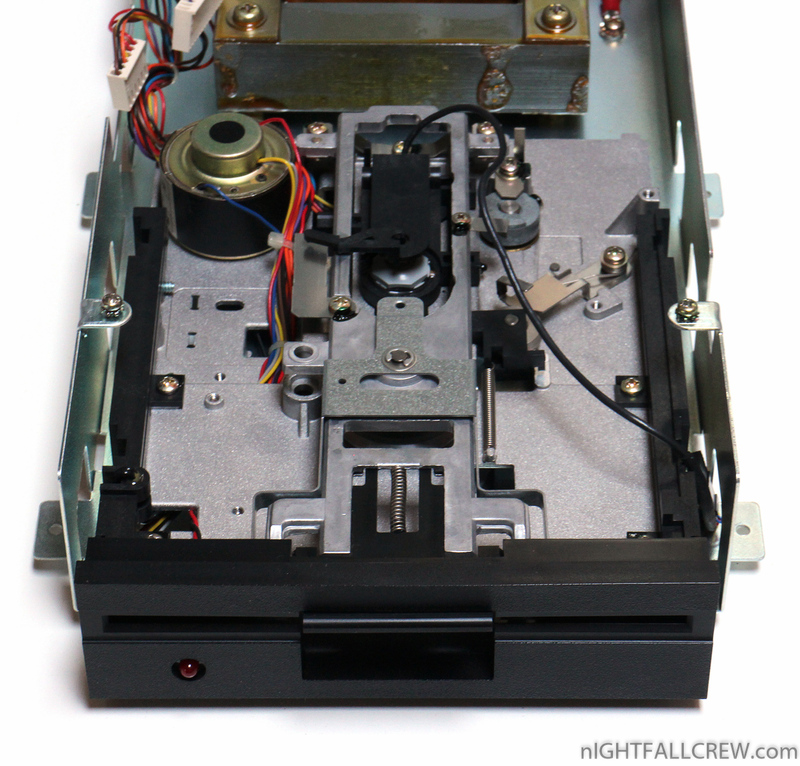 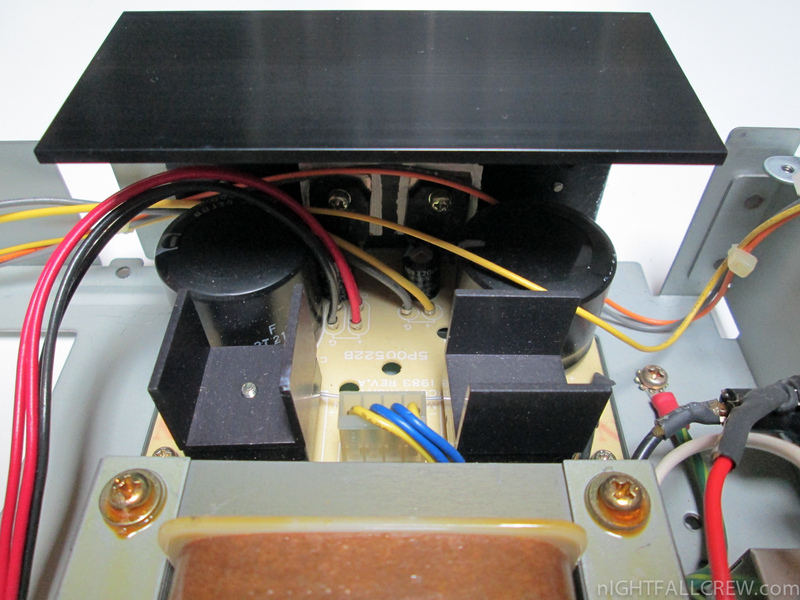 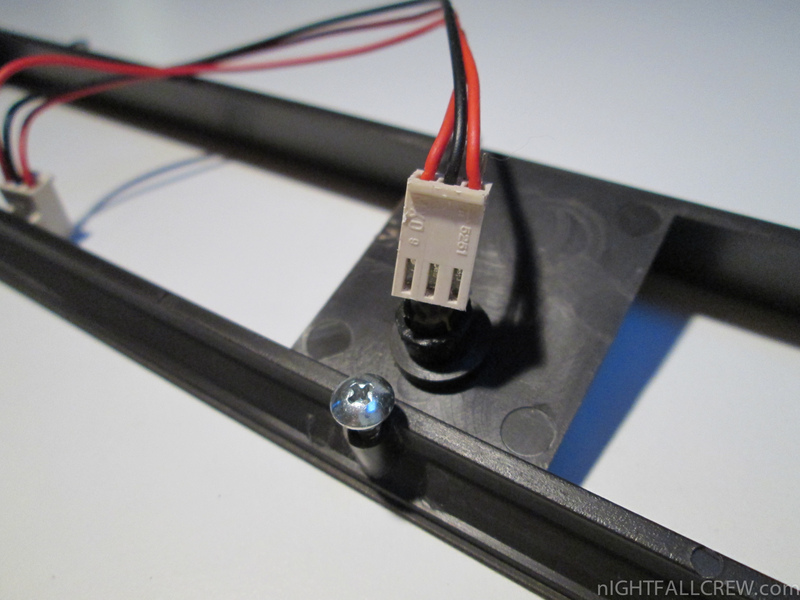 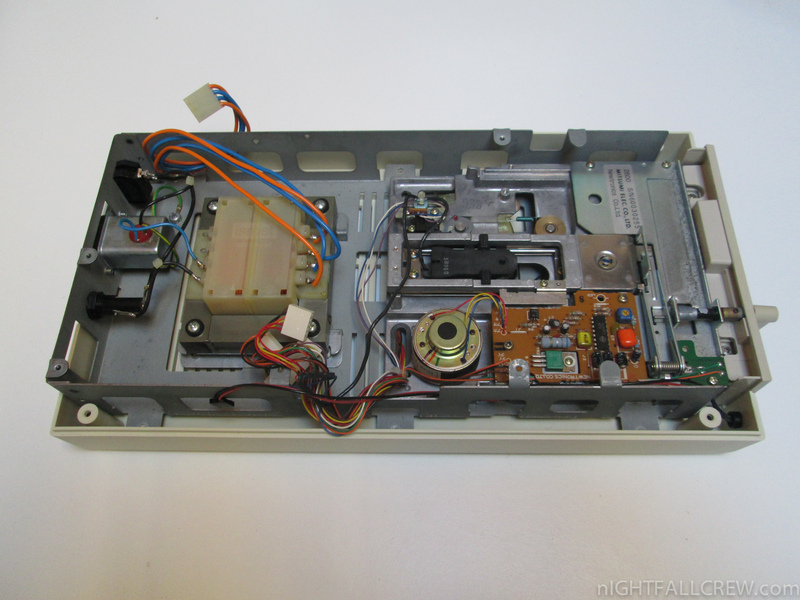 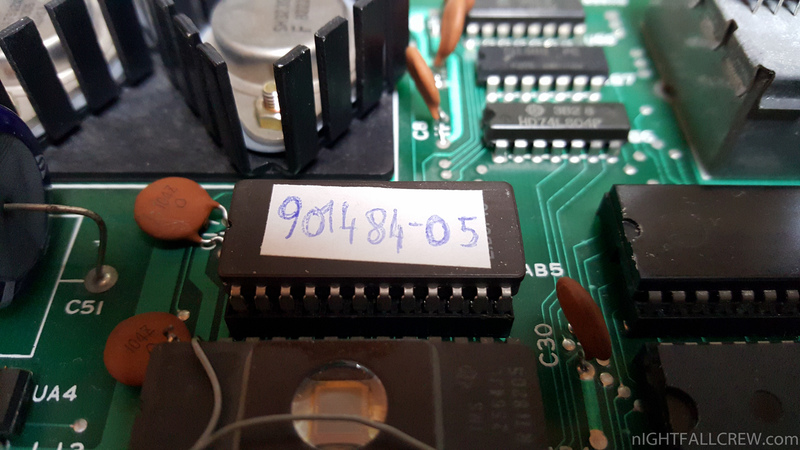 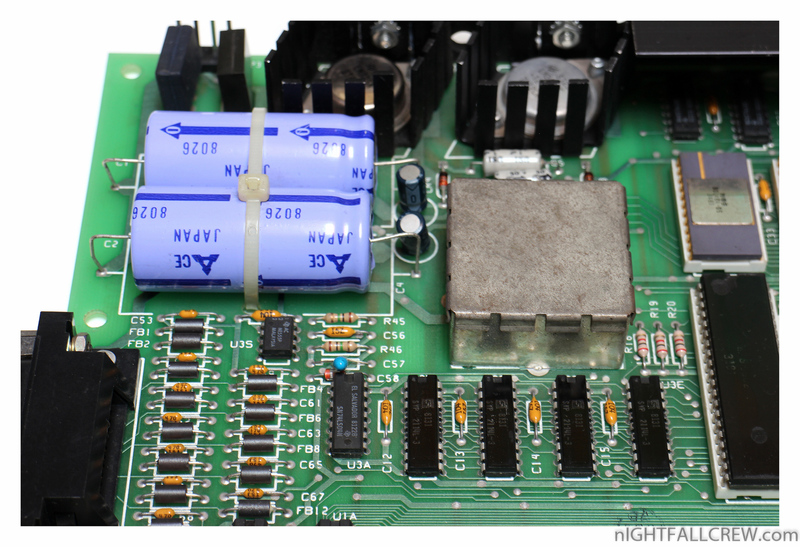 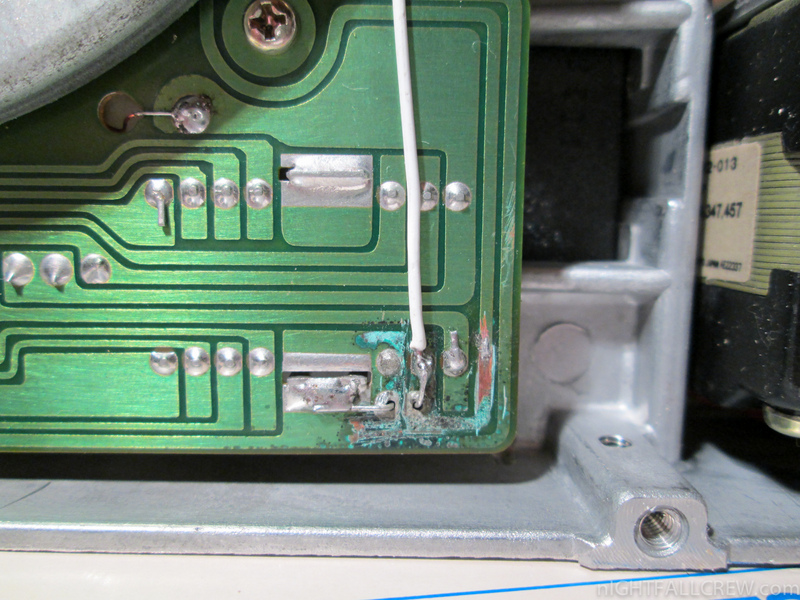 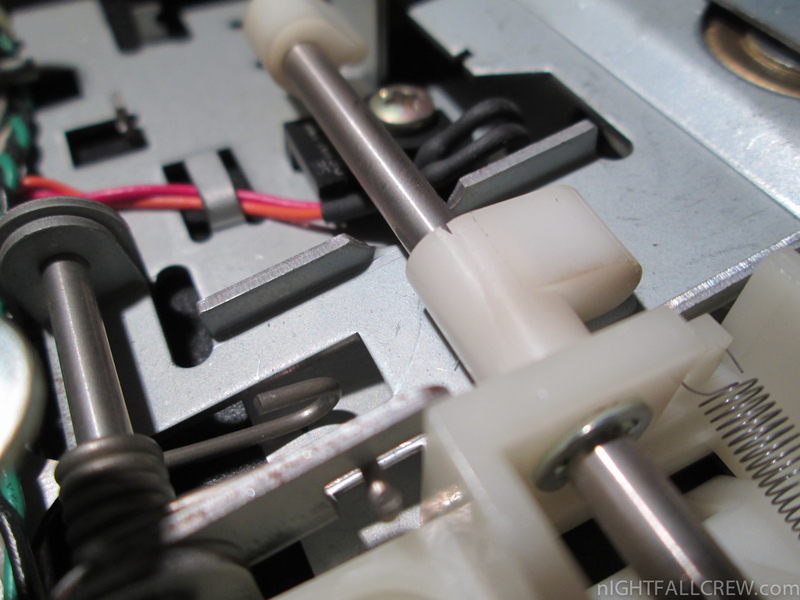 The main motor of the Floppy Drive D0 spins only for a couple of seconds and then stops. 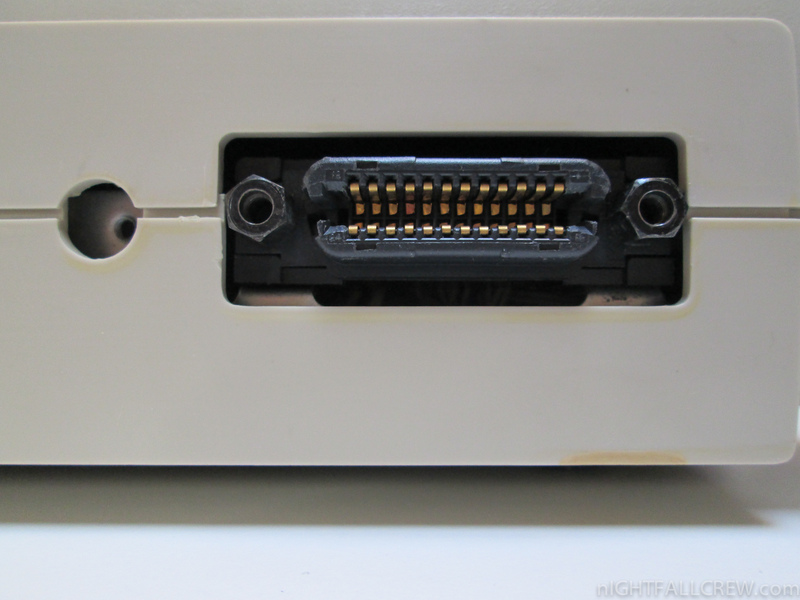 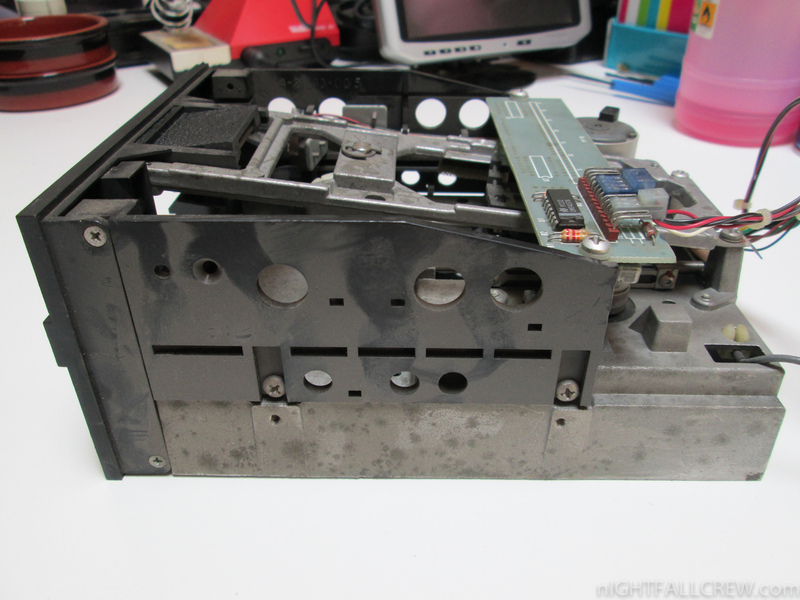 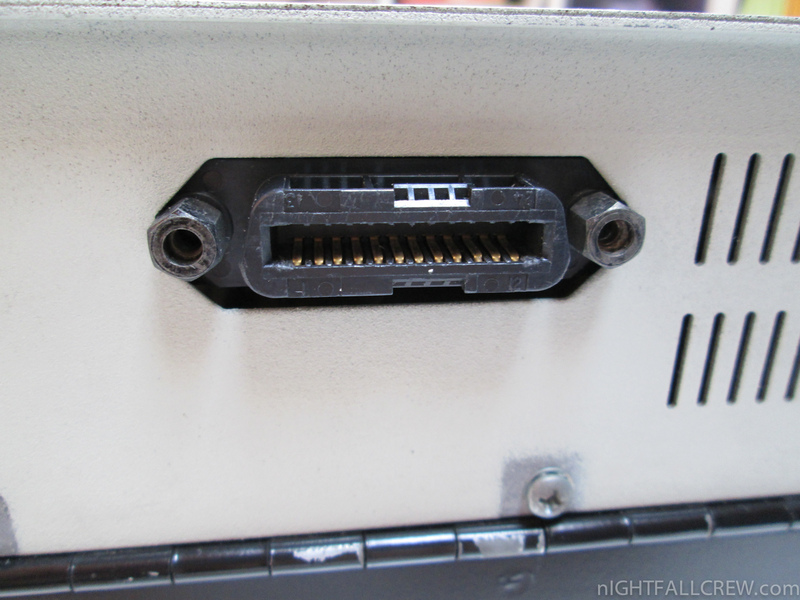 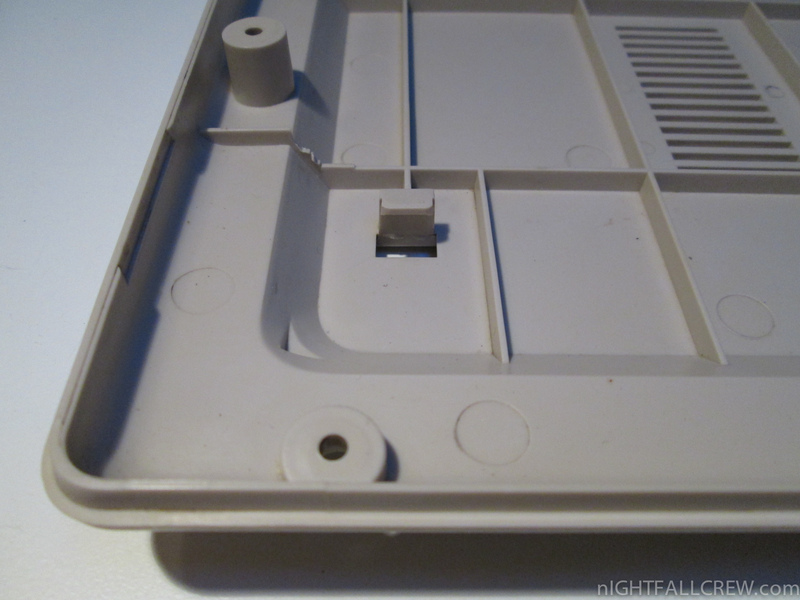 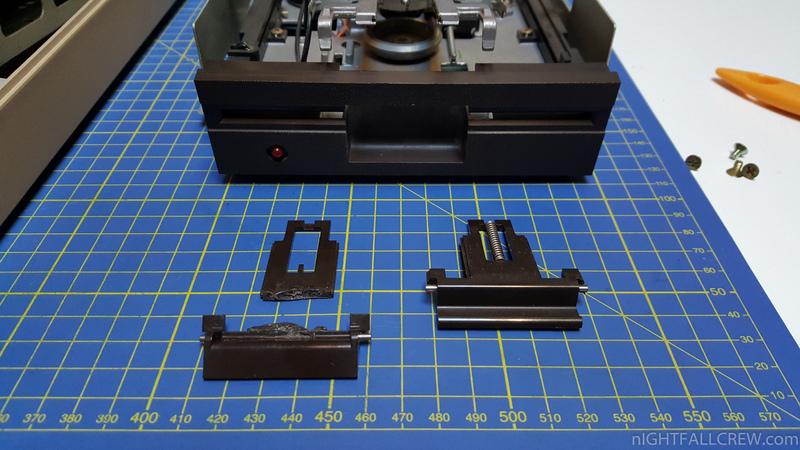 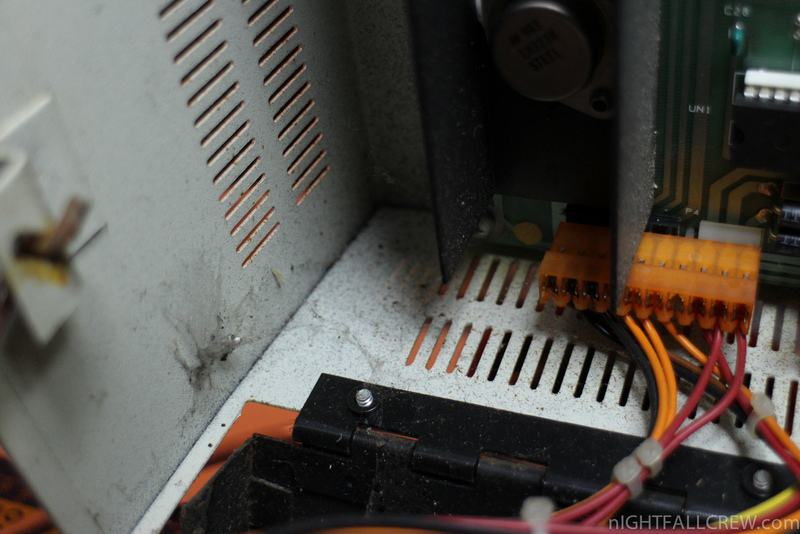 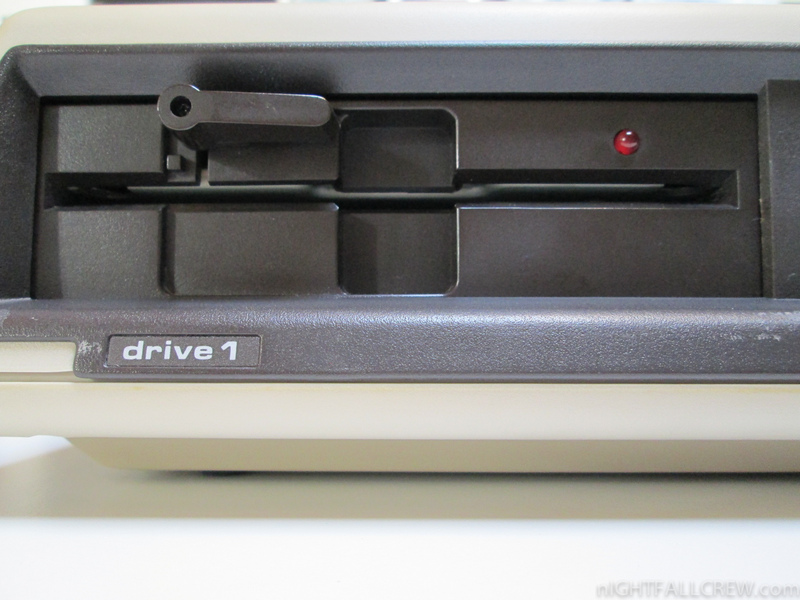 The Floppy Drive D1 have a problem of the hinge for the disk pressure. 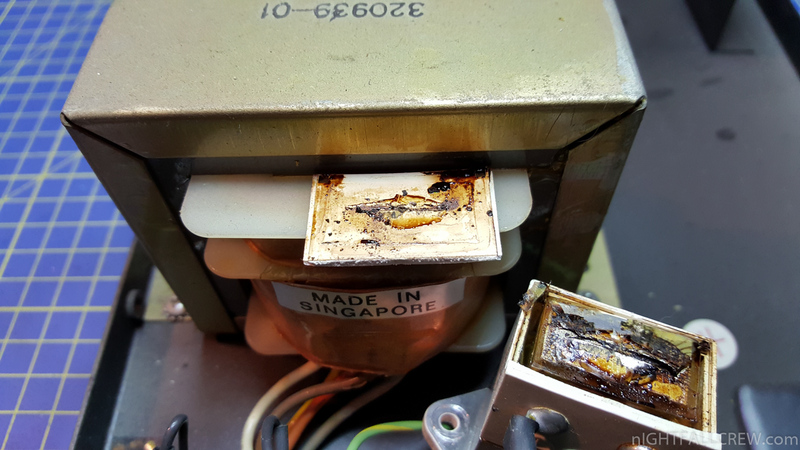 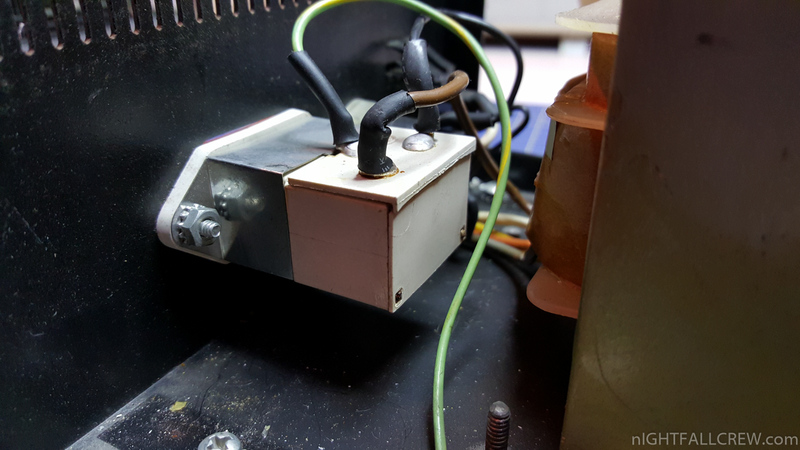 About the problem of the motor of Drive D0 have been replaced a voltage regulator 7812 and an electrolytic capacitor in losses. 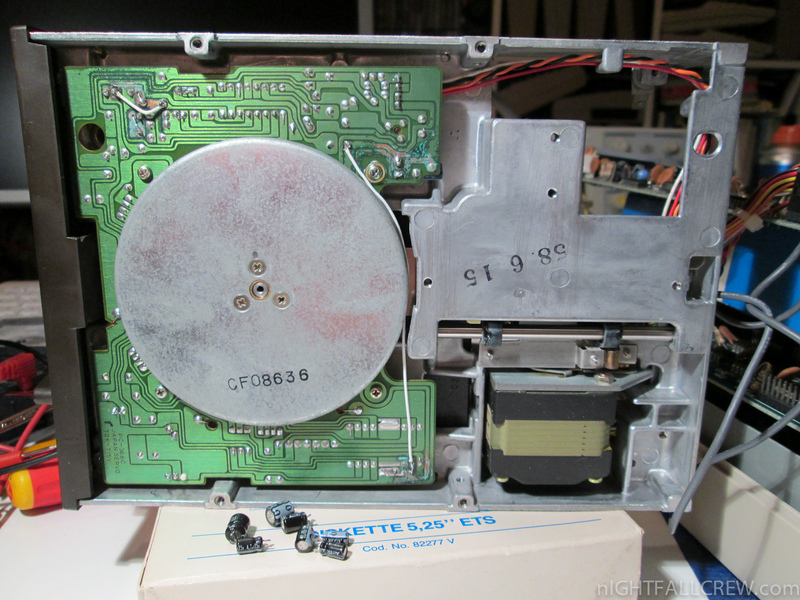 The mechanics of the Drive D1 was repaired using the Loctite. These drives were not dual mode, so they could not read or write disks formatted by the more common lower capacity Commodore 1541 or Commodore 4040 models. 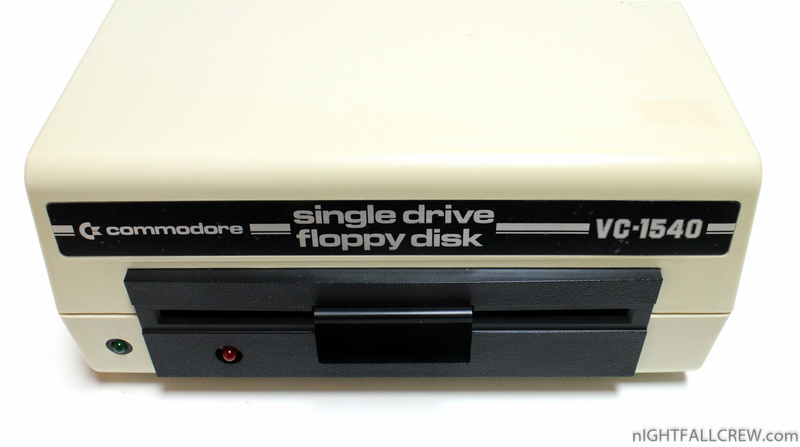 Some variants of these drives existed. 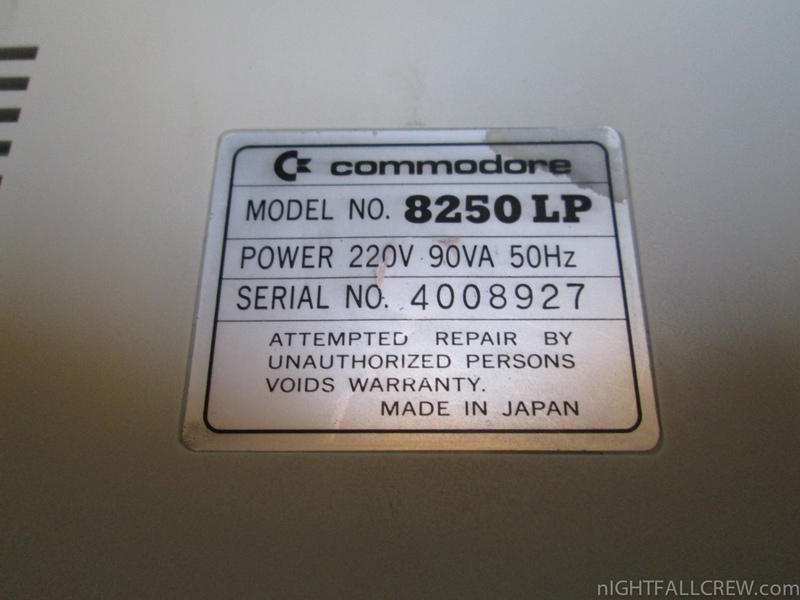 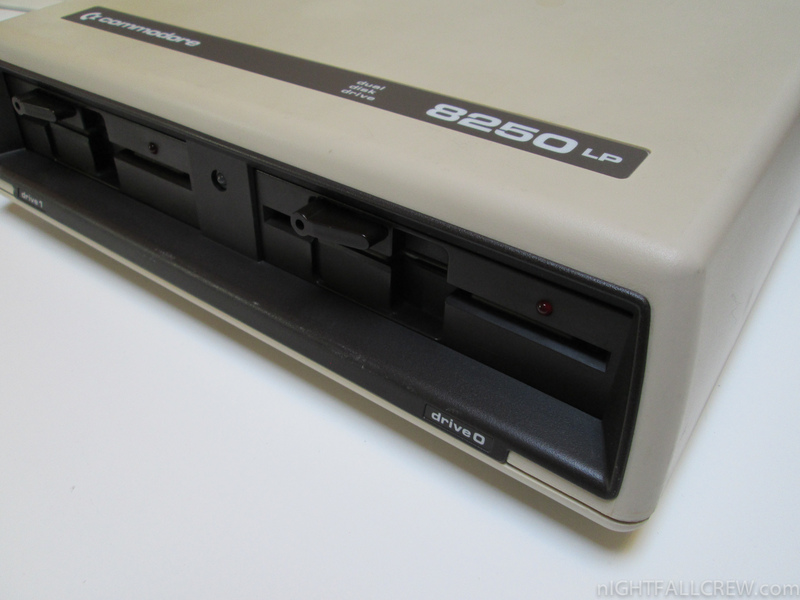 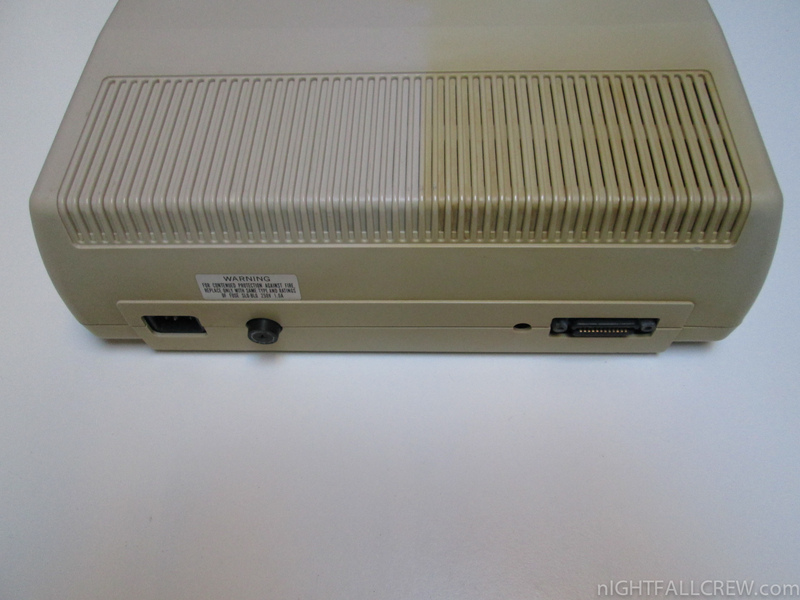 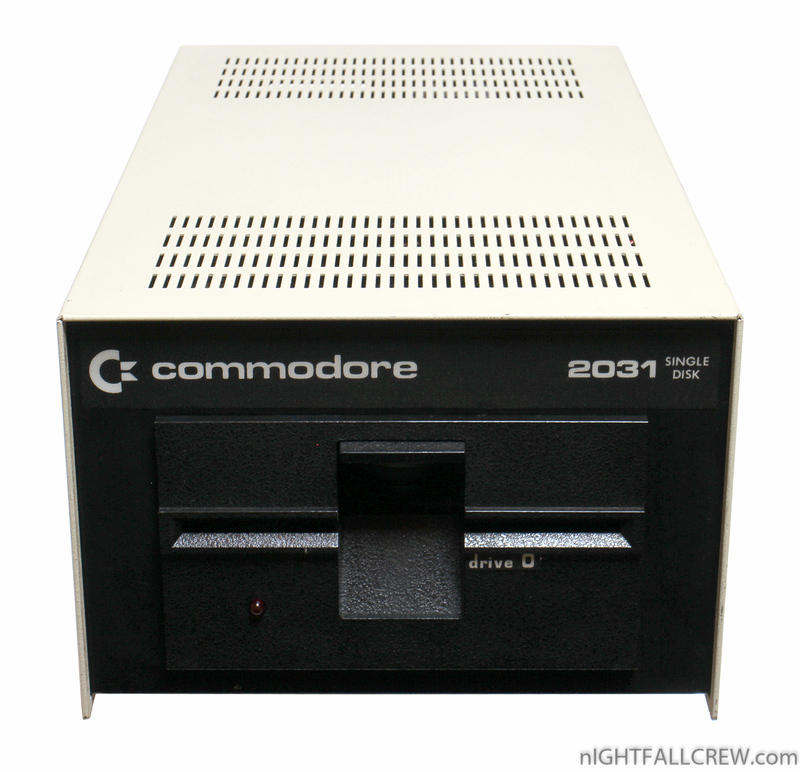 The Commodore 8250LP was the 8250 in a lower profile, tan-colored case. 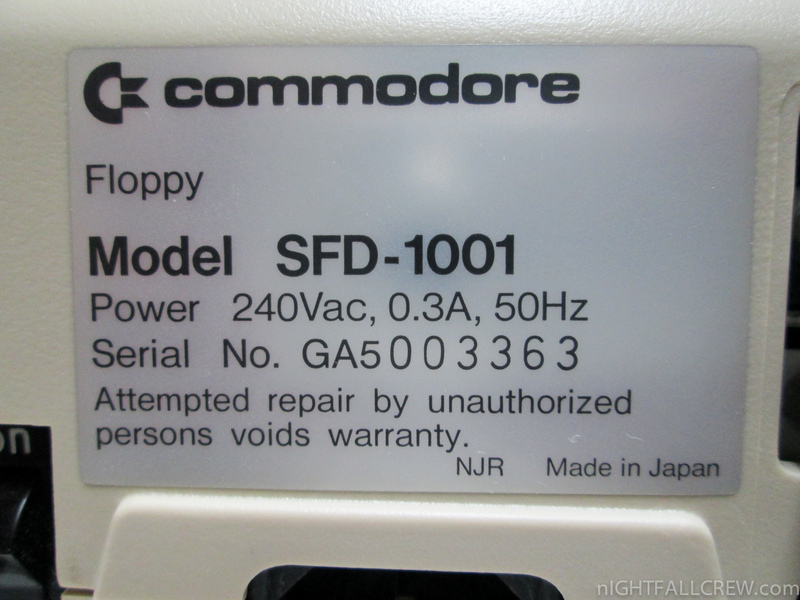 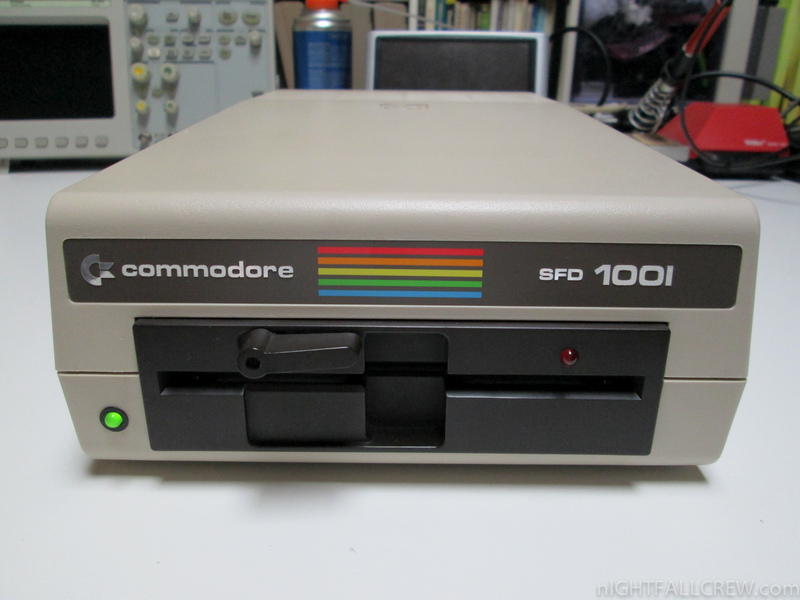 The Commodore SFD-1001 was a single drive version of the 8250 in a Commodore 1541 style case (similarly to the Commodore 2031LP), often used by bulletin board systems for their physical similarity to 1541s and high capacity and speed.